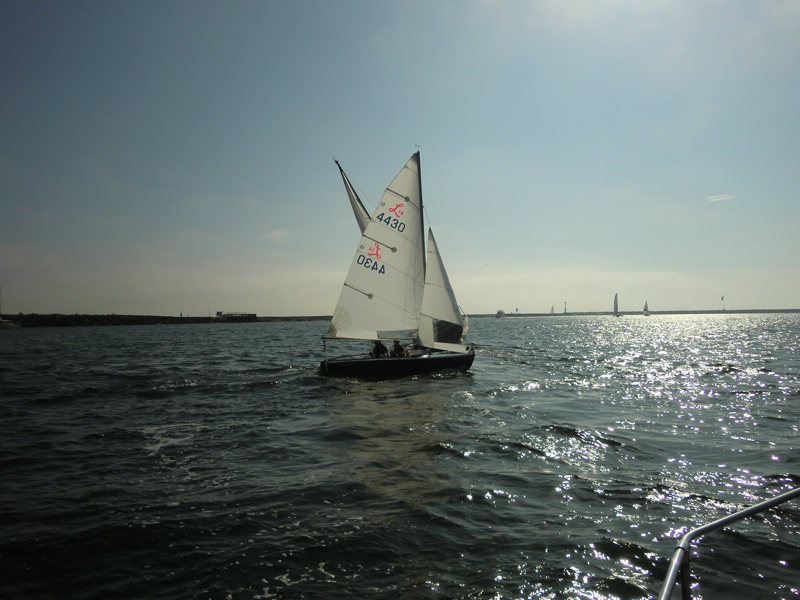 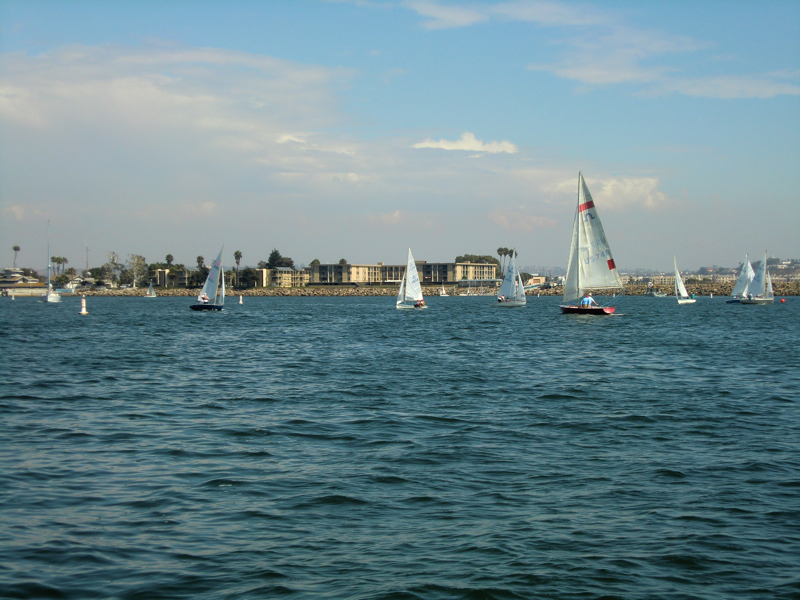 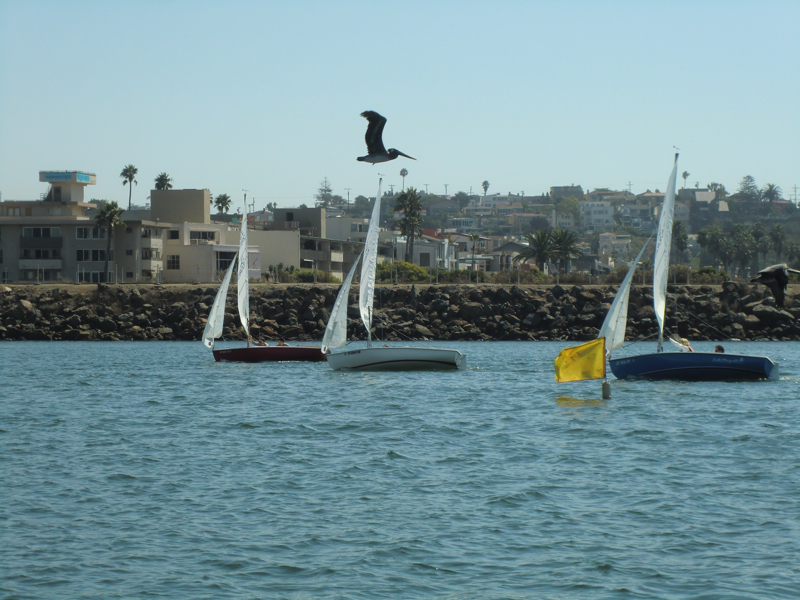 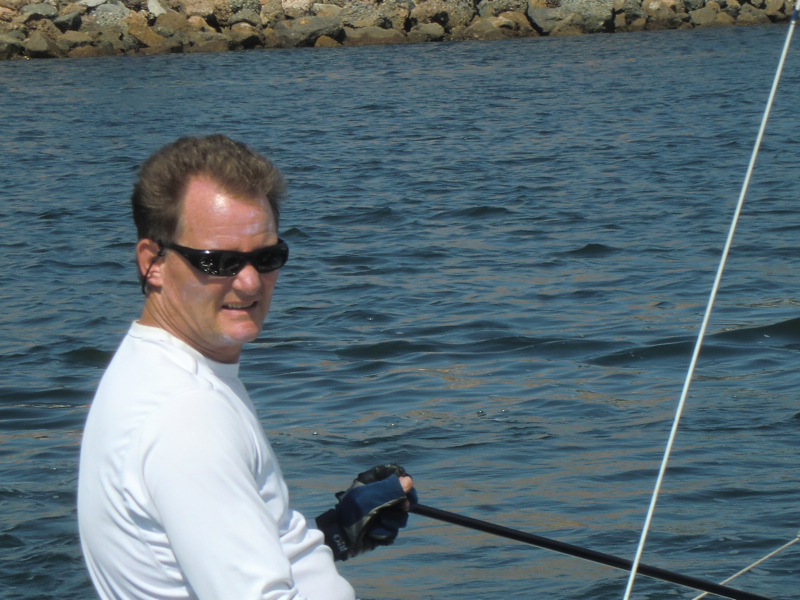 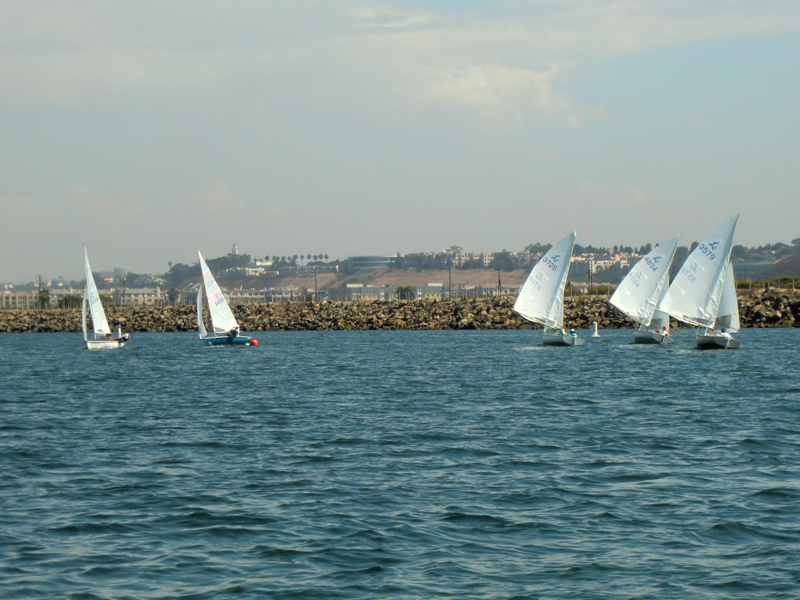 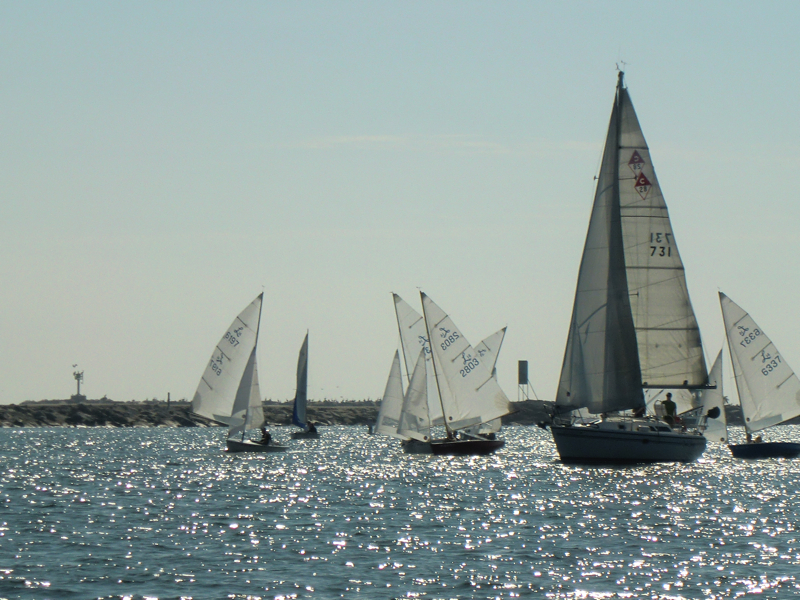 Sunny, warm, winds starting out very light (below 4 knots) and building to about 9 knots. 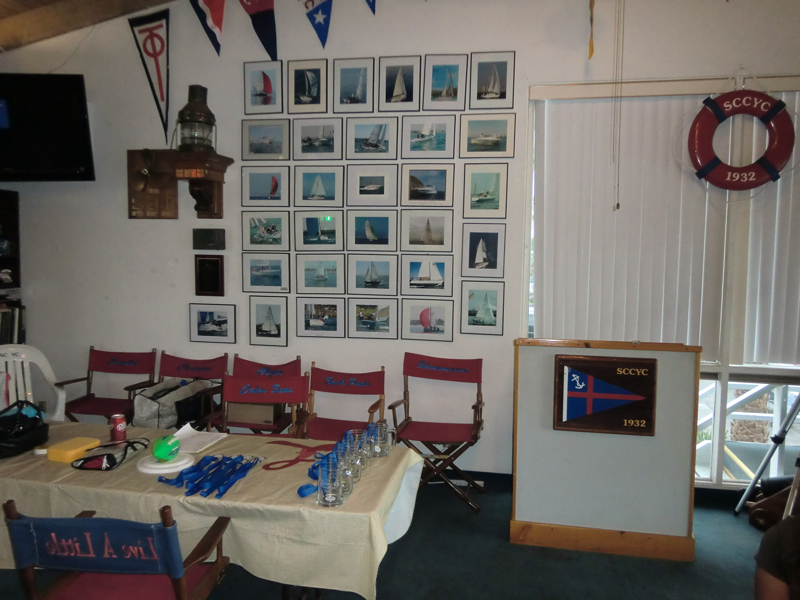 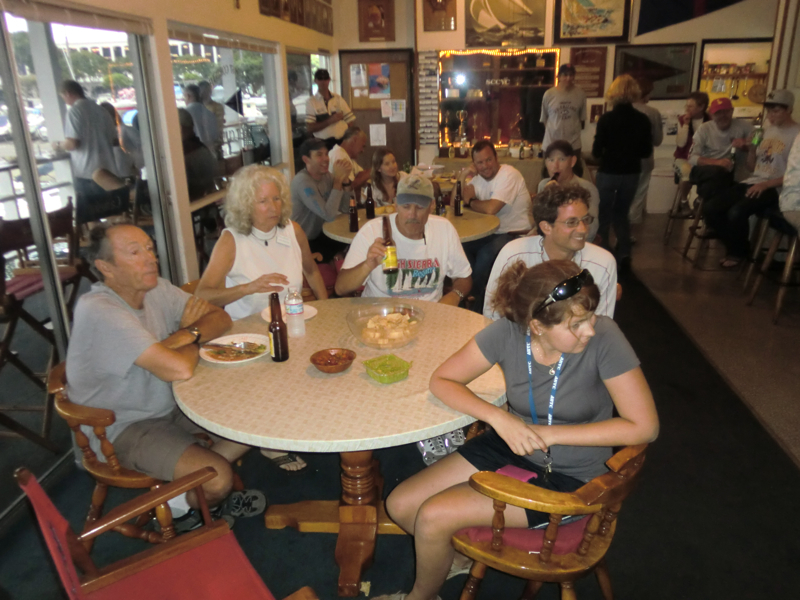 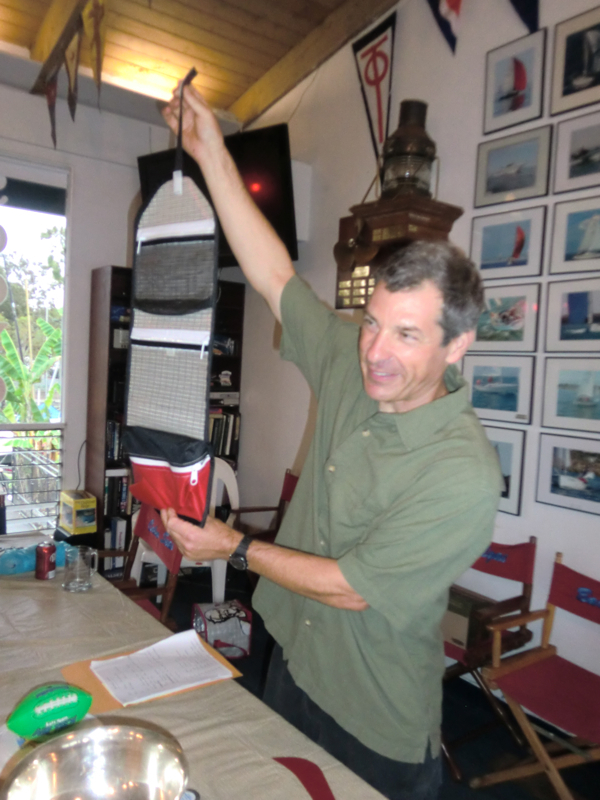 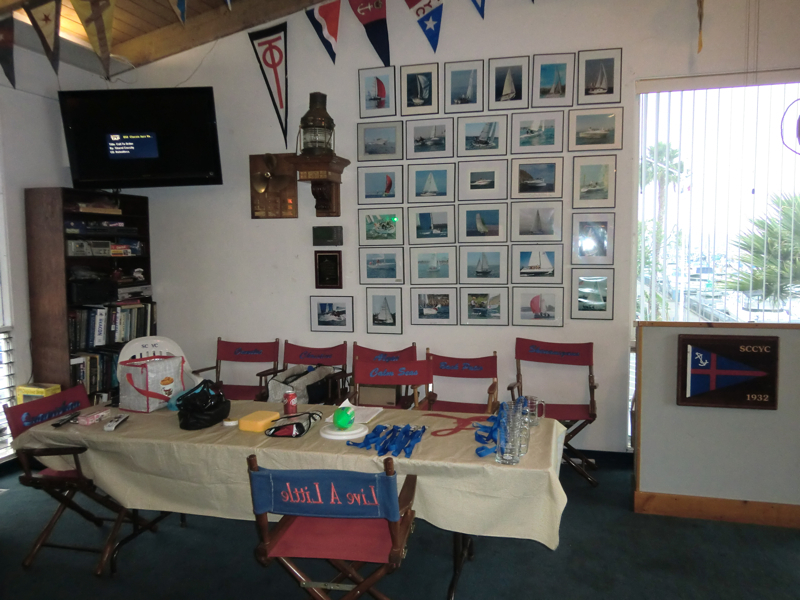 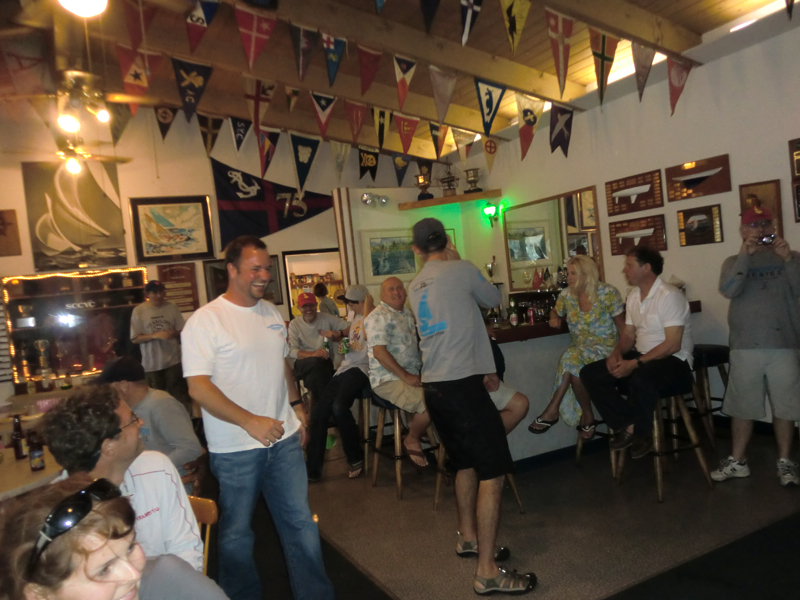 A great Lido 14 sailing day. 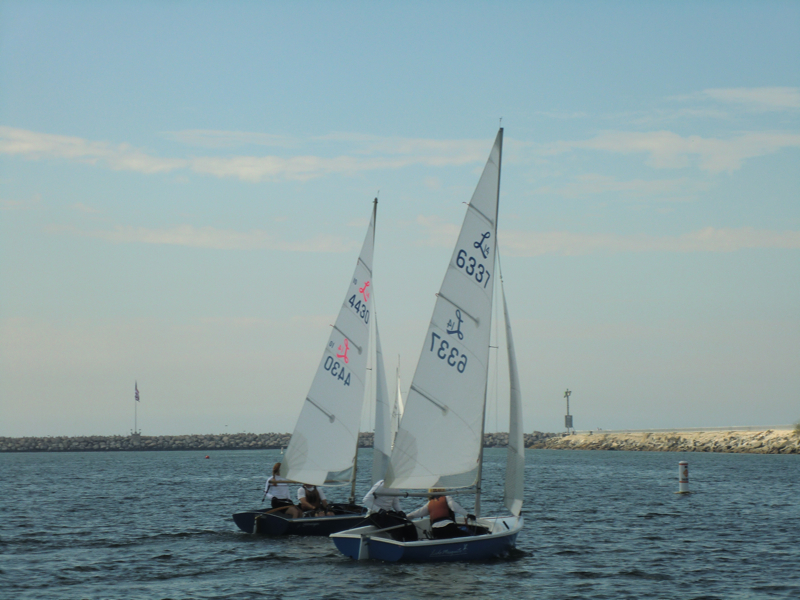 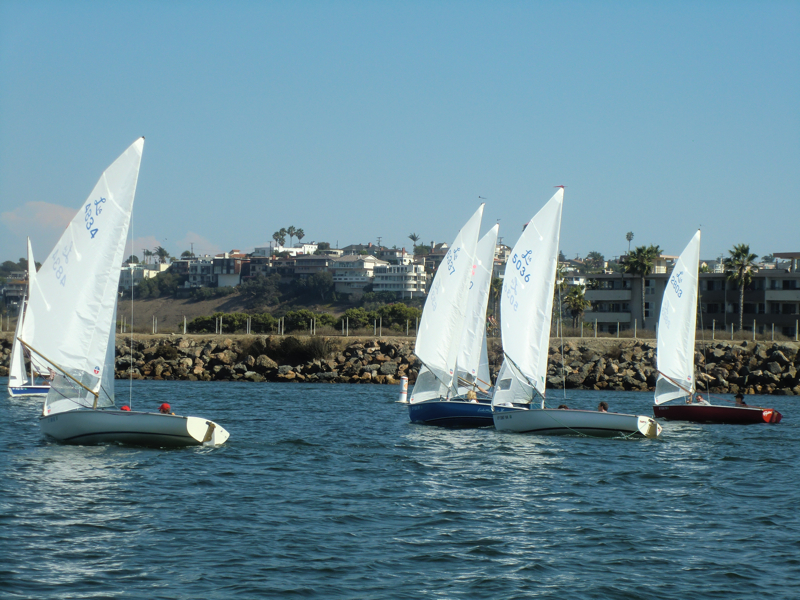 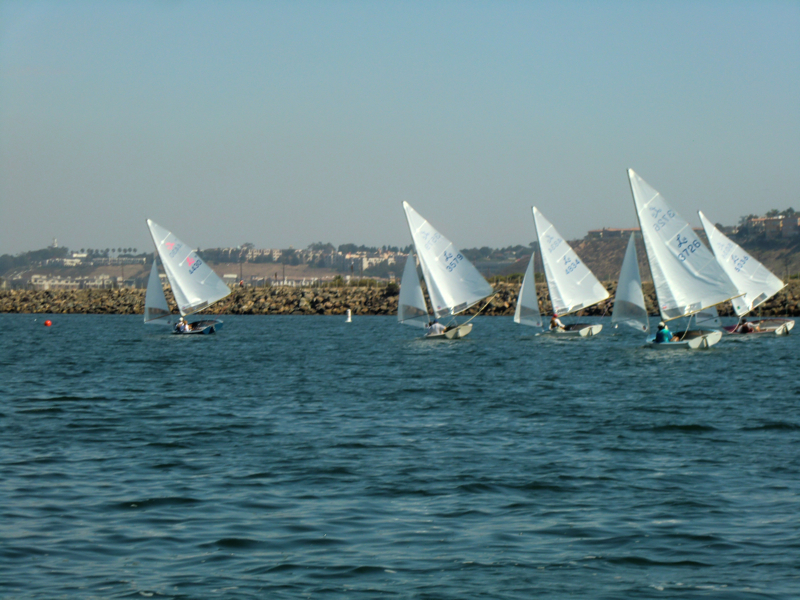 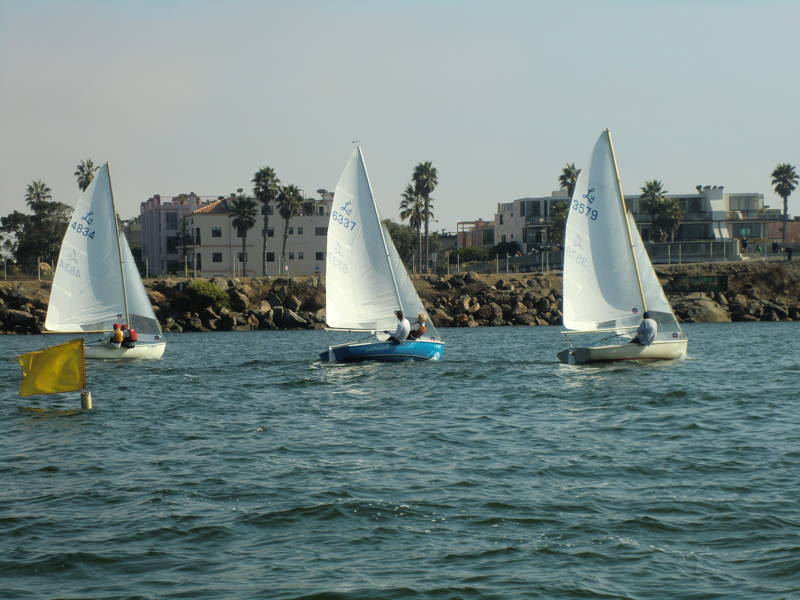 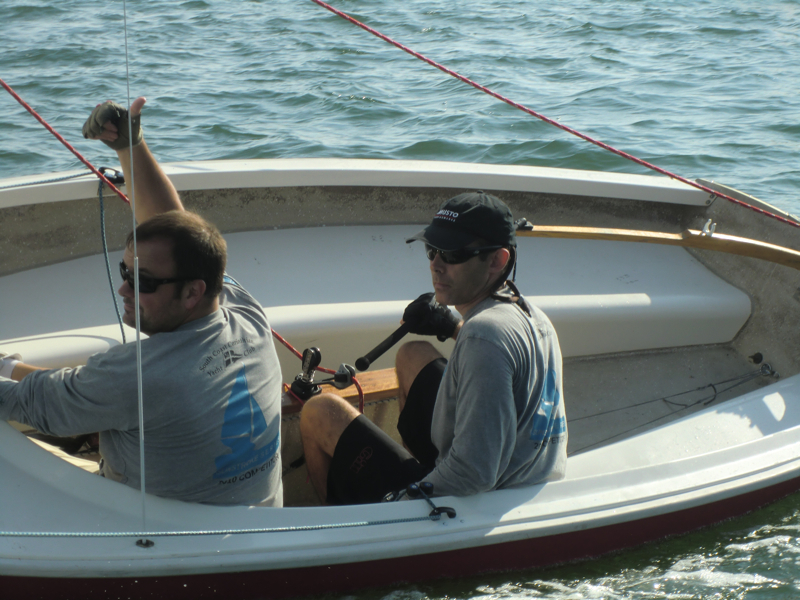 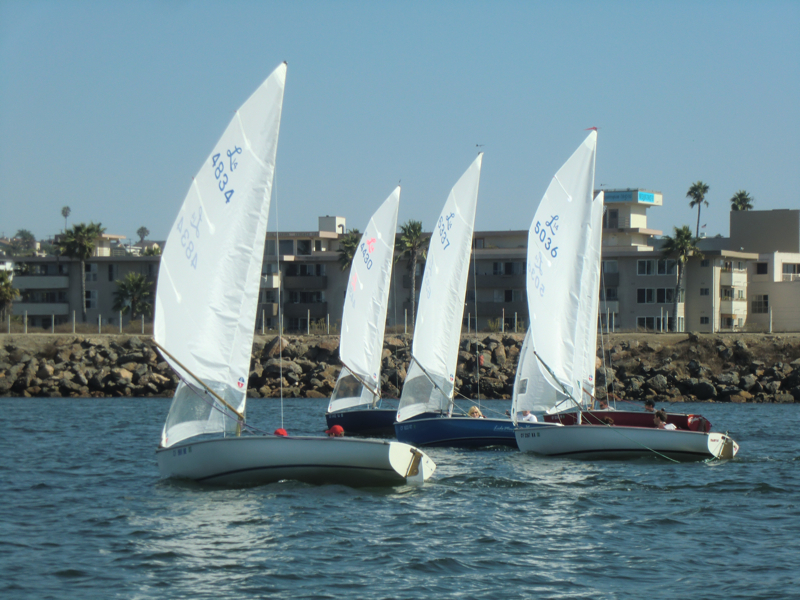 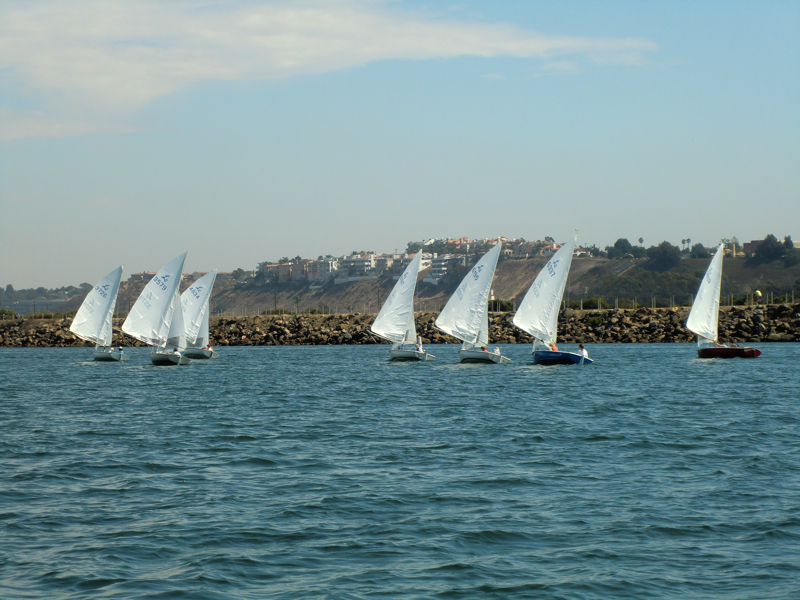 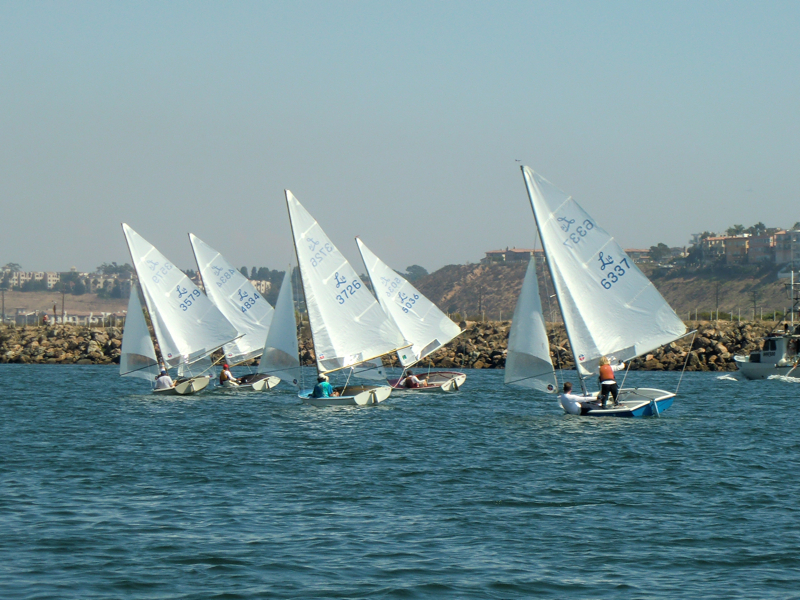 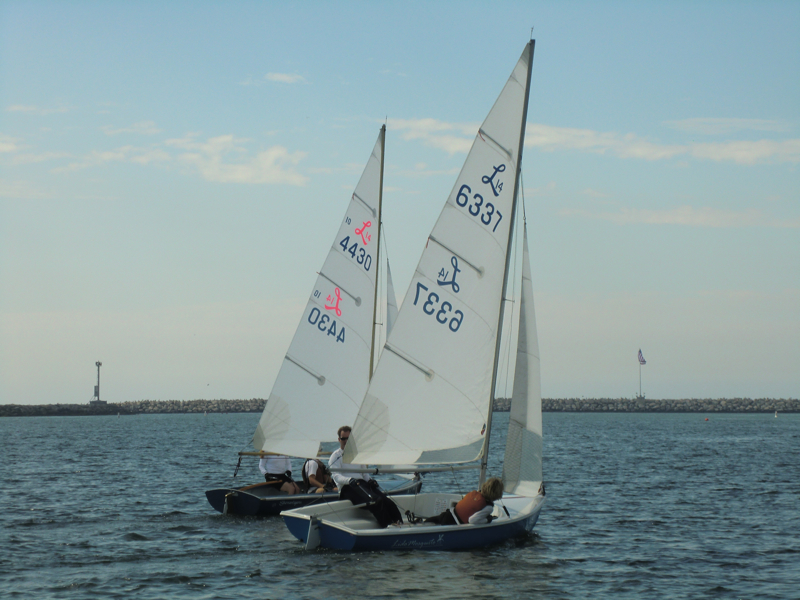 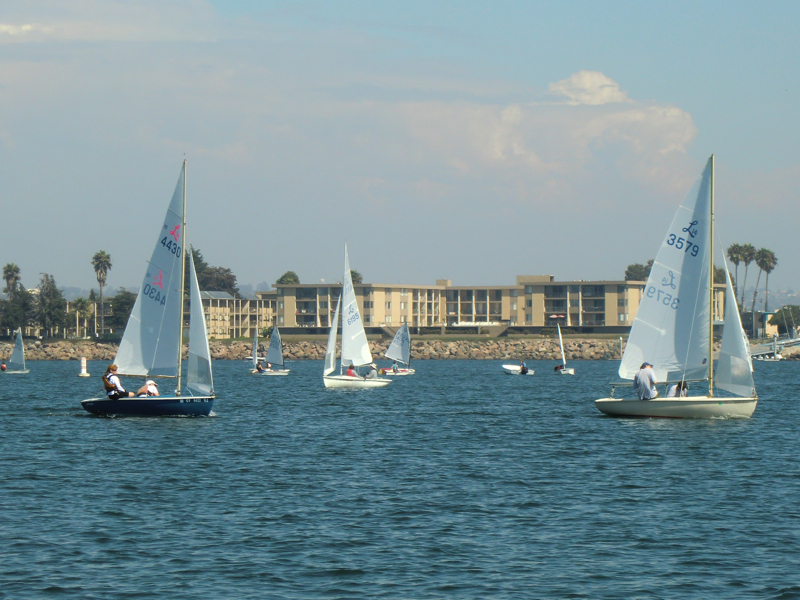 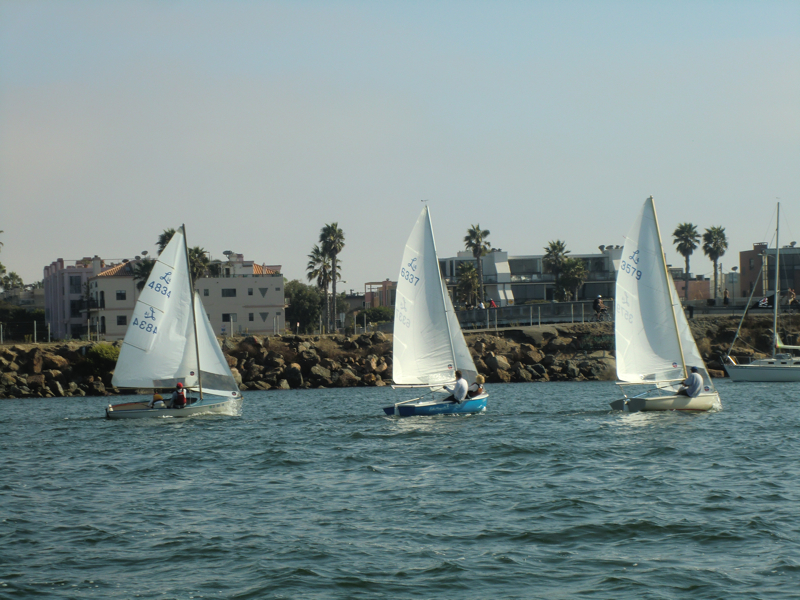 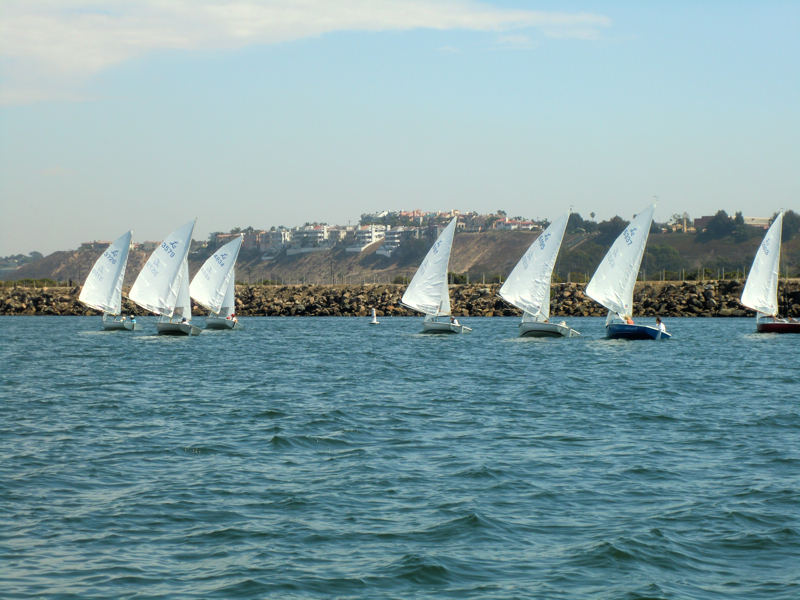 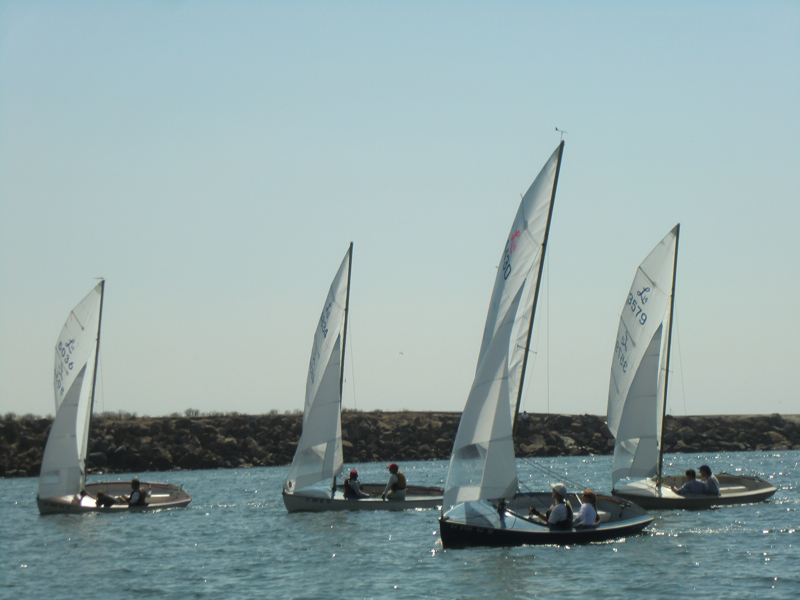 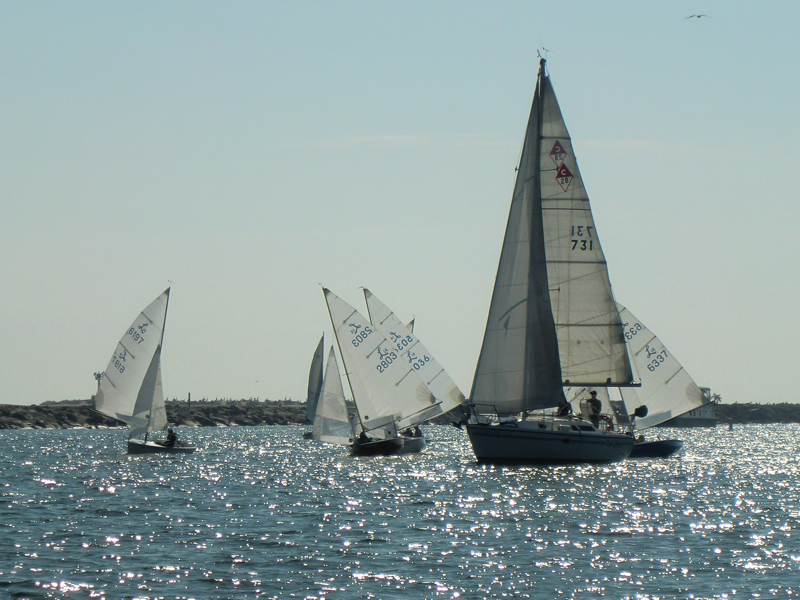 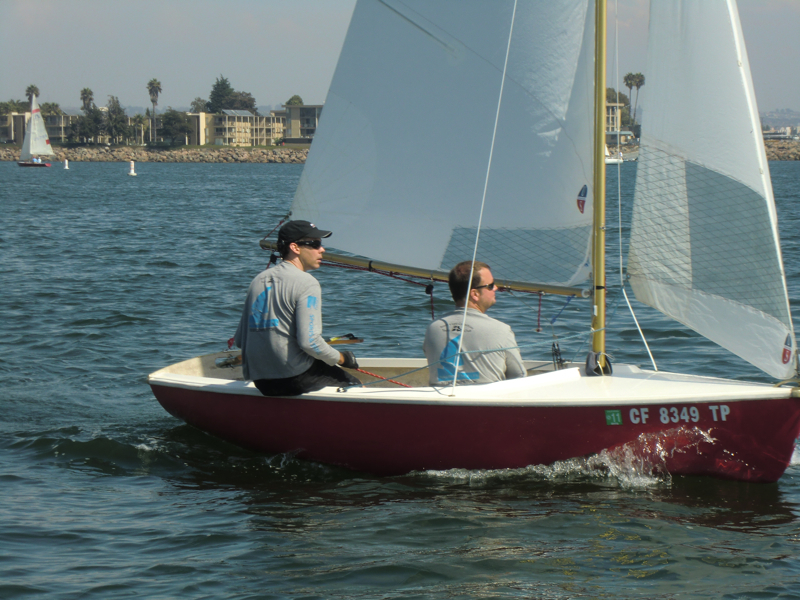 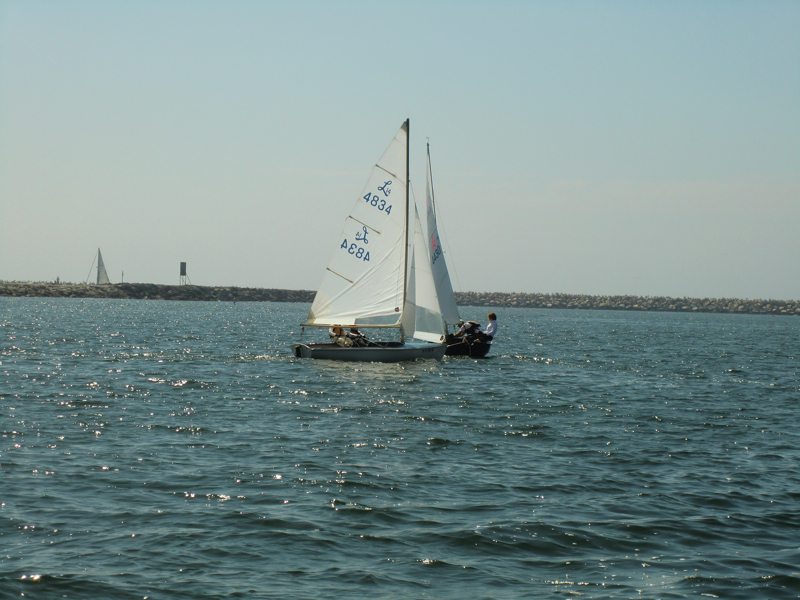 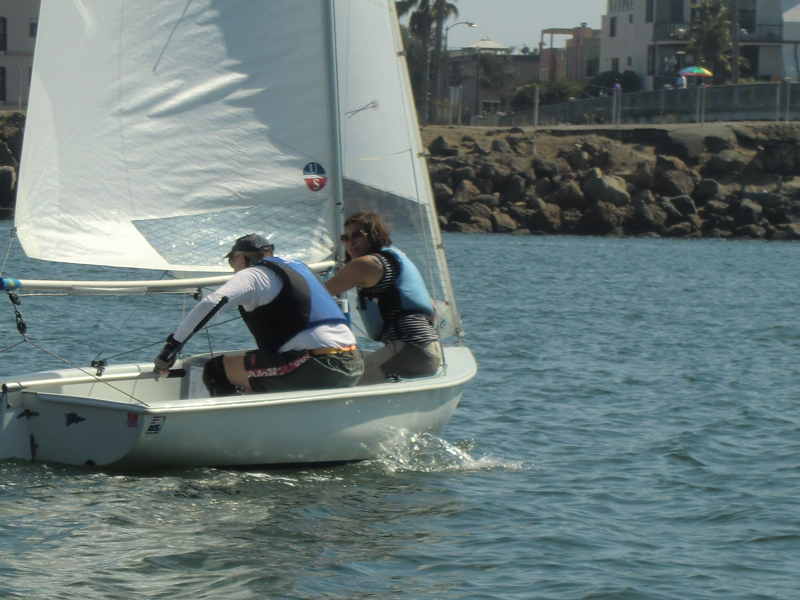 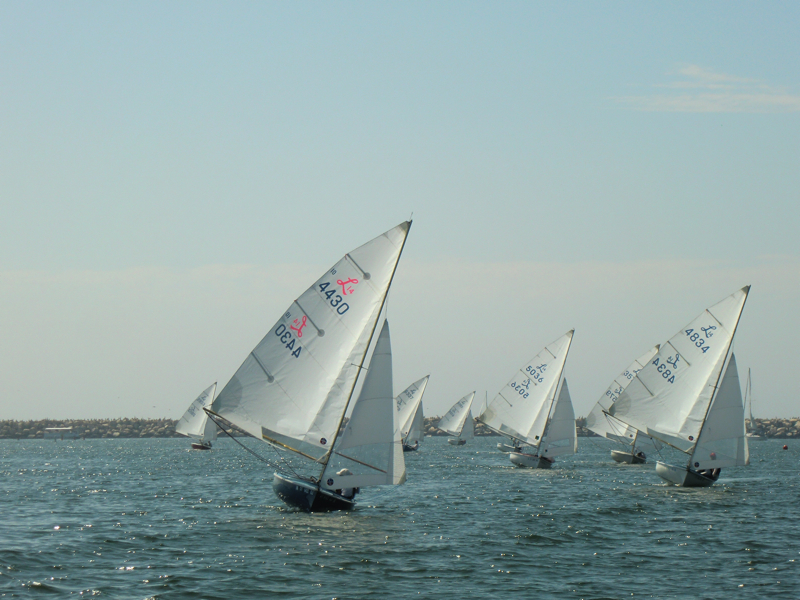 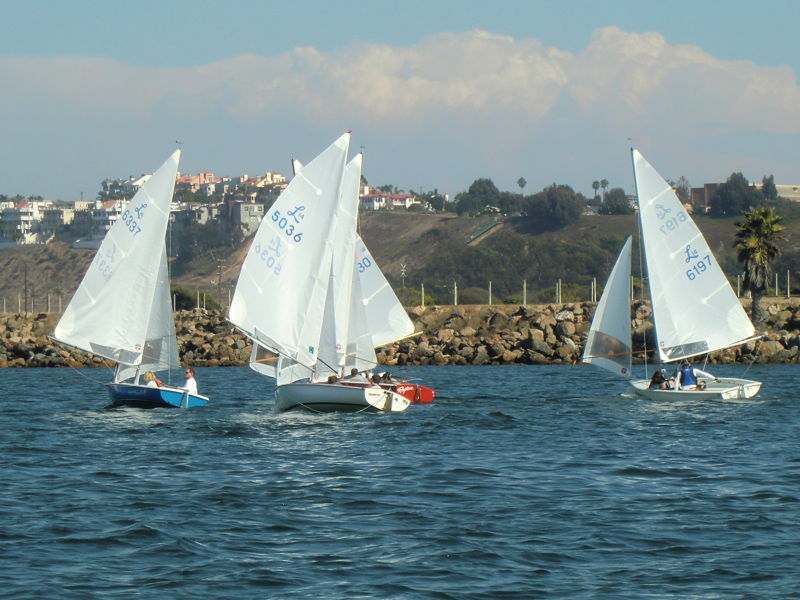 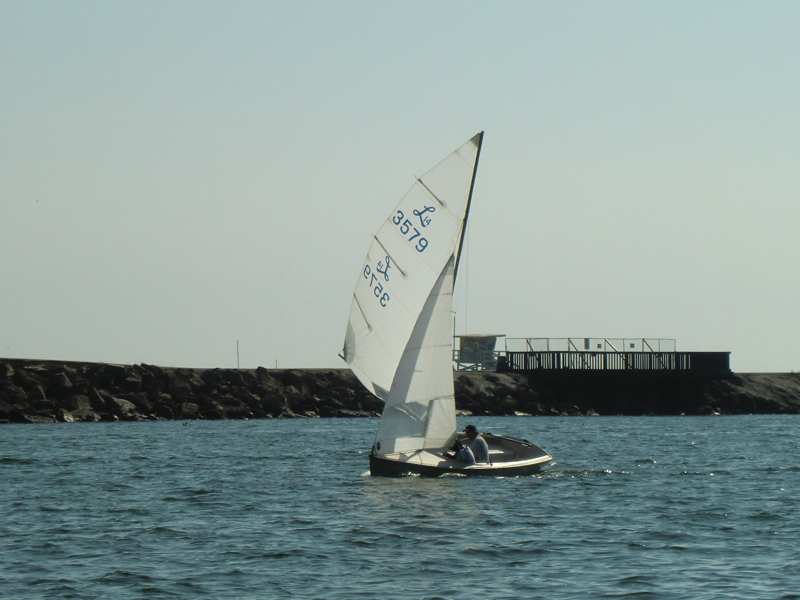 In the early and mid stages of the first race, Kevin Thomas and Amanda Kroeger put on a good show; their form, speed, and smart sailing made them look like the team to beat. 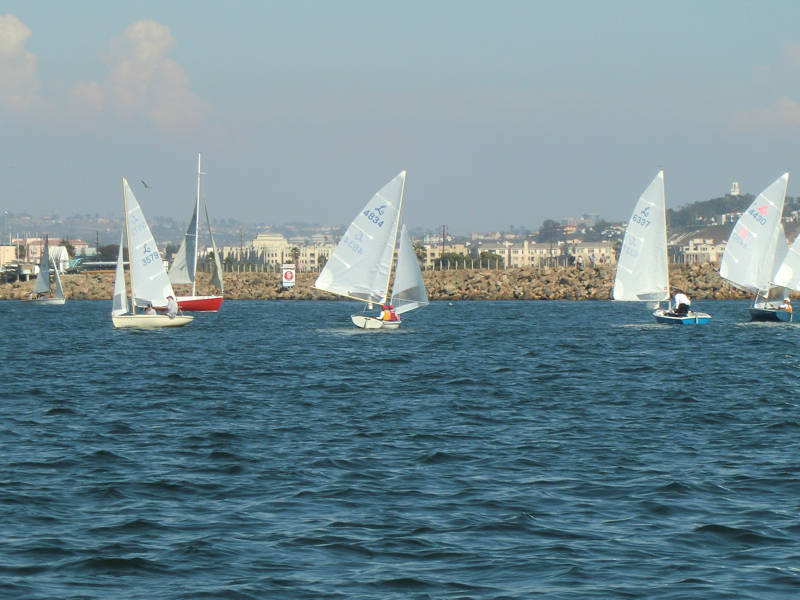 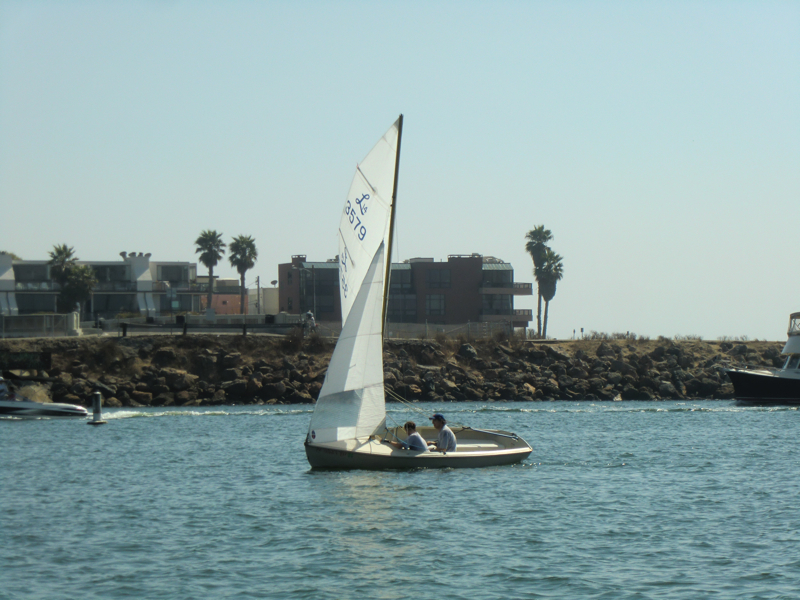 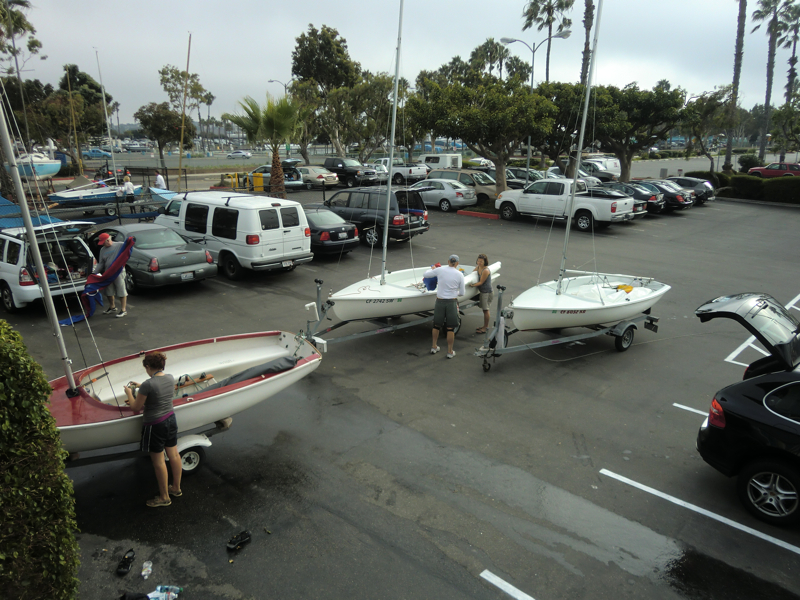 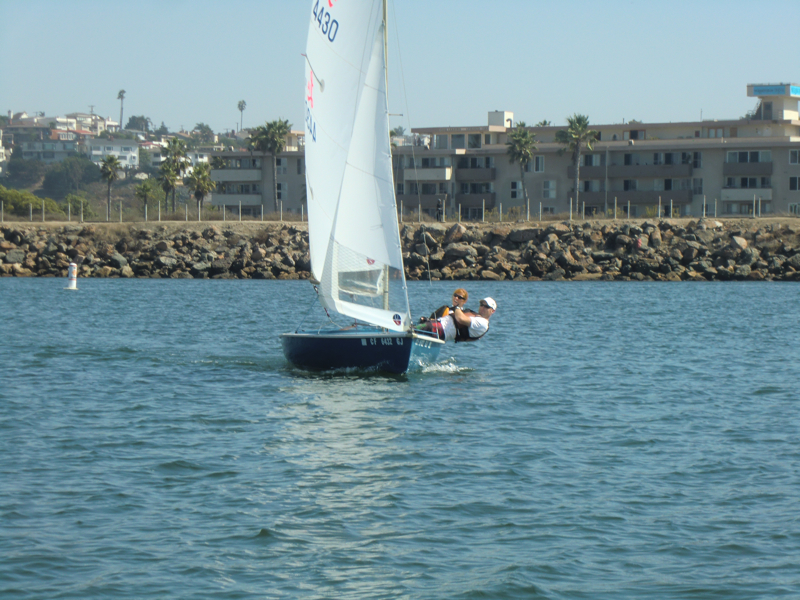 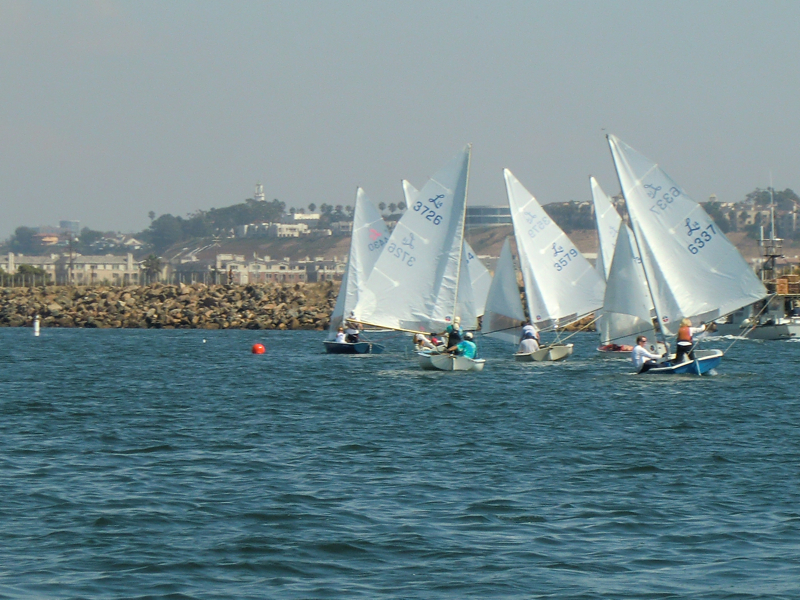 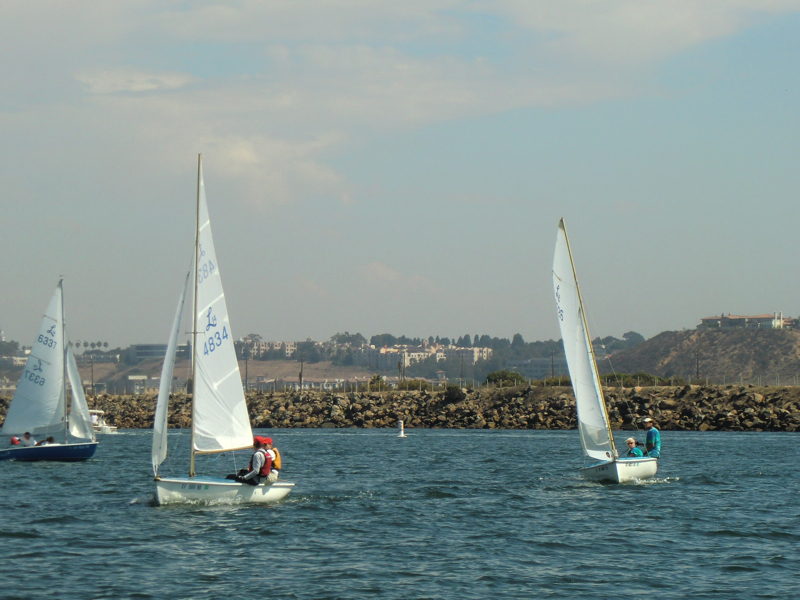 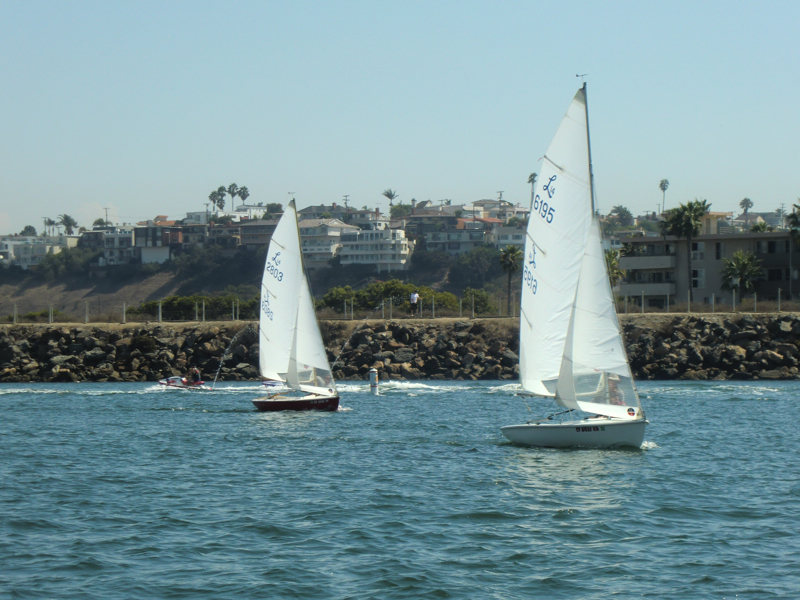 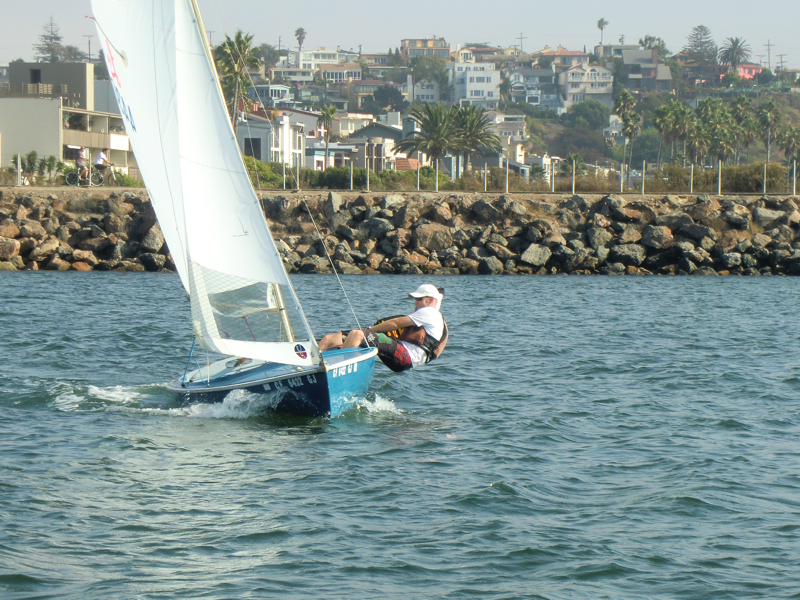 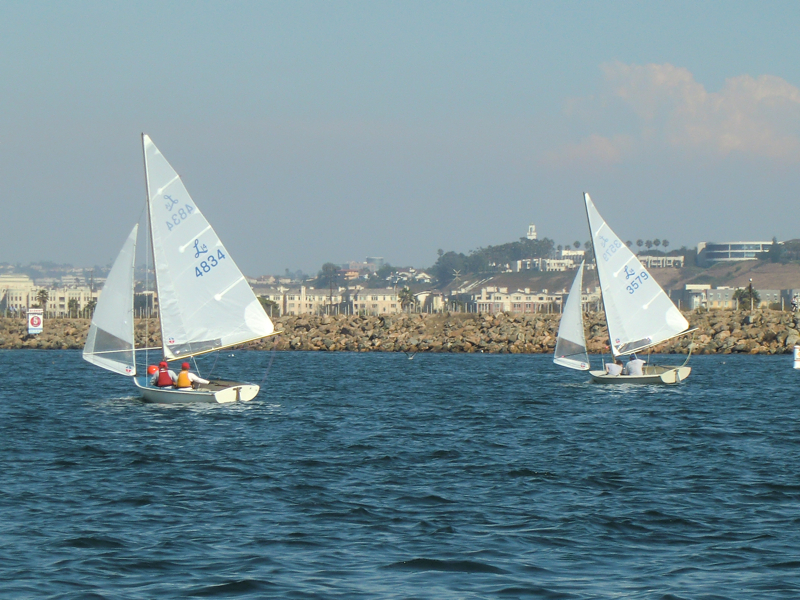 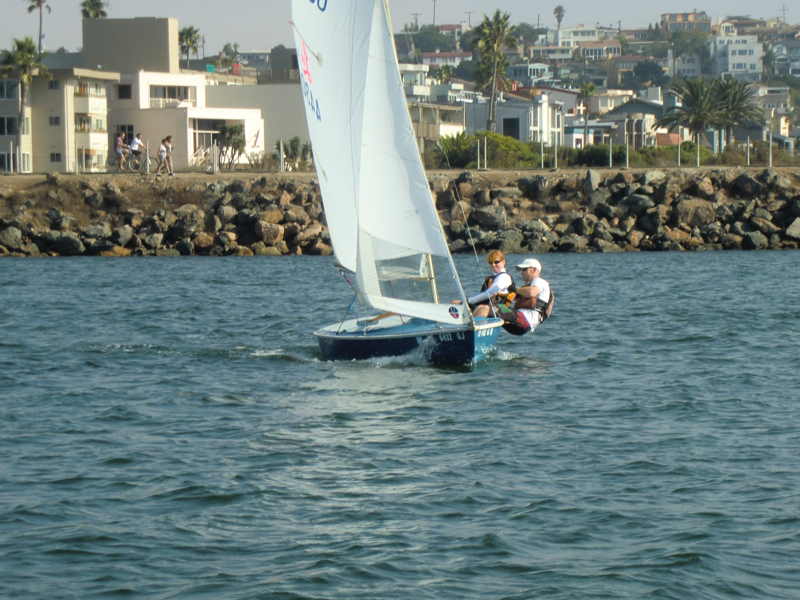 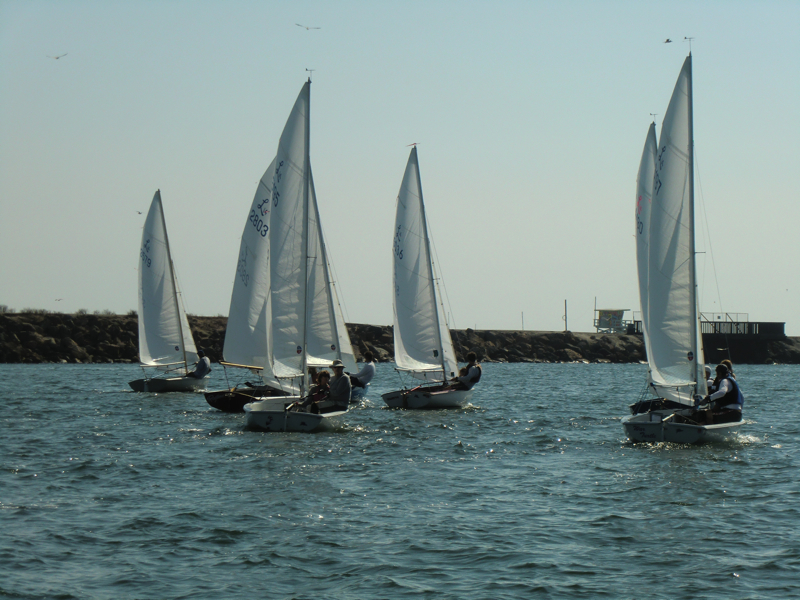 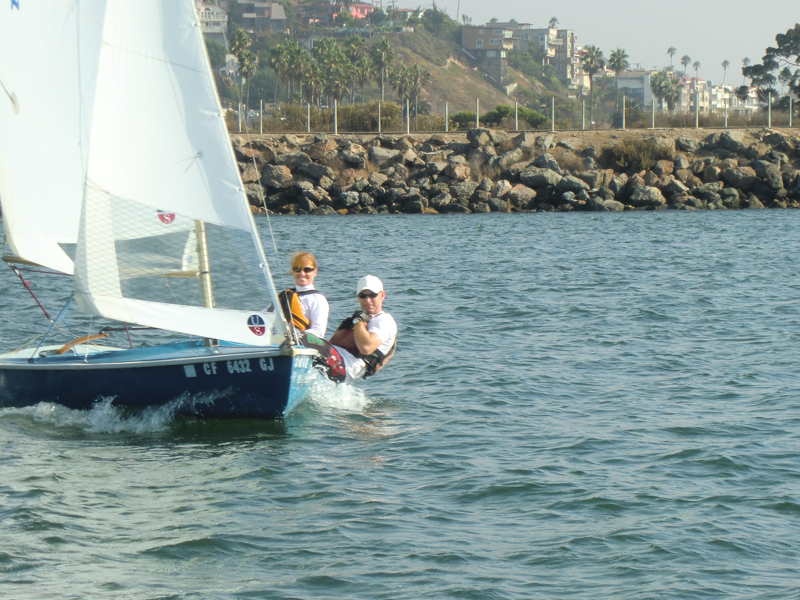 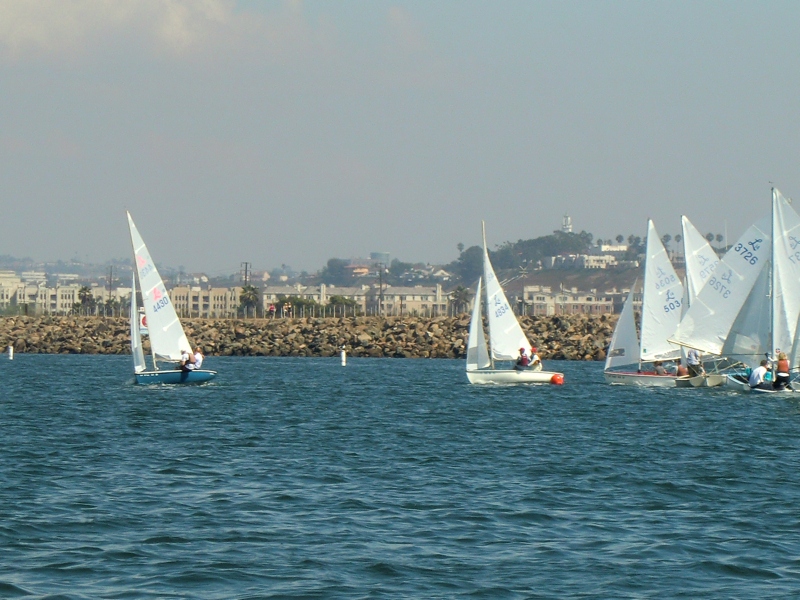 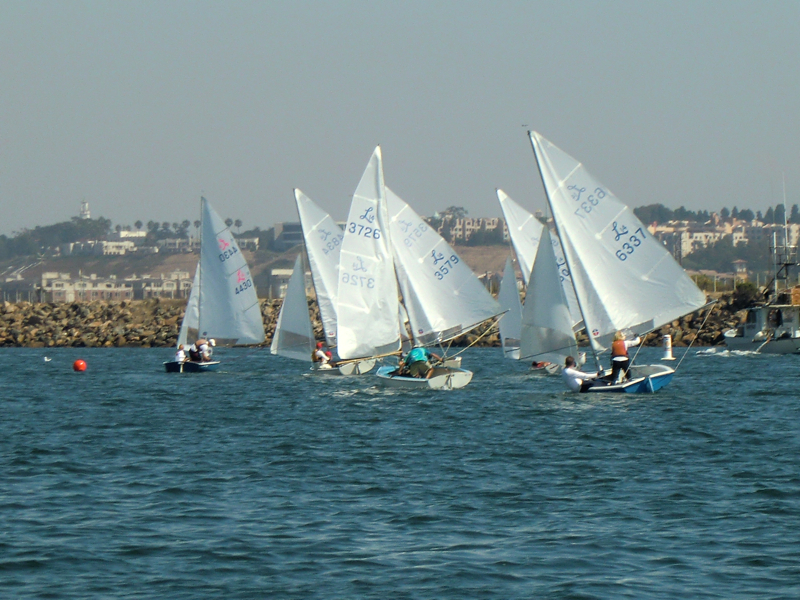 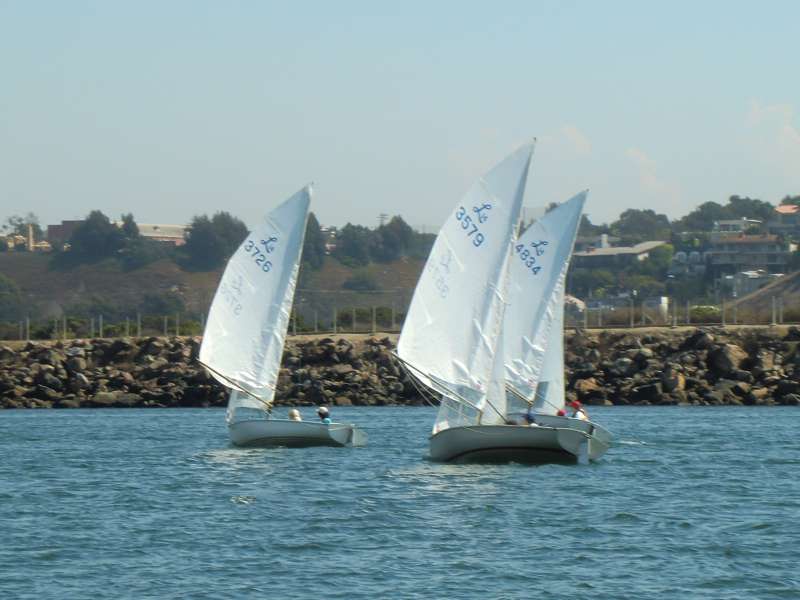 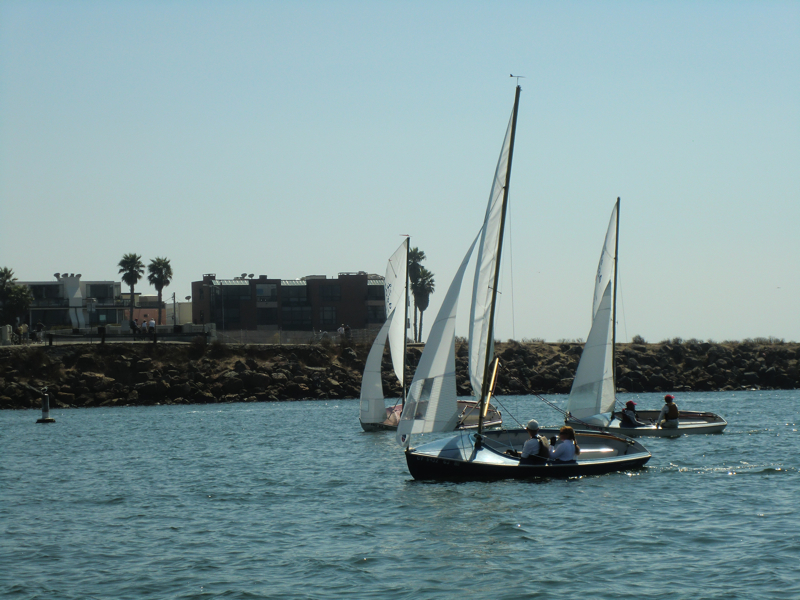 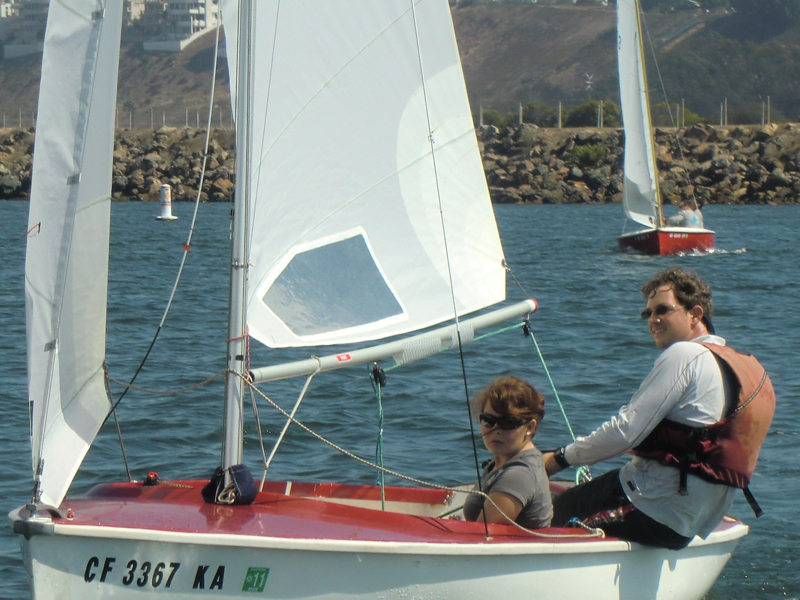 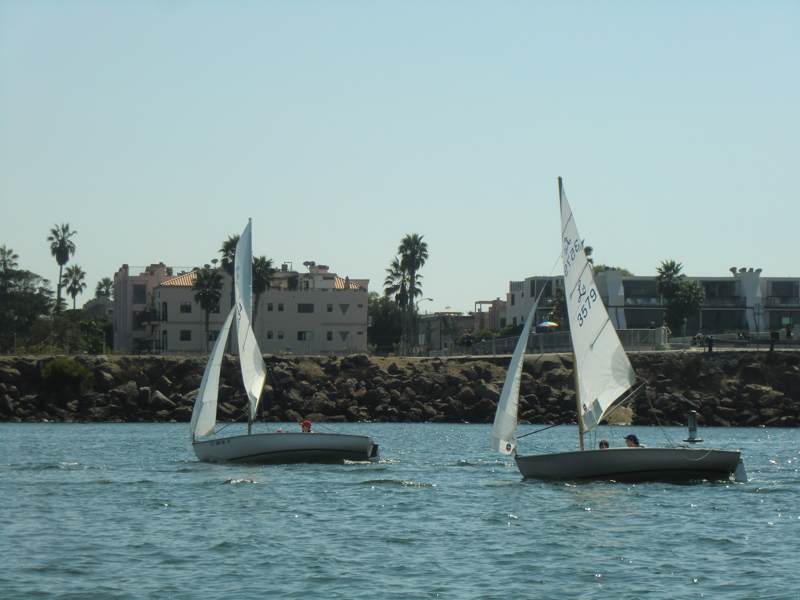 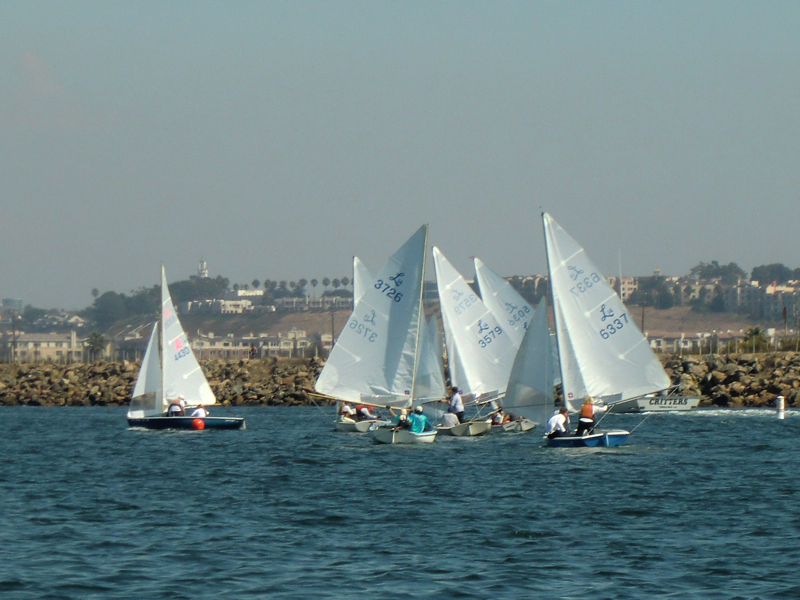 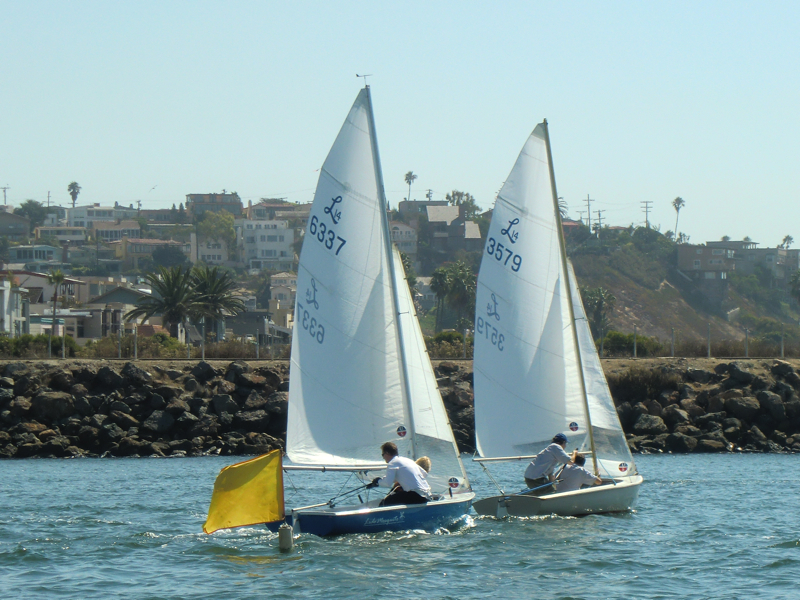 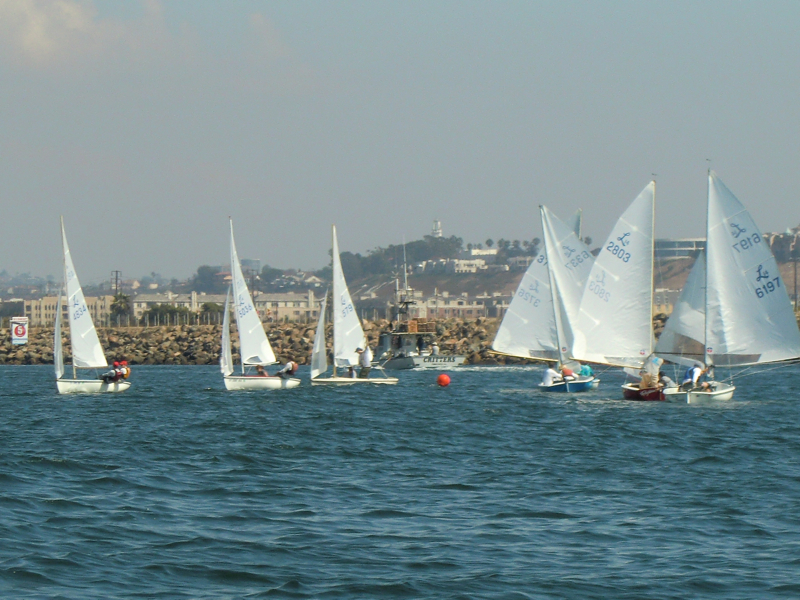 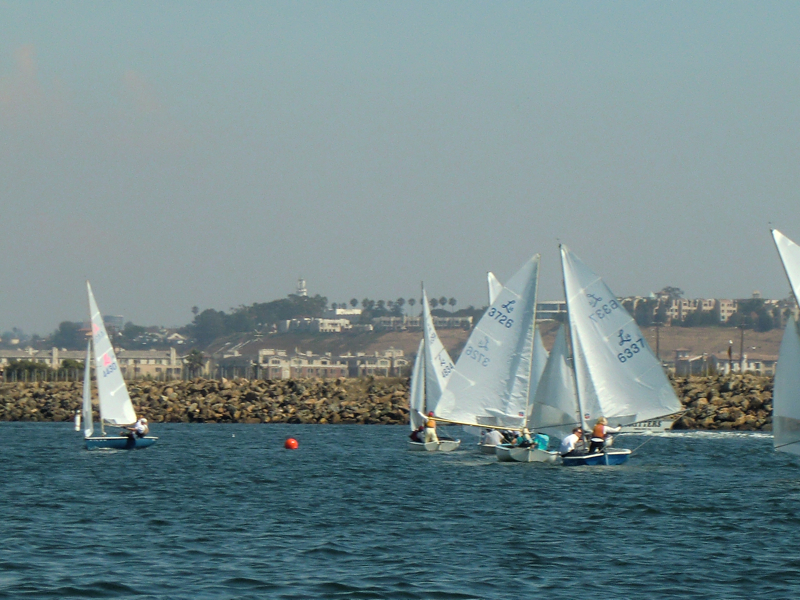 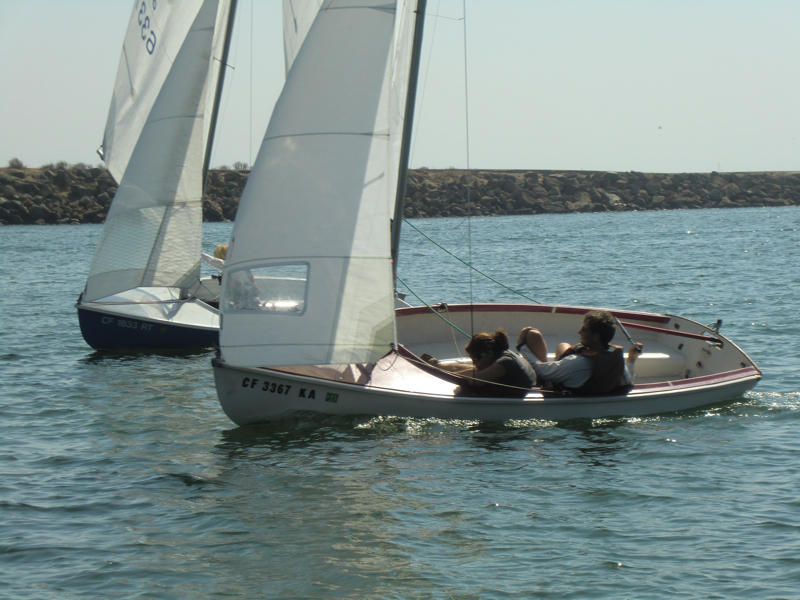 However Tracey Kenney and Barrett Sprout eventually caught and overtook Kevin and Amanda to win the first race. 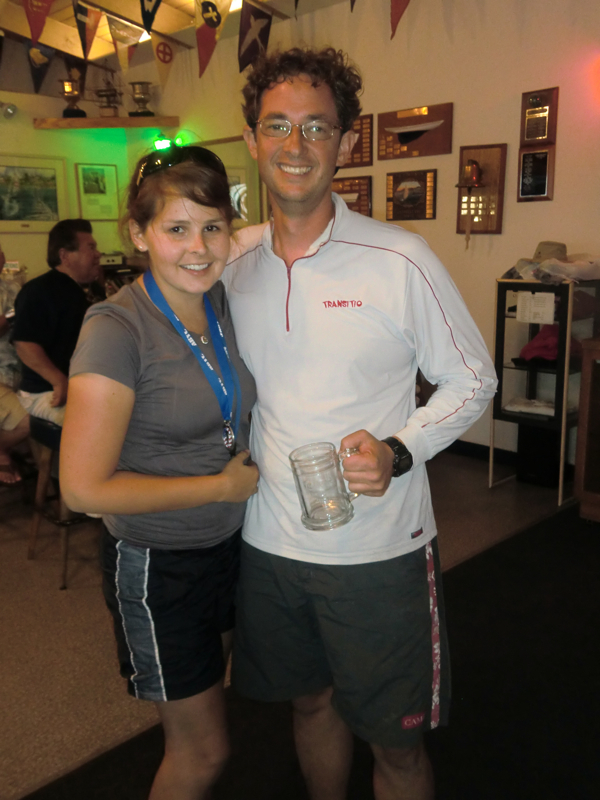 Unfortunately for Kevin and Amanda, and perhaps everyone else too, this seemed to be the theme for the day. 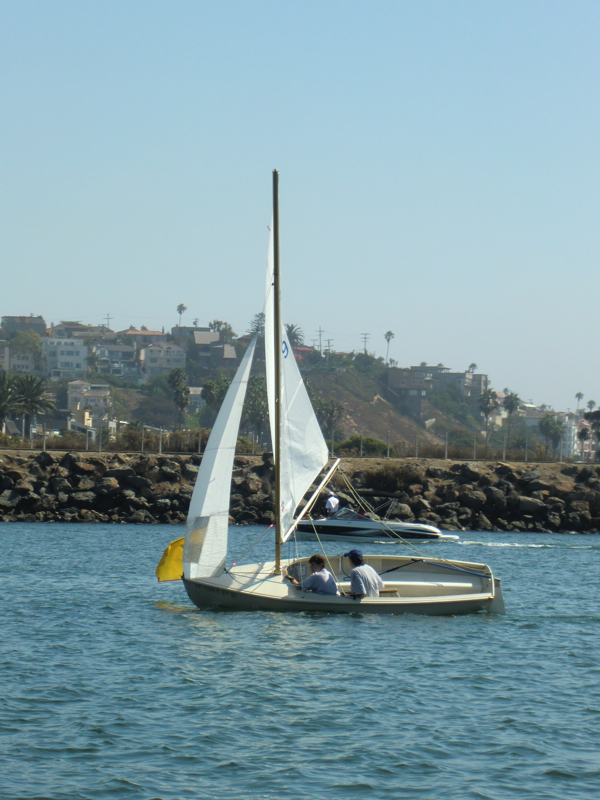 If any other boat had the lead - it always ended up that Tracey and Barrett would take it away. 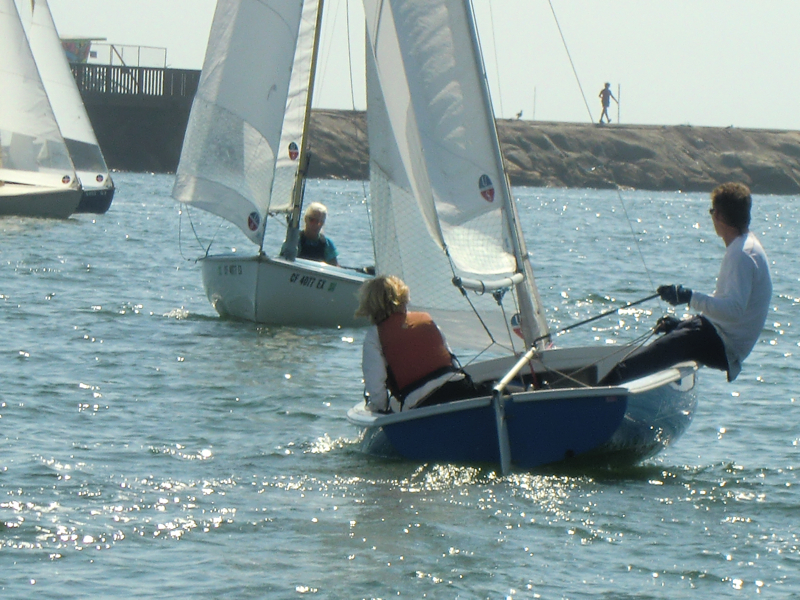 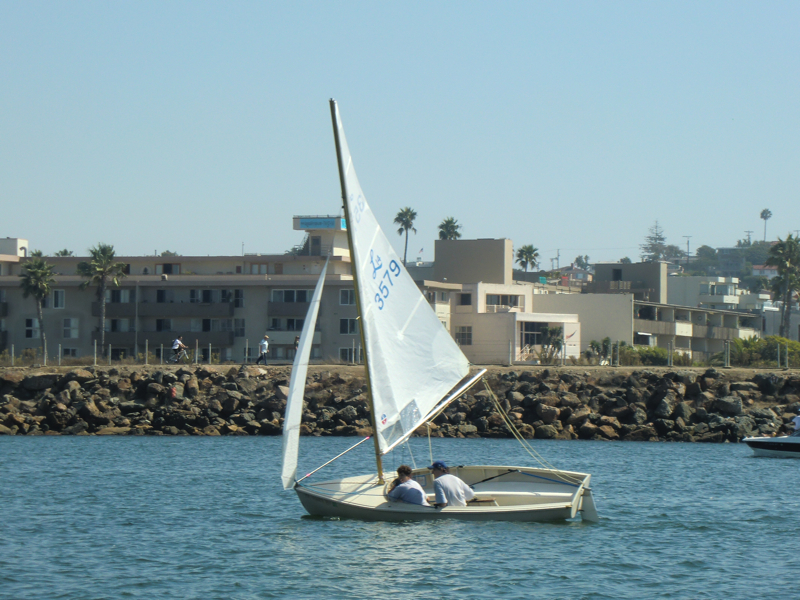 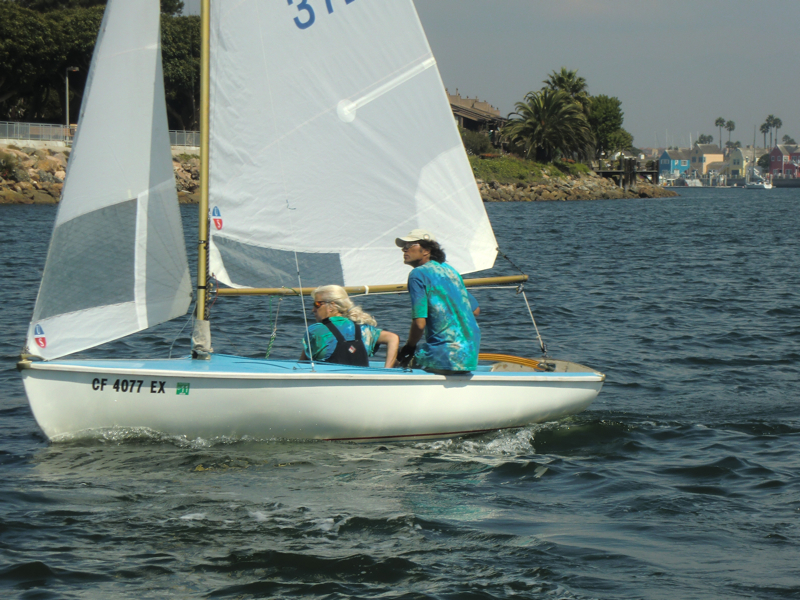 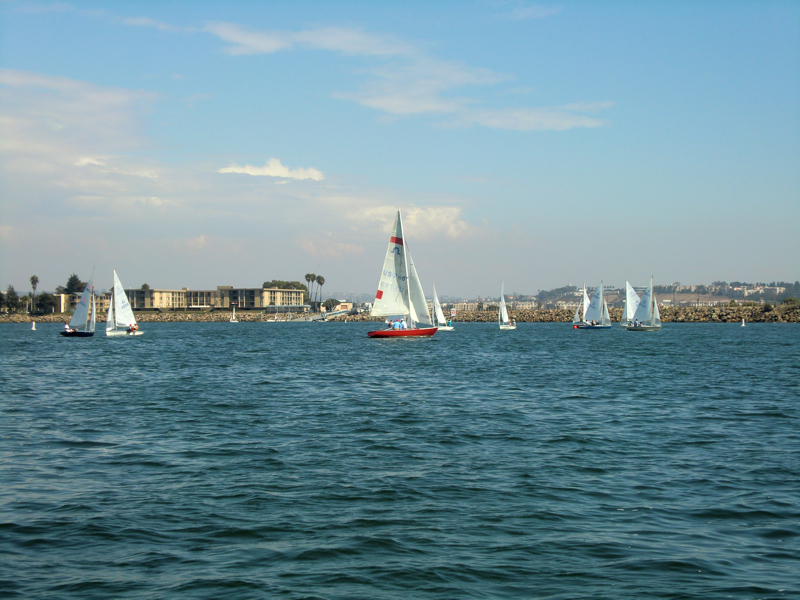 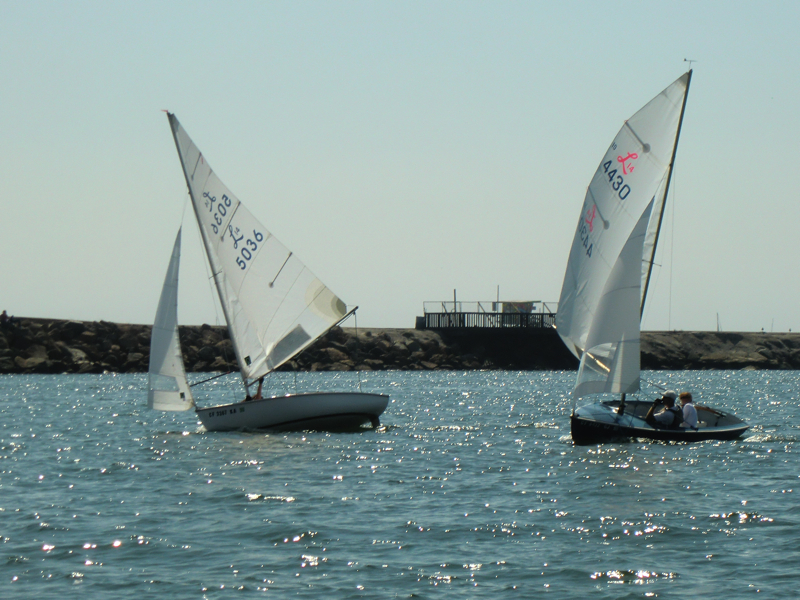 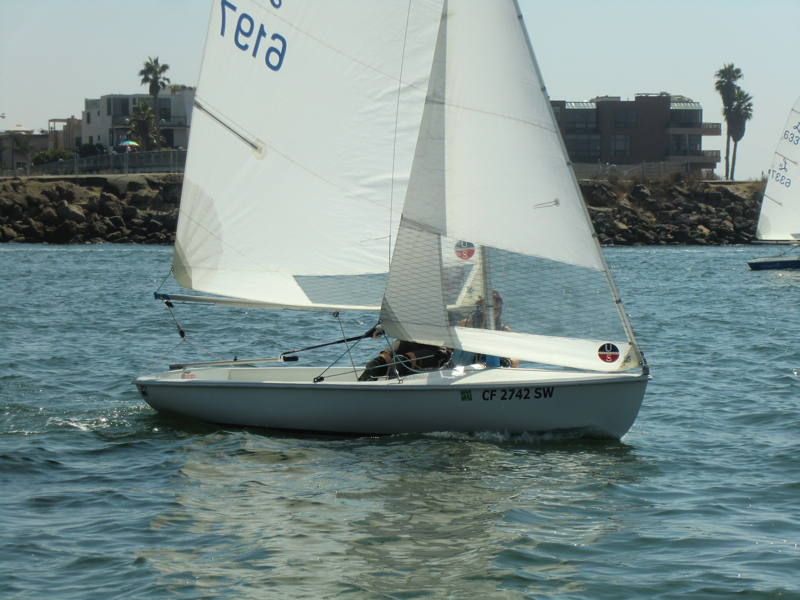 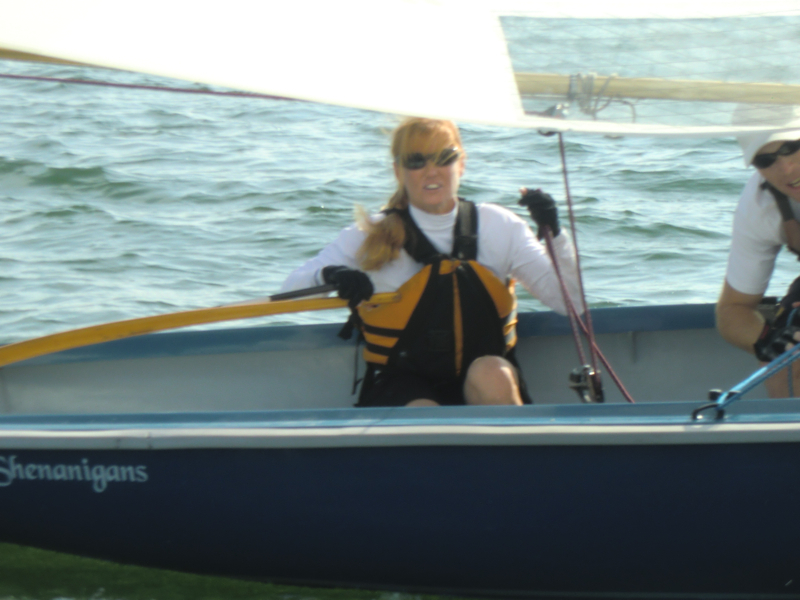 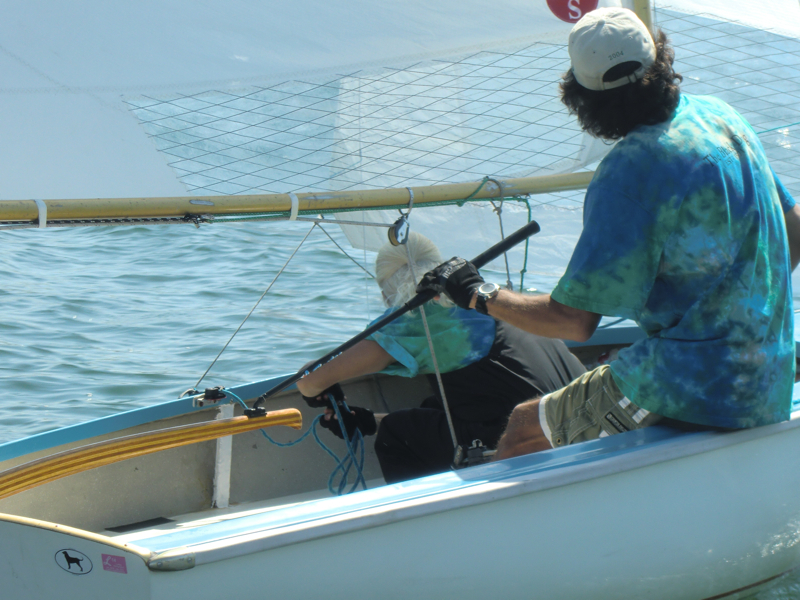 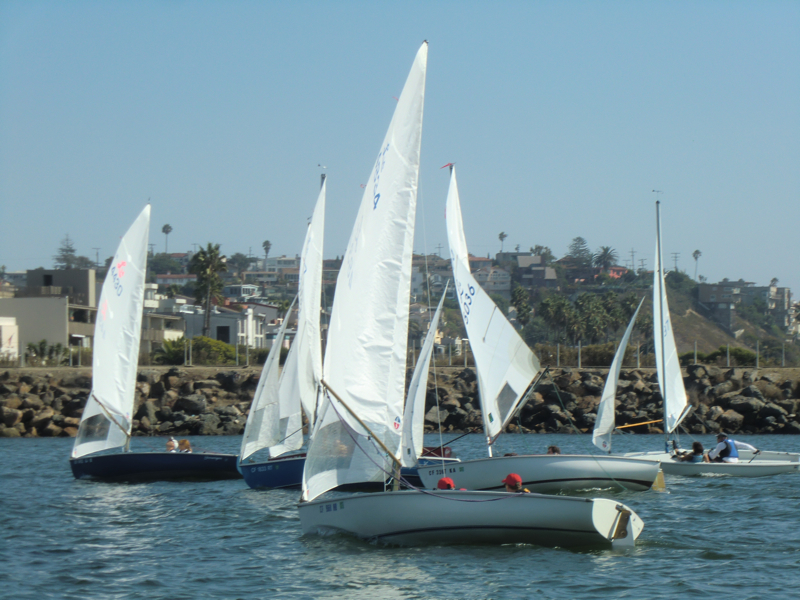 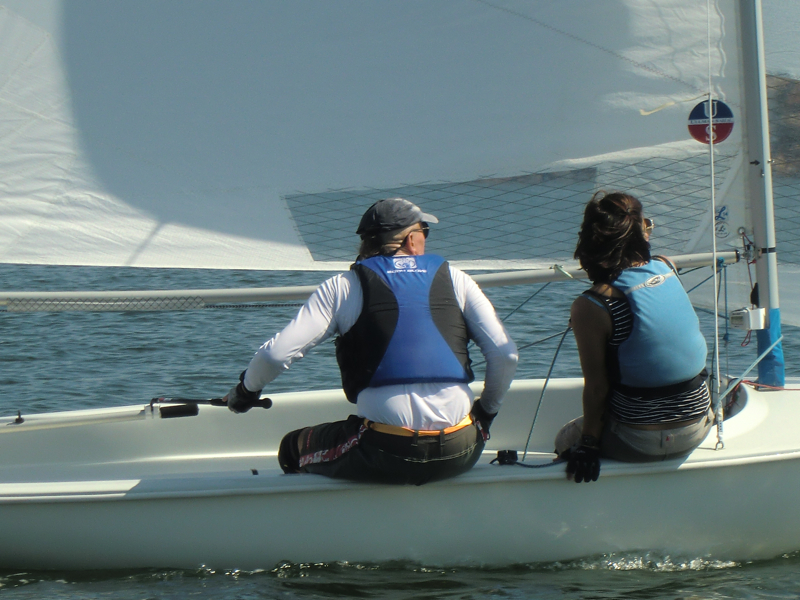 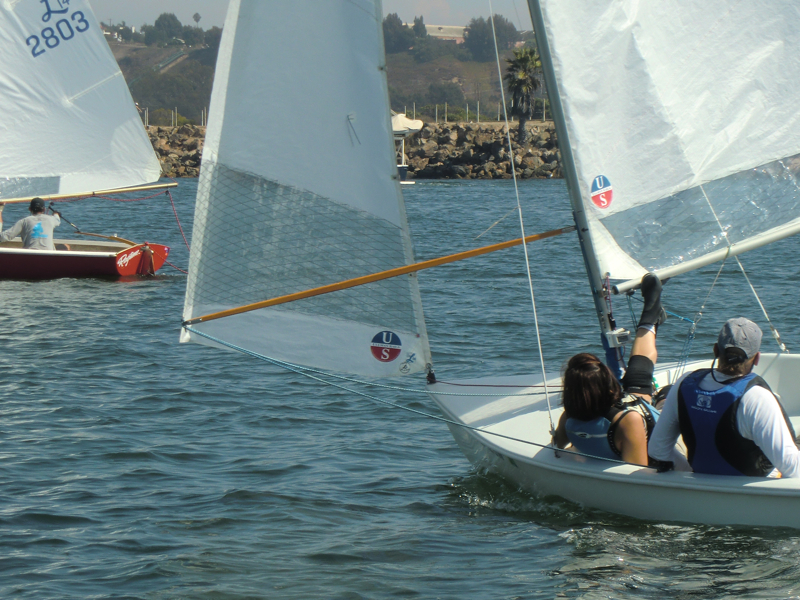 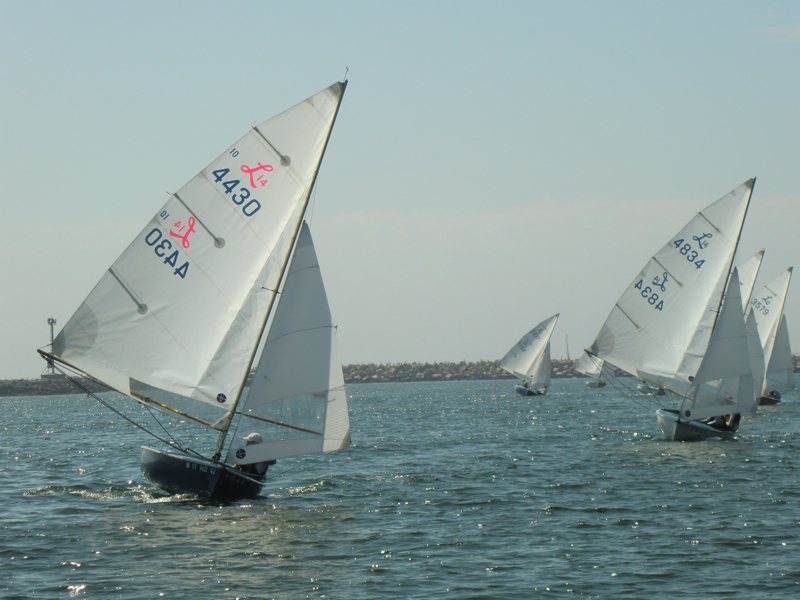 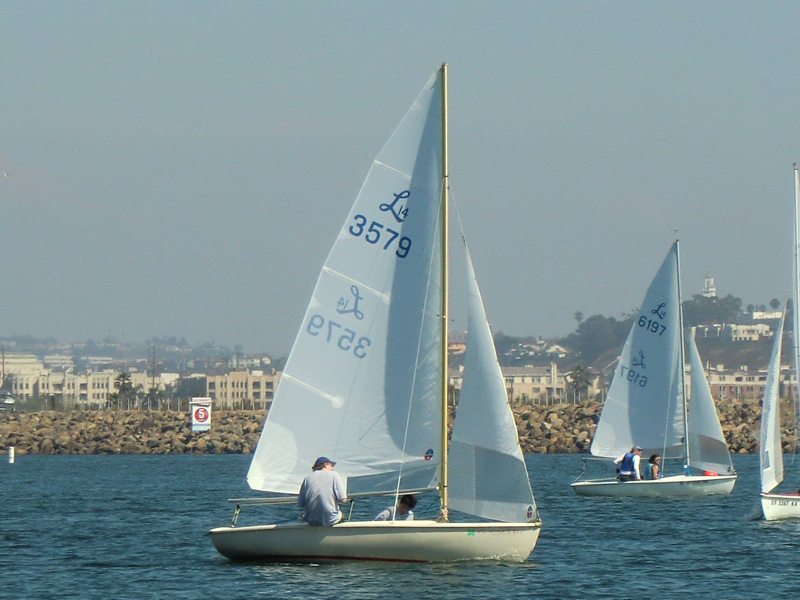 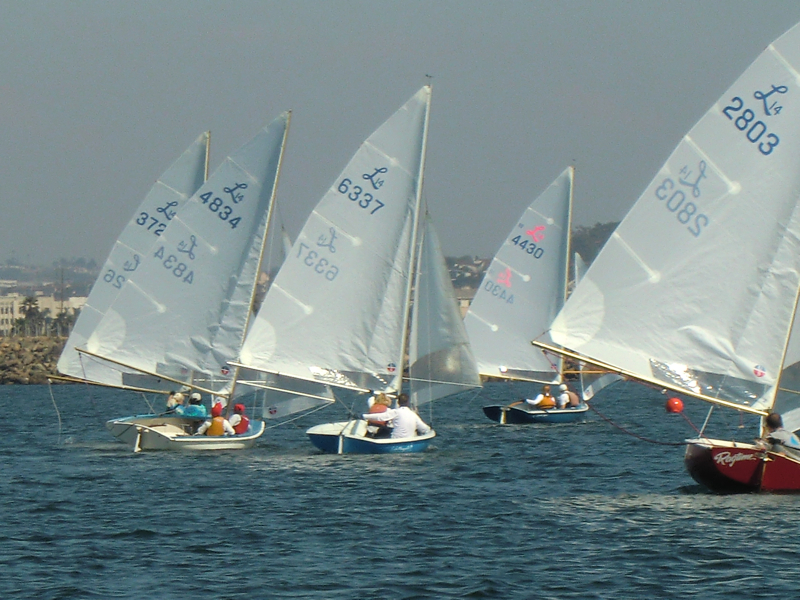 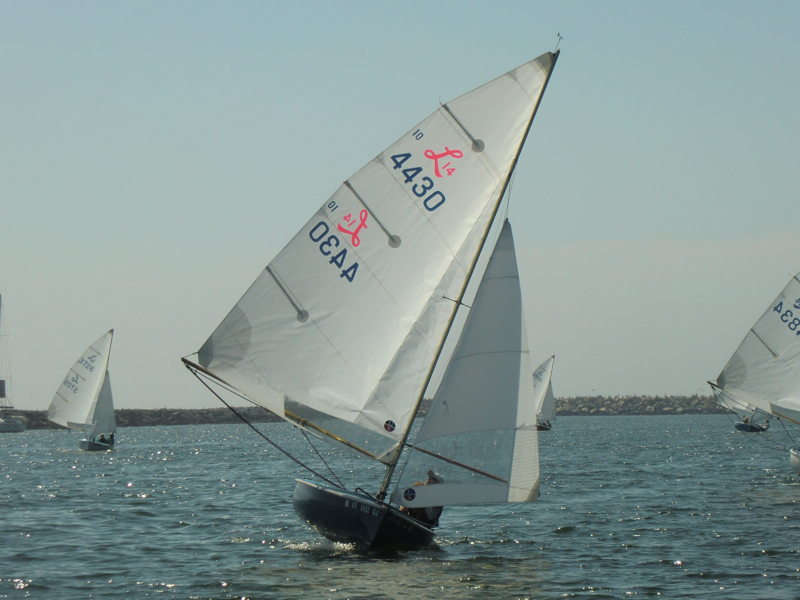 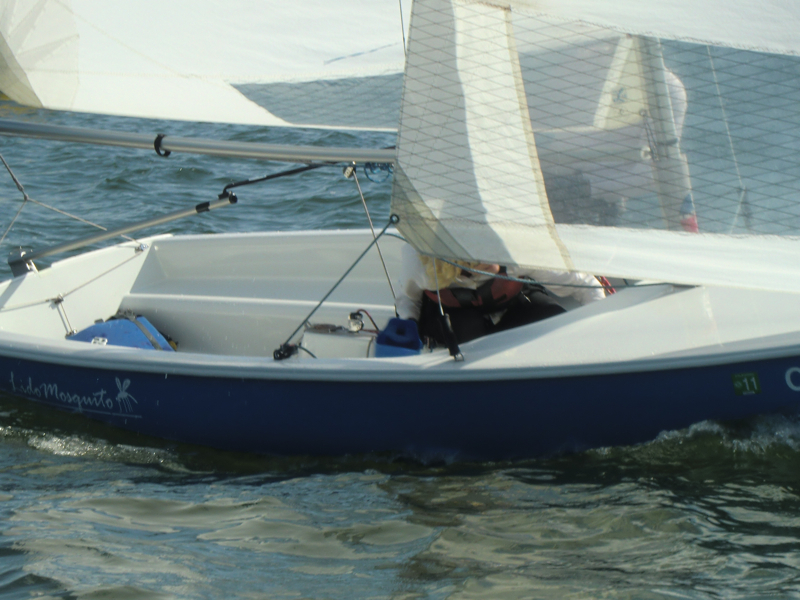 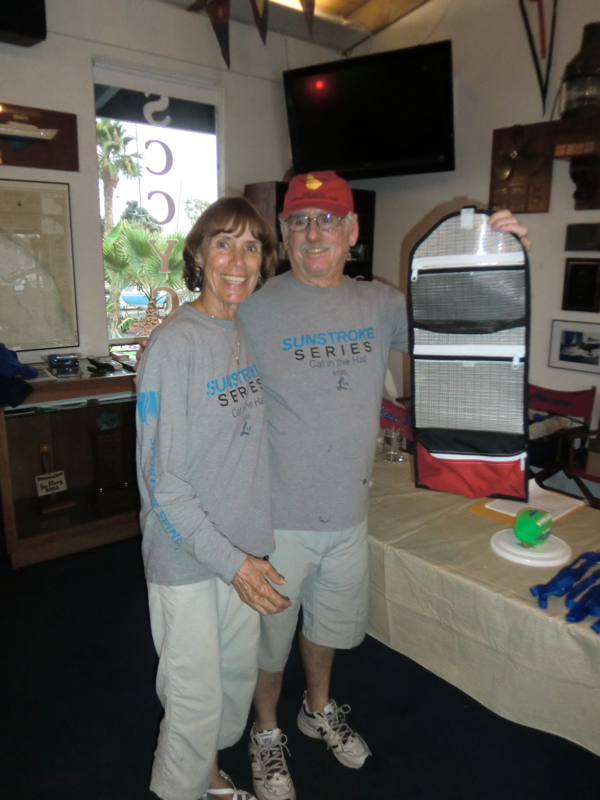 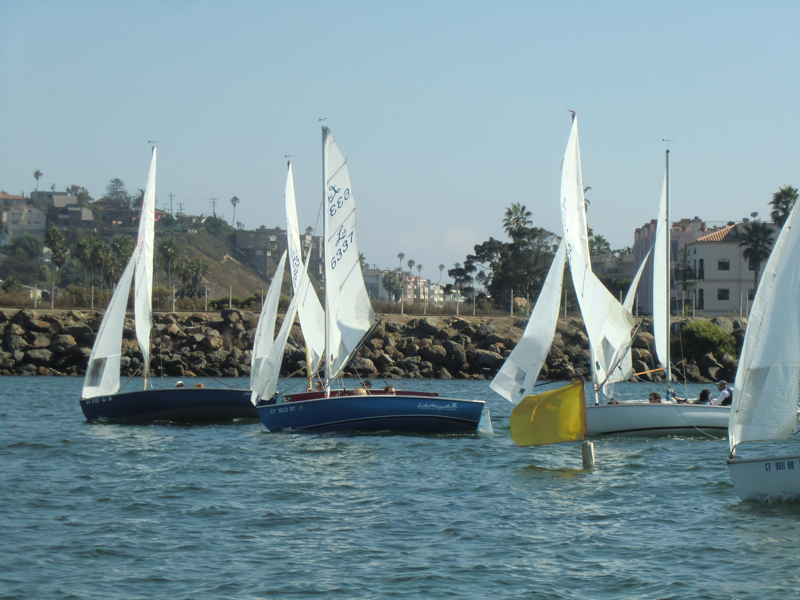 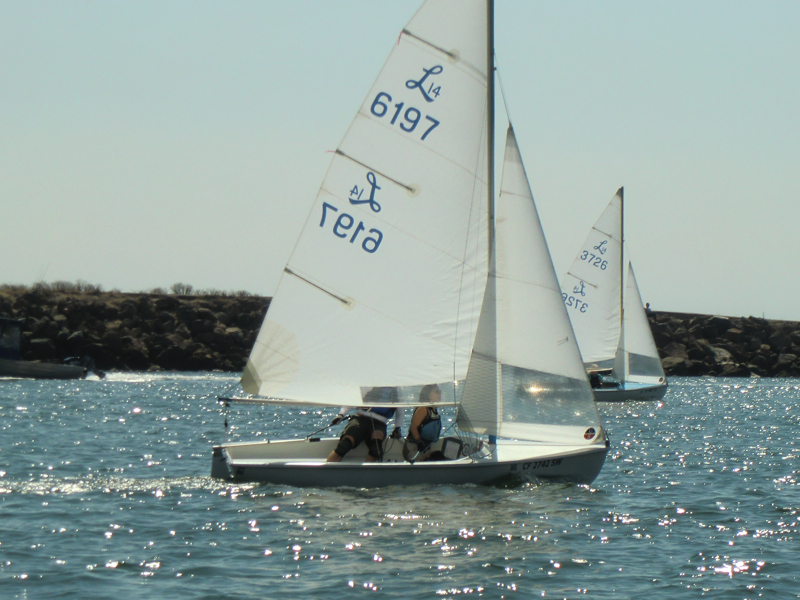 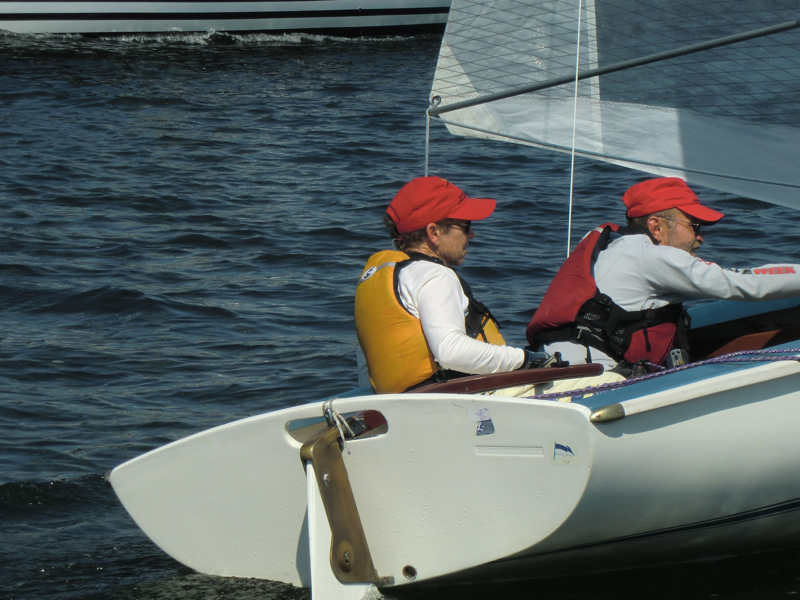 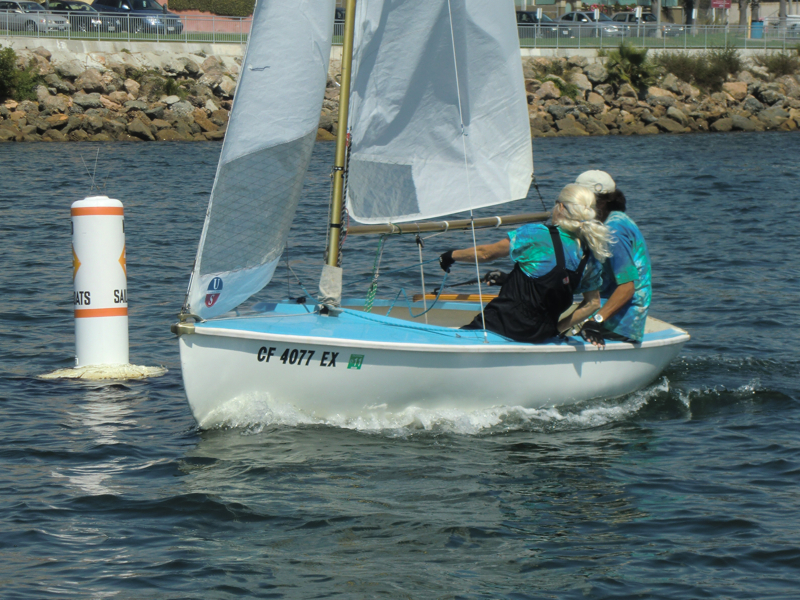 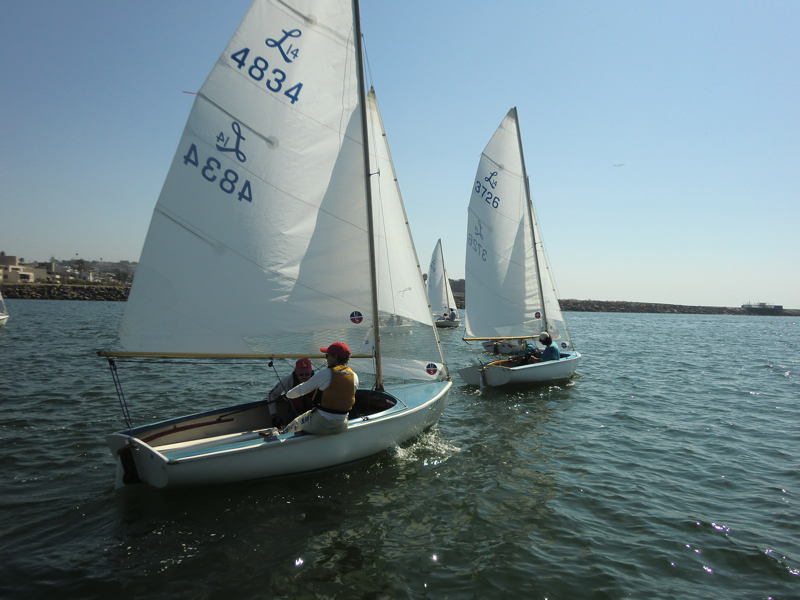 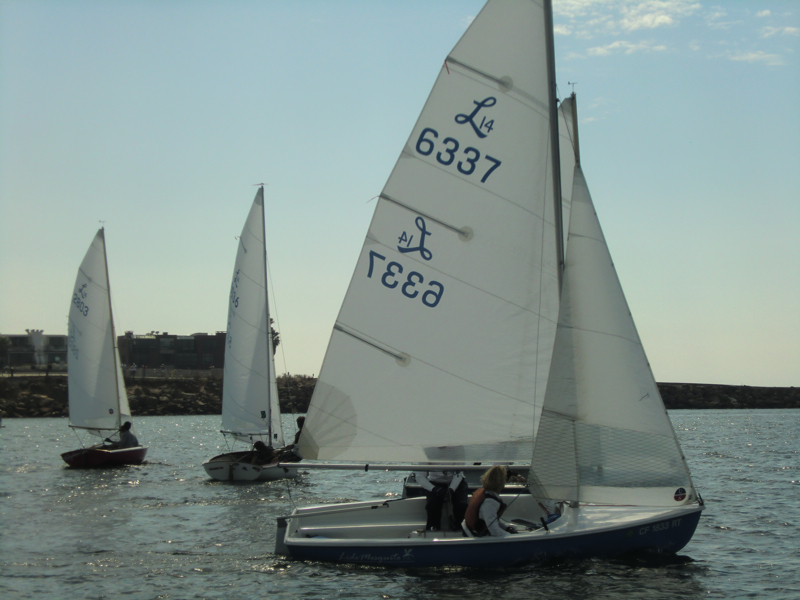 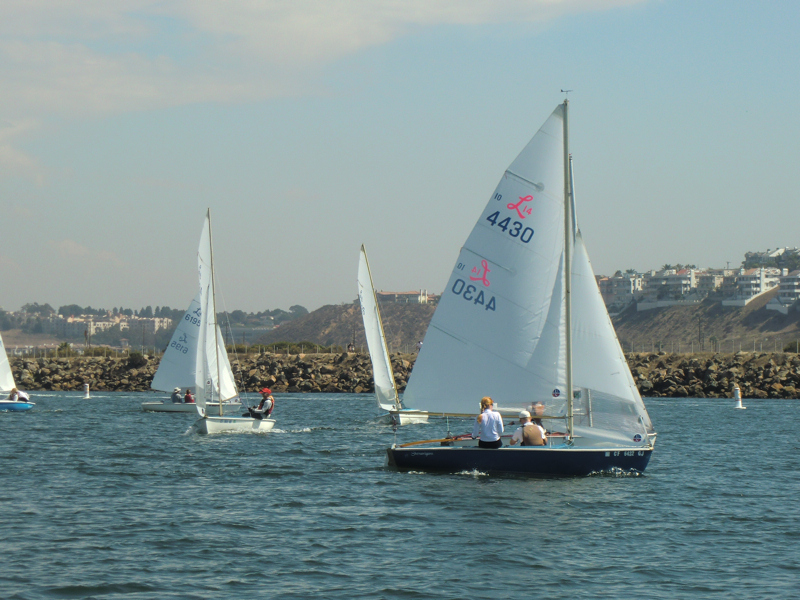 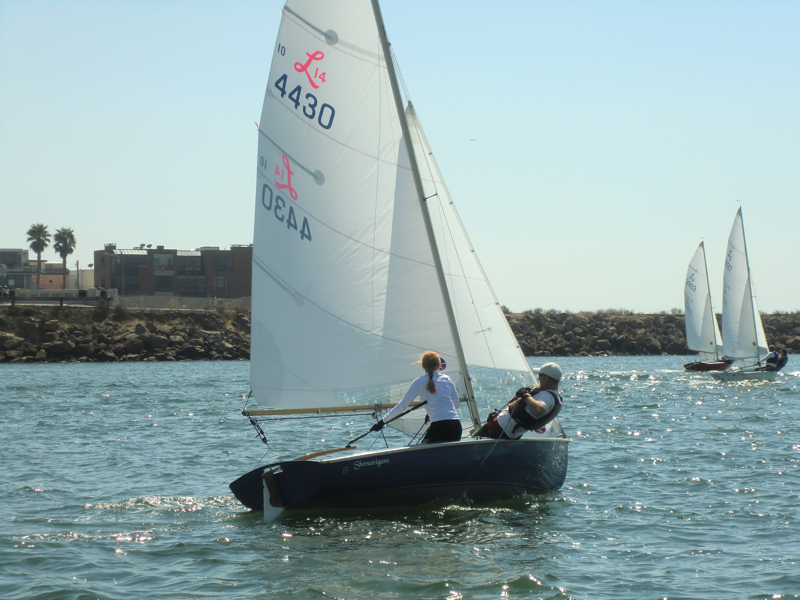 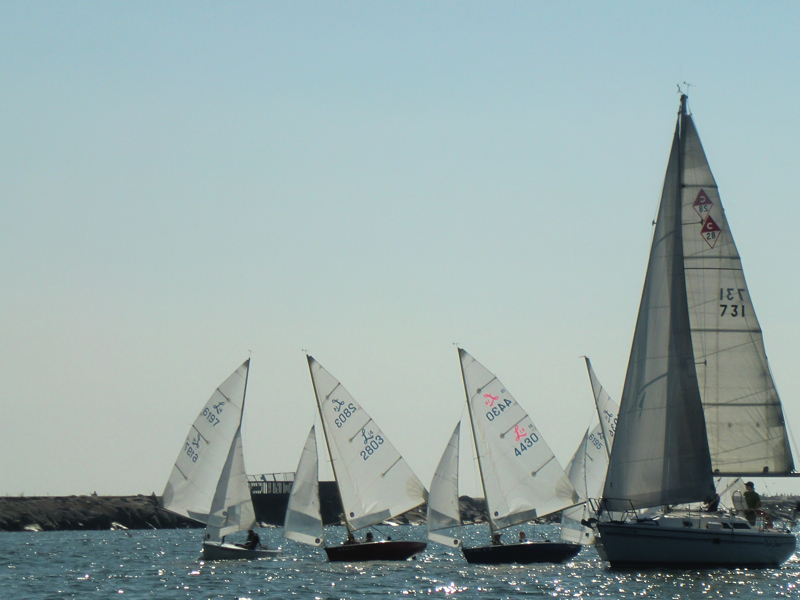 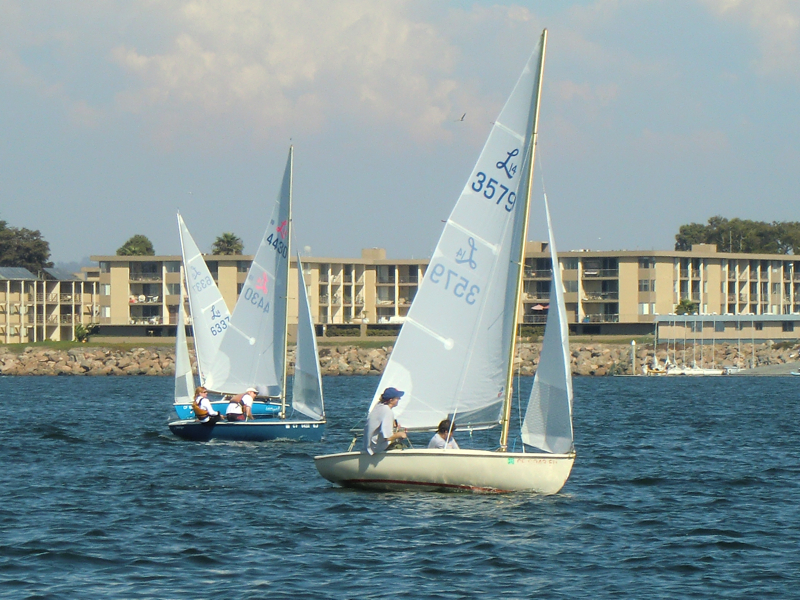 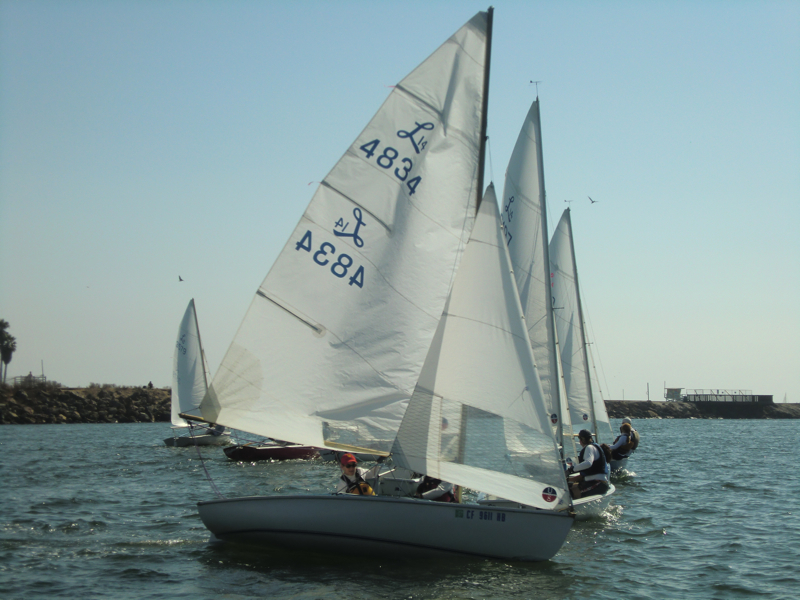 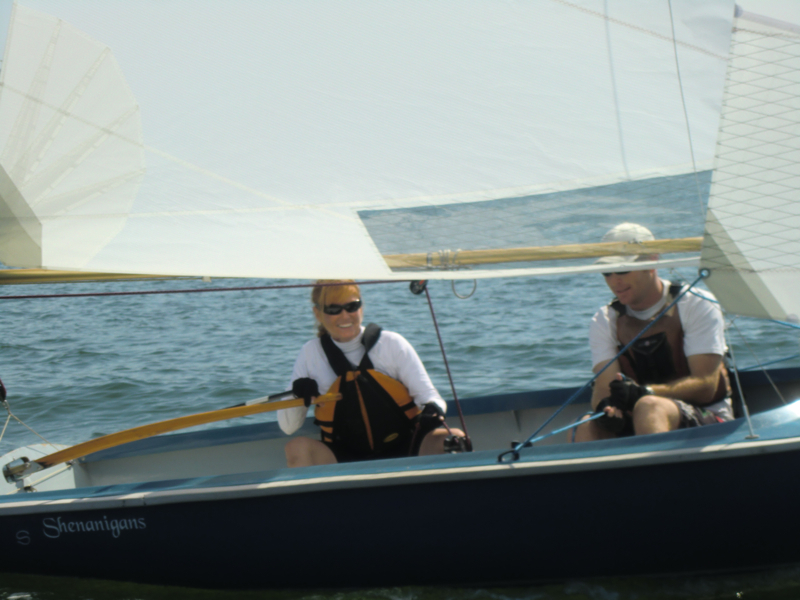 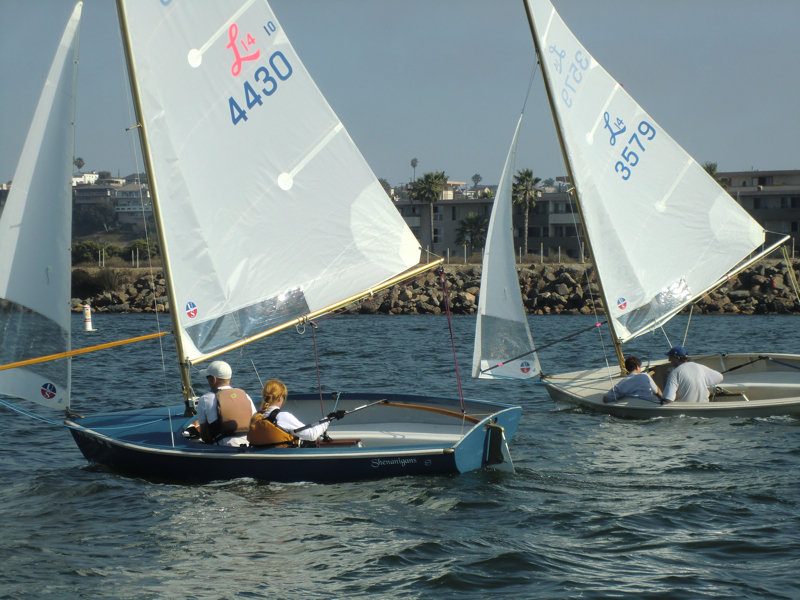 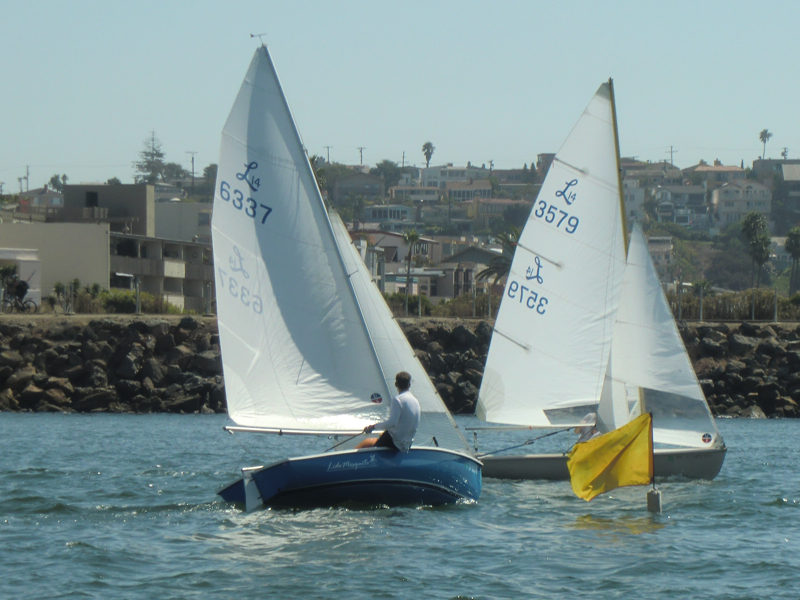 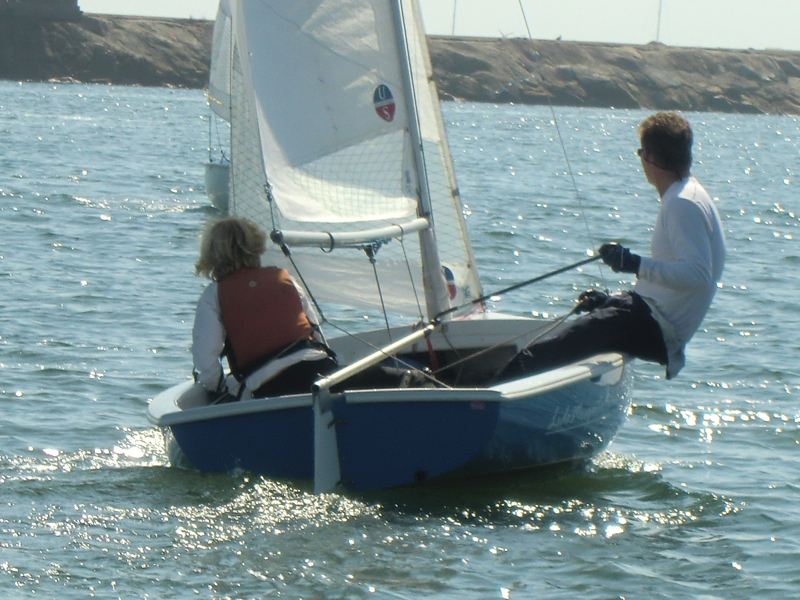 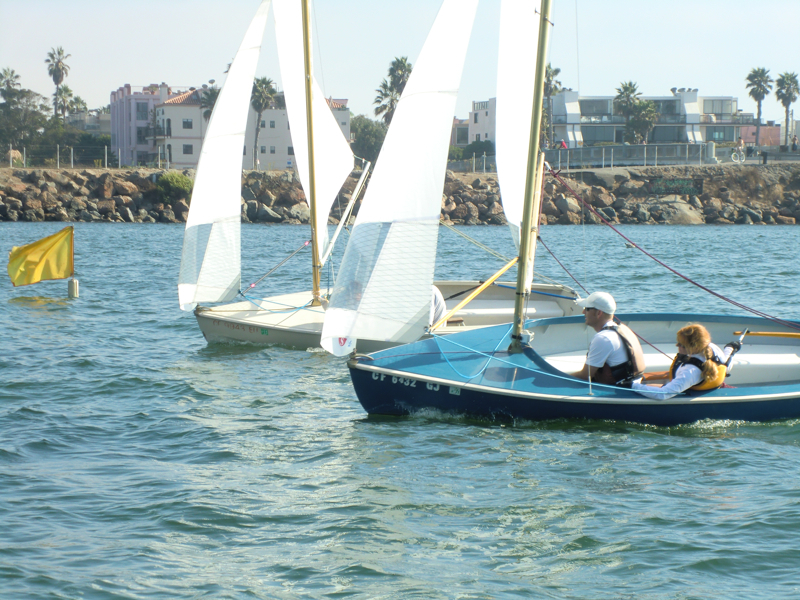 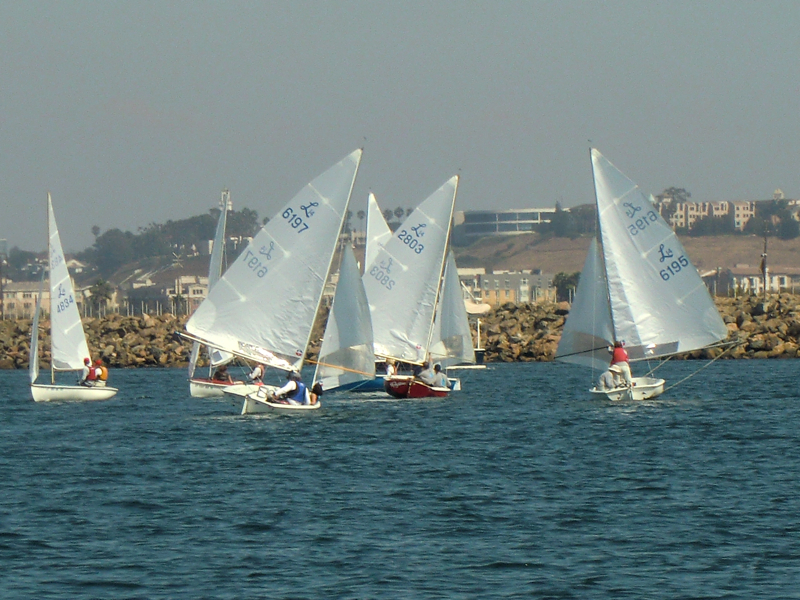 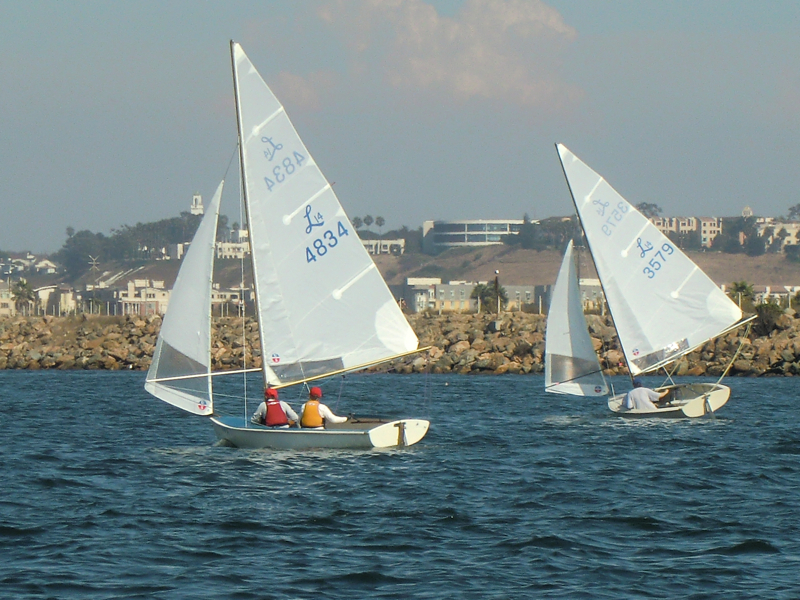 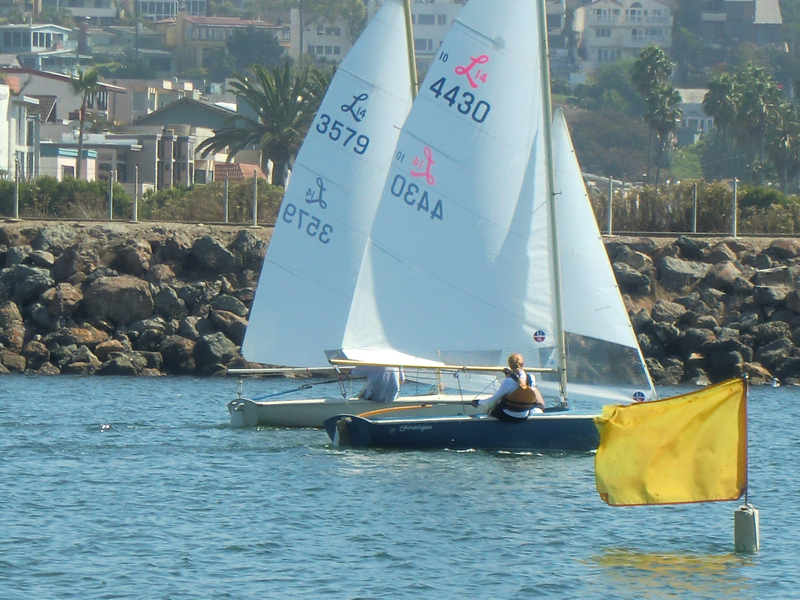 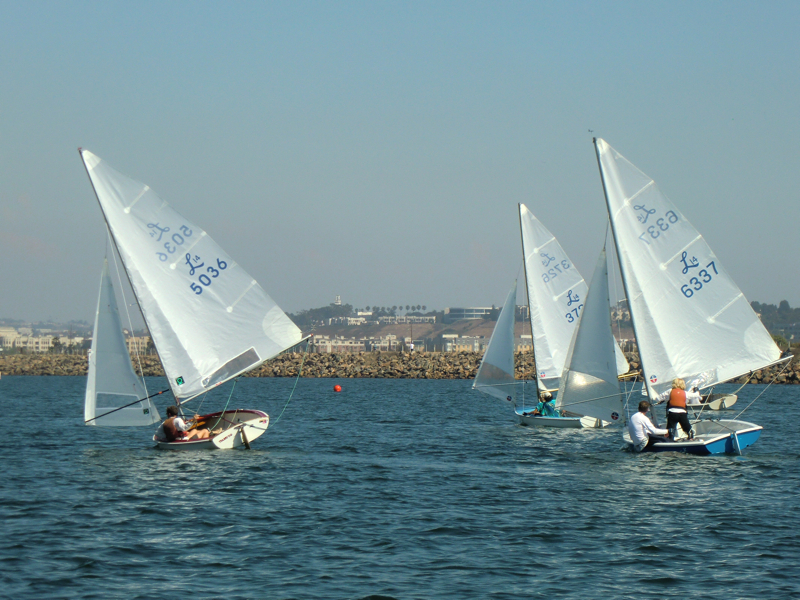 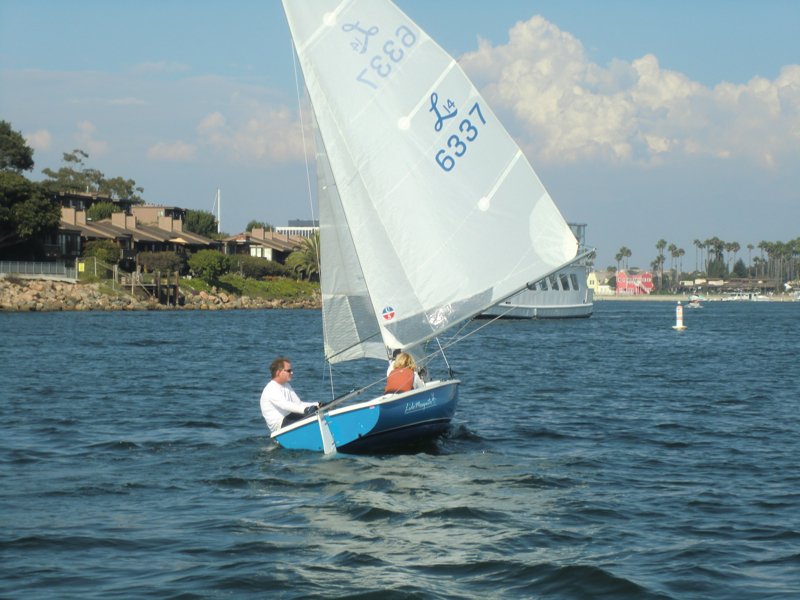 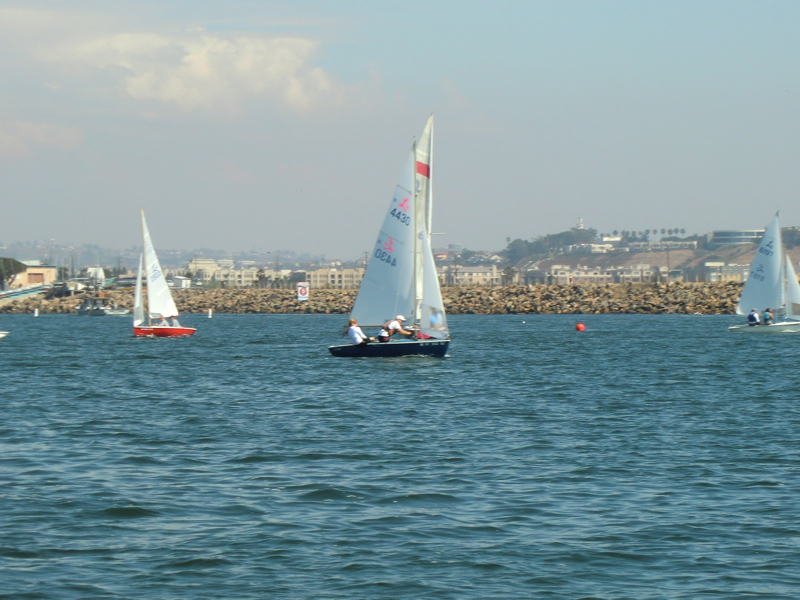 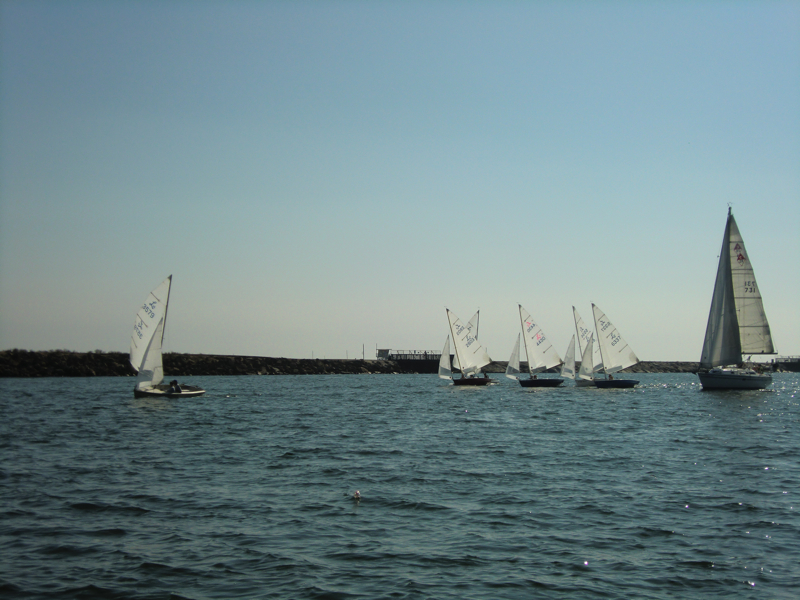 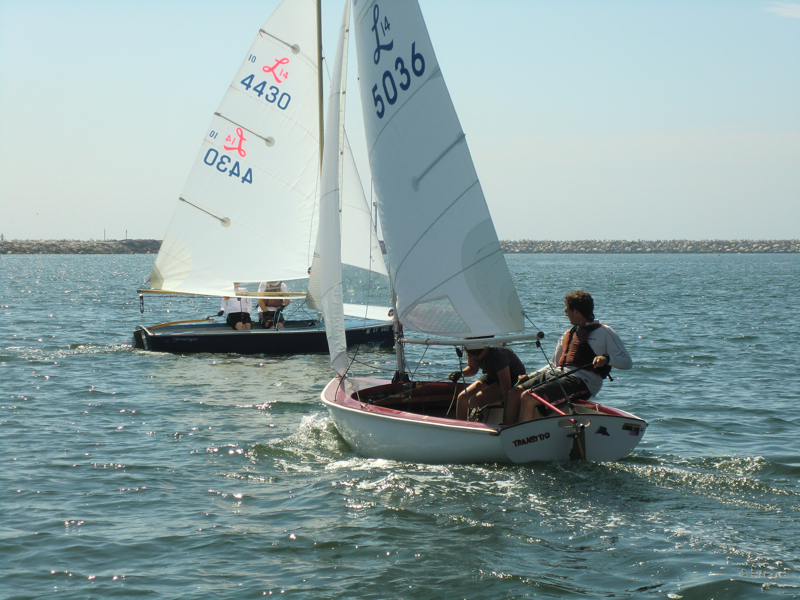 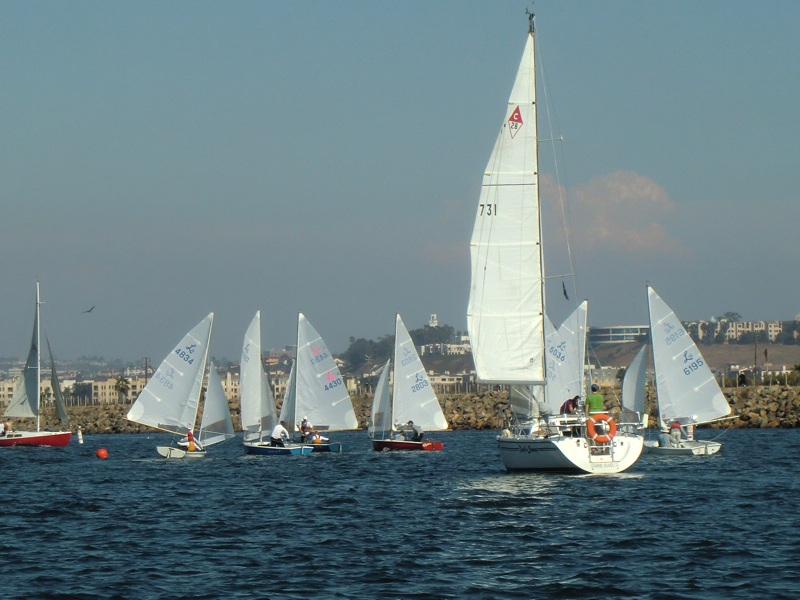 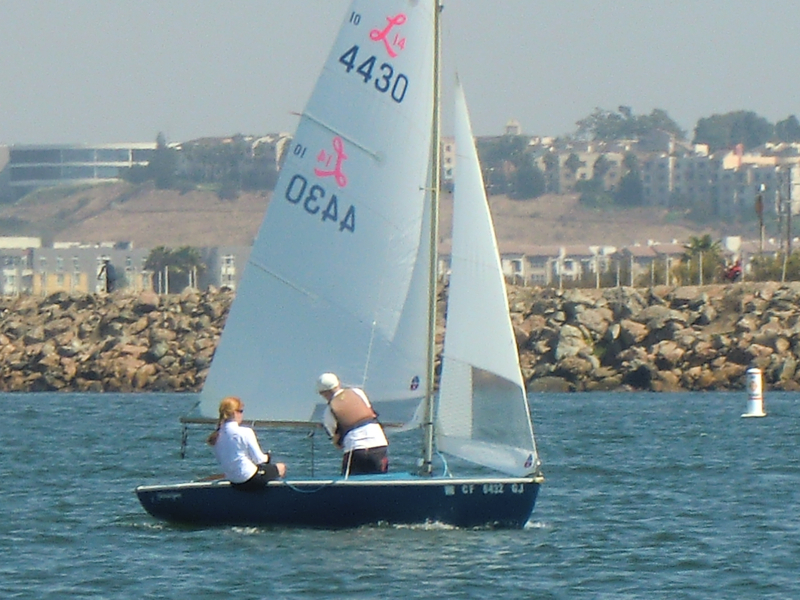 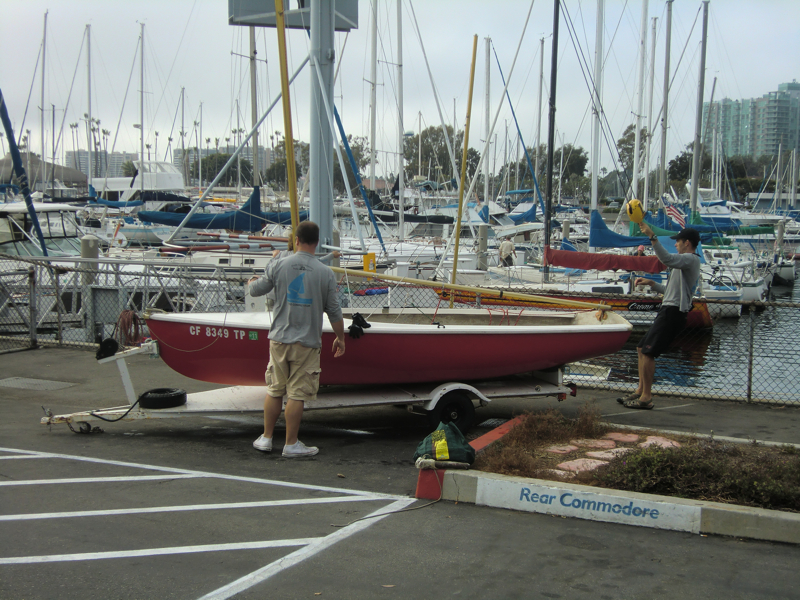 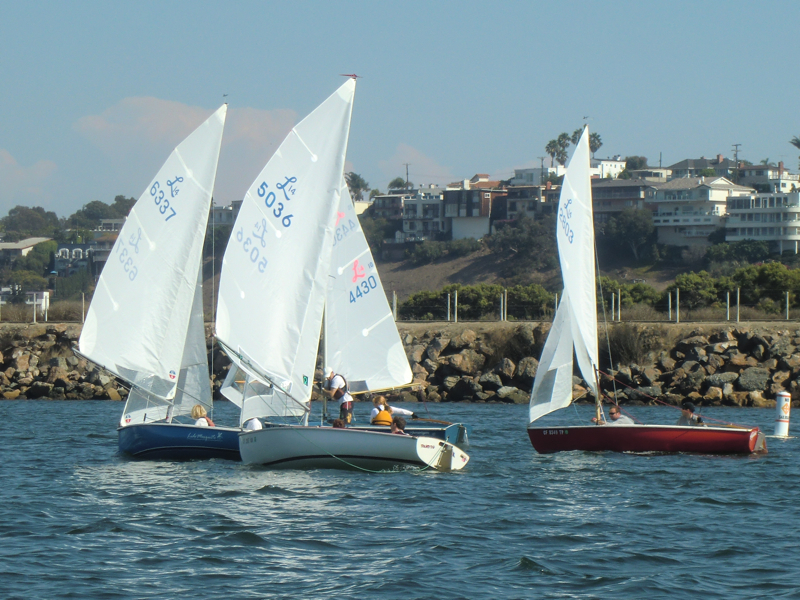 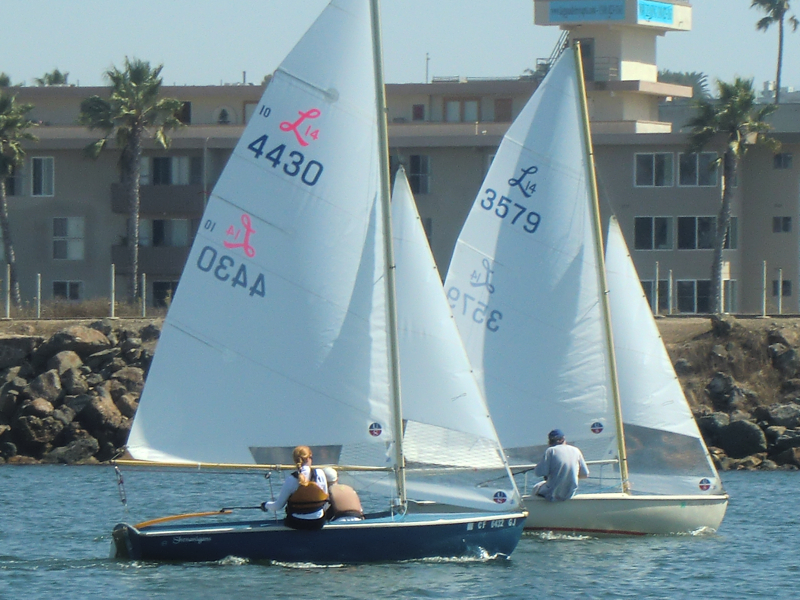 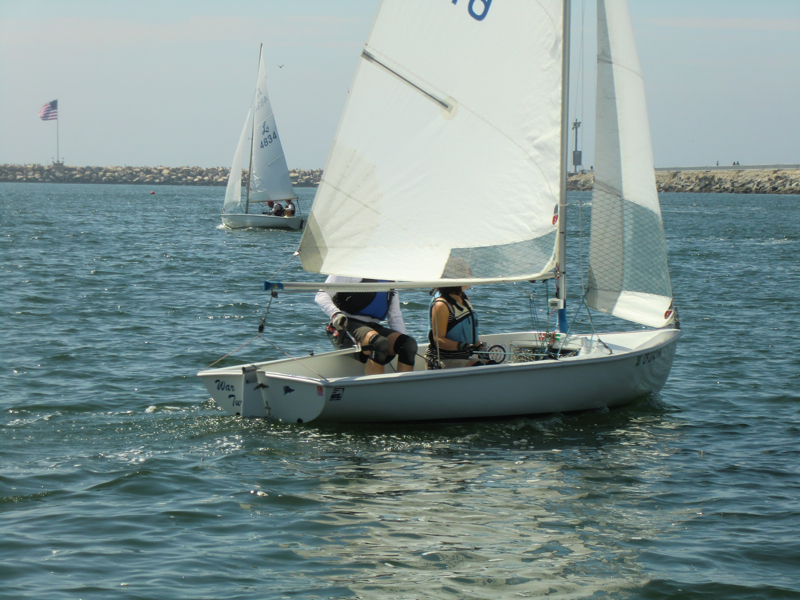 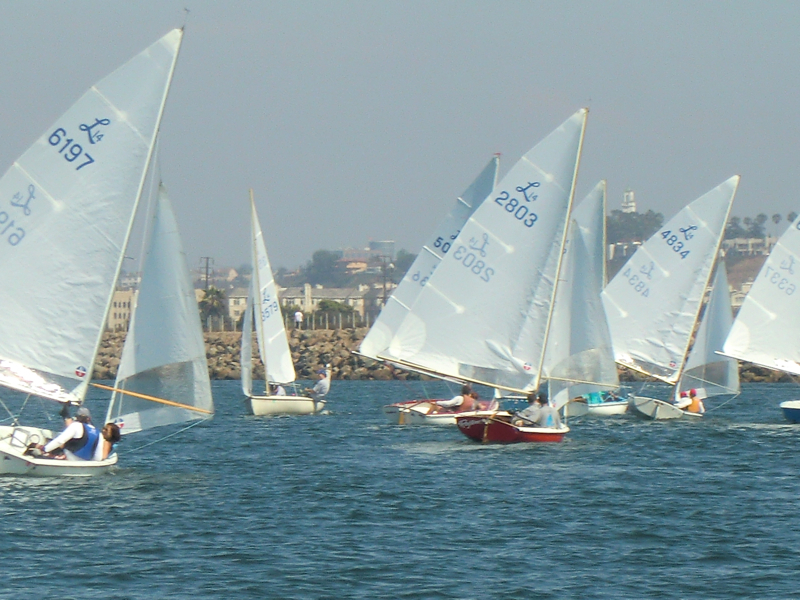 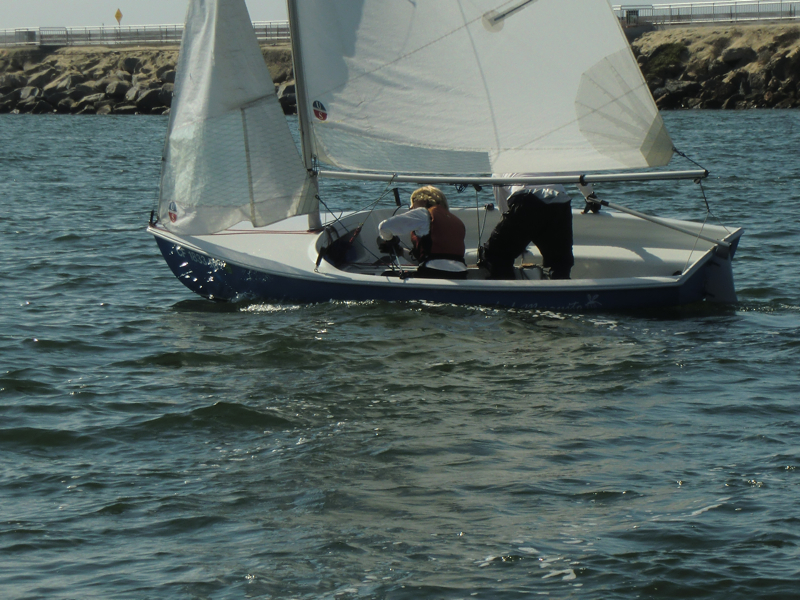 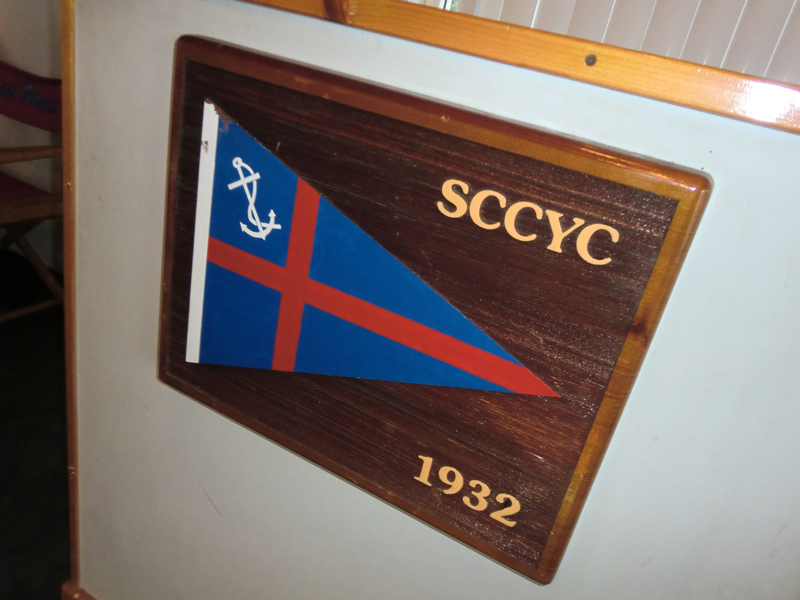 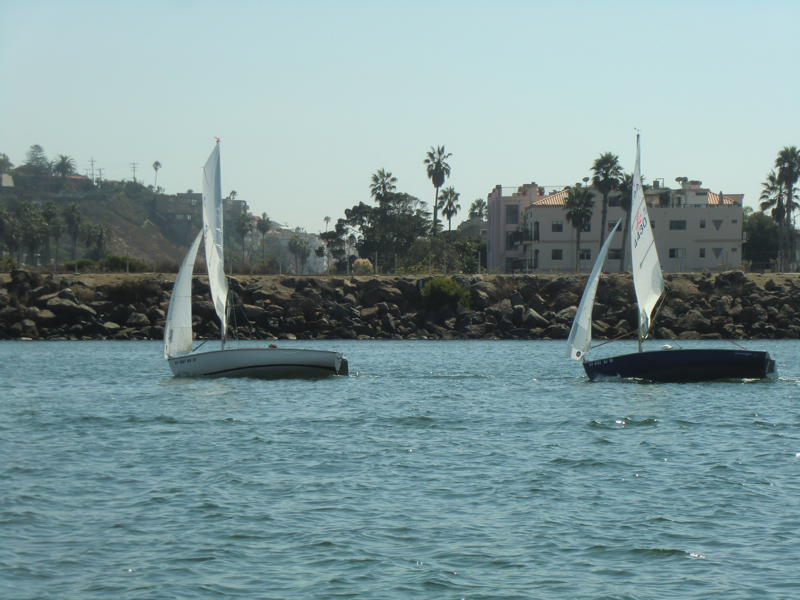 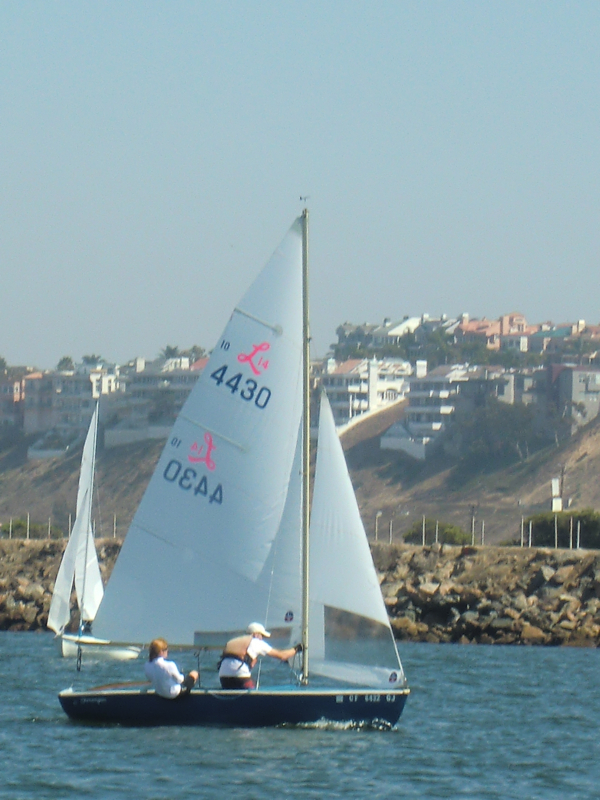 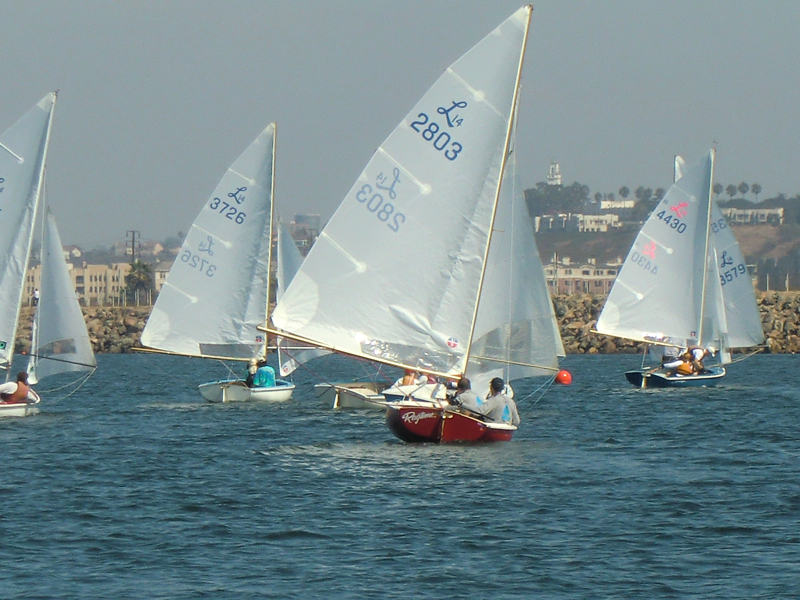 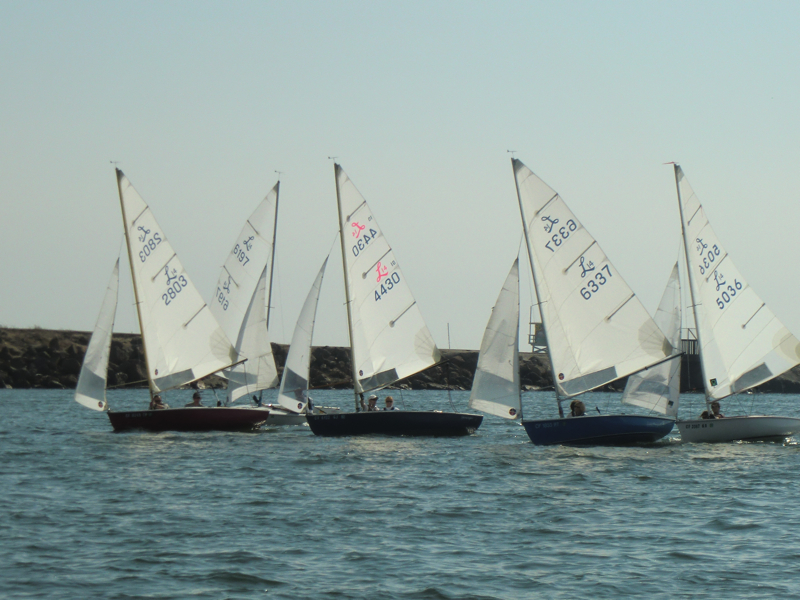 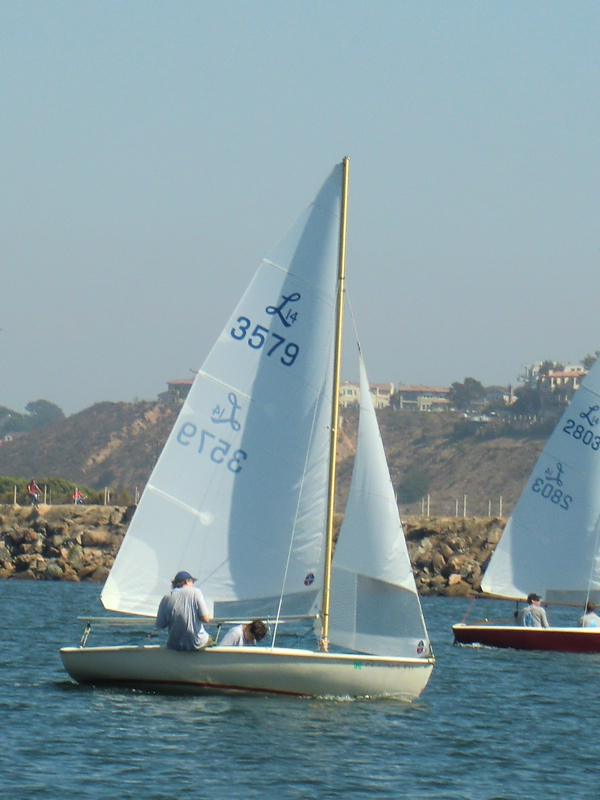 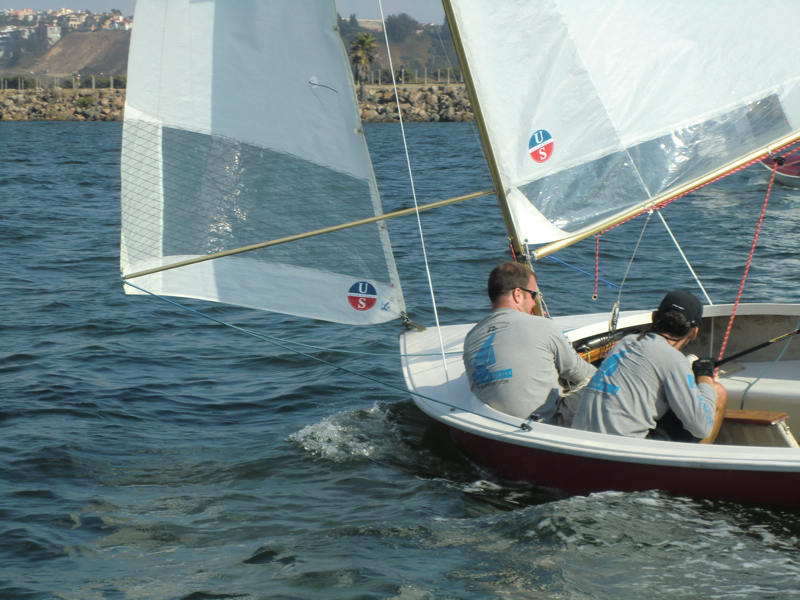 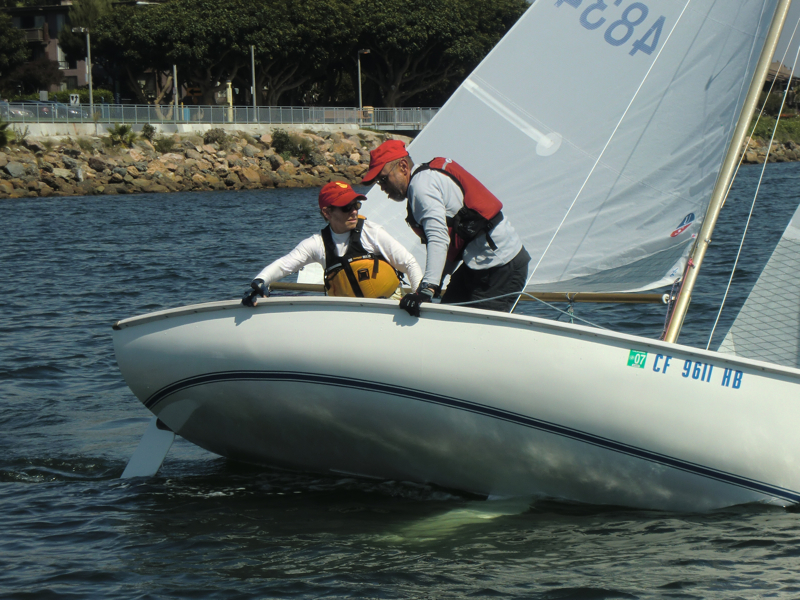 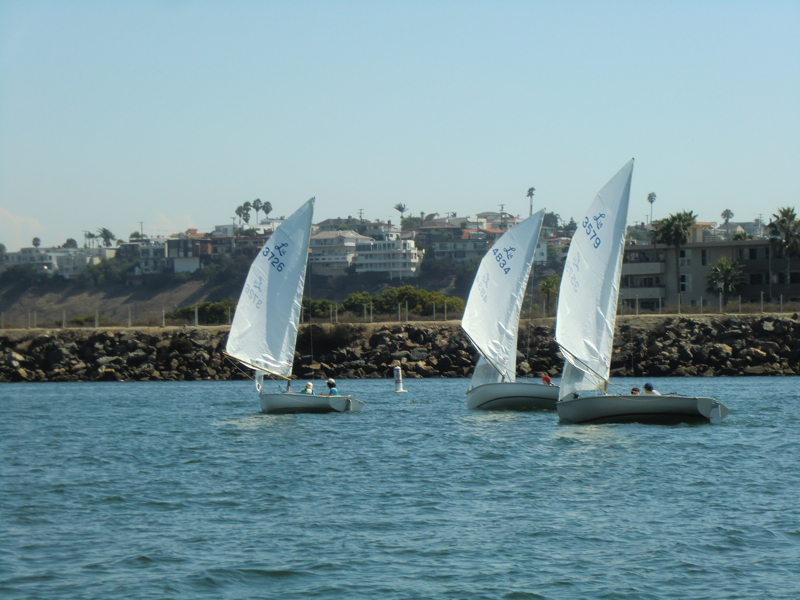 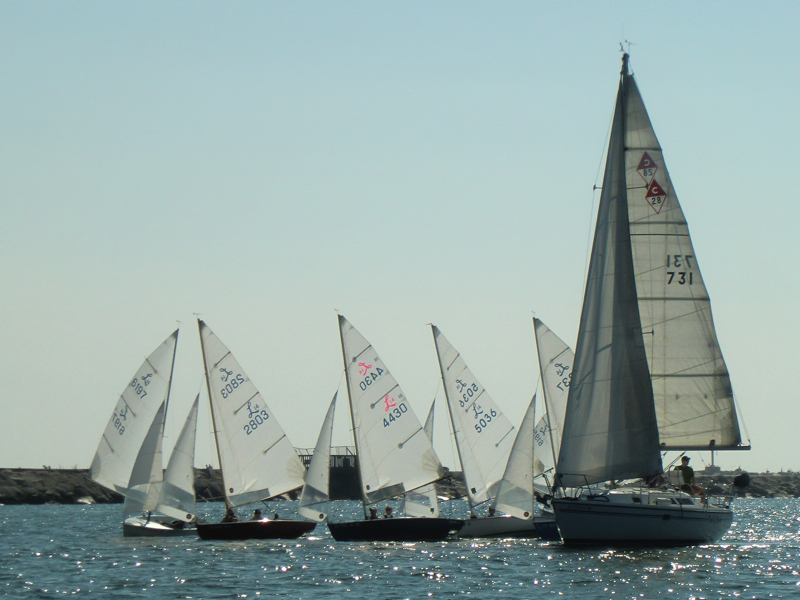 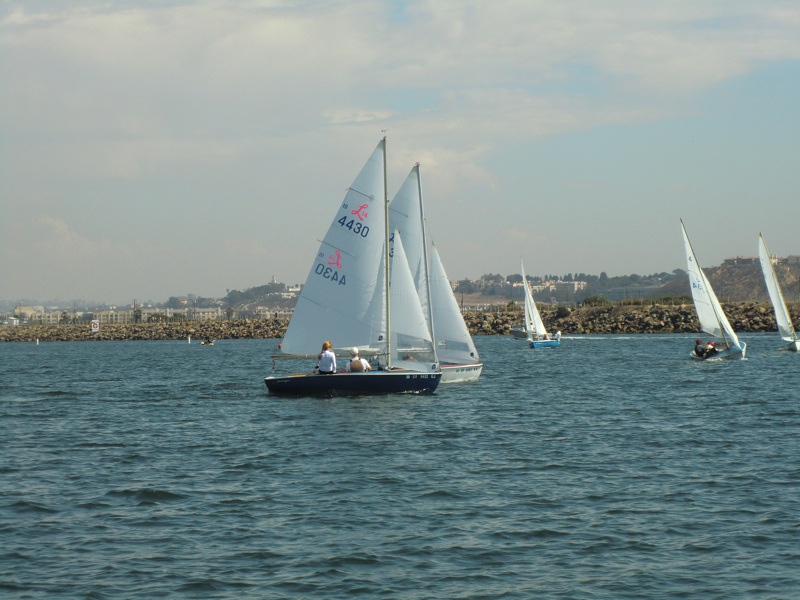 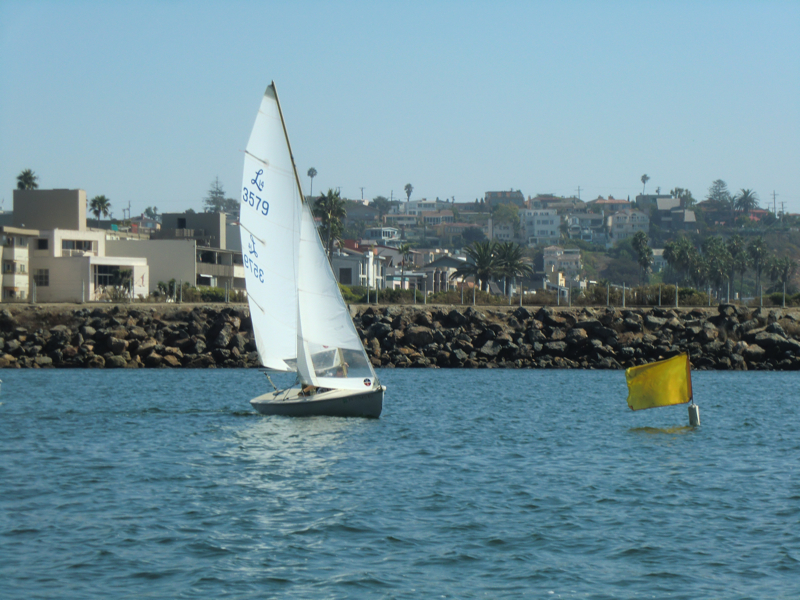 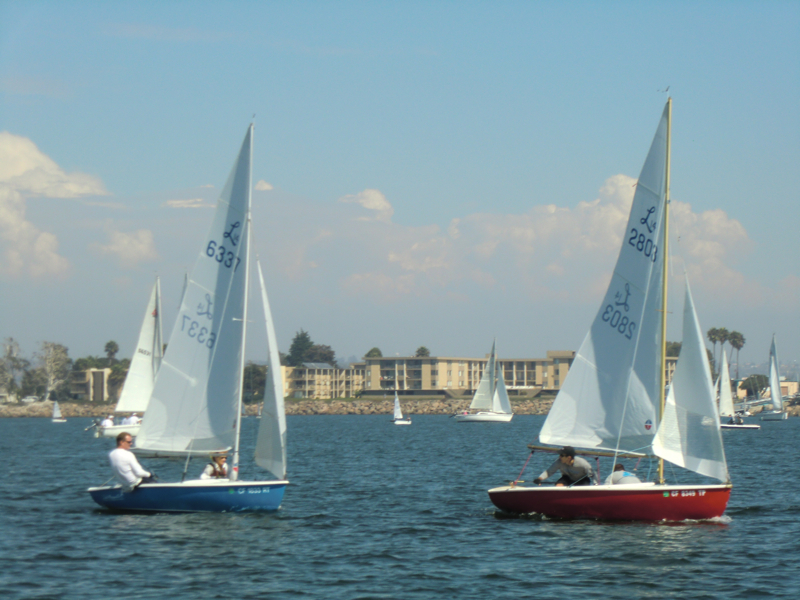 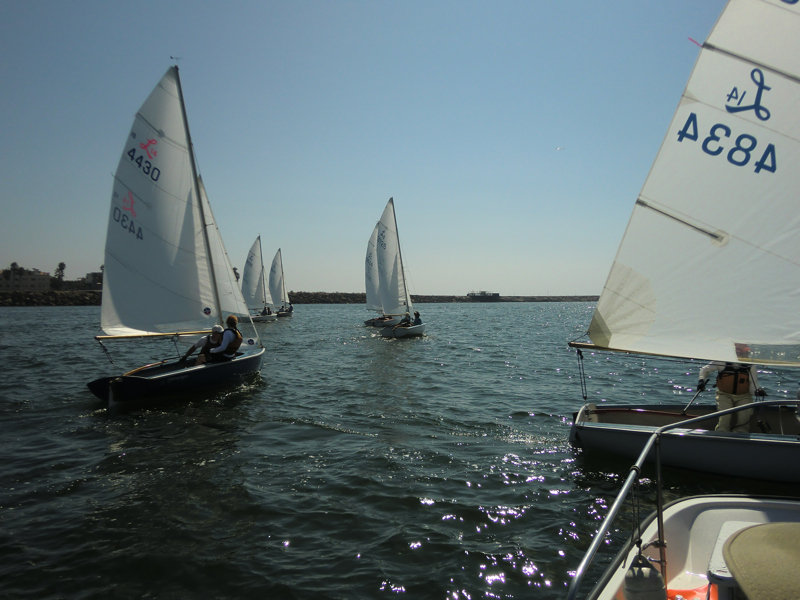 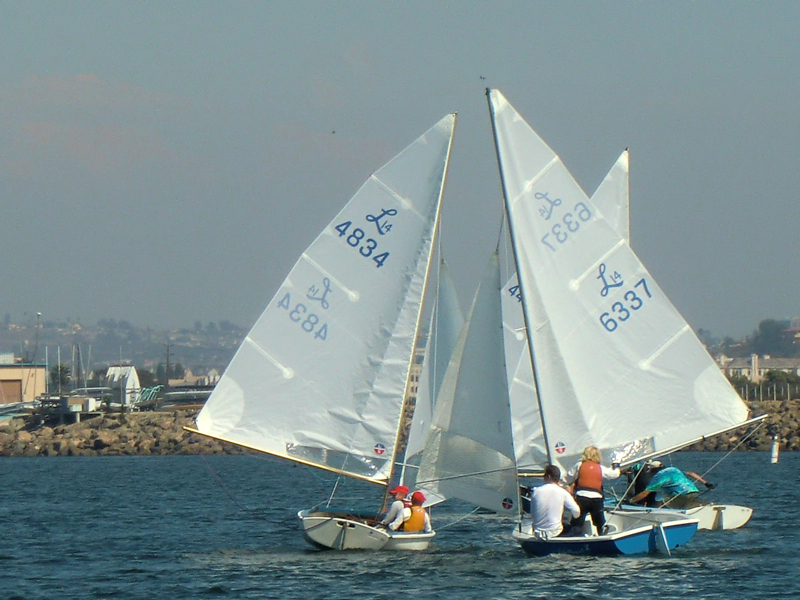 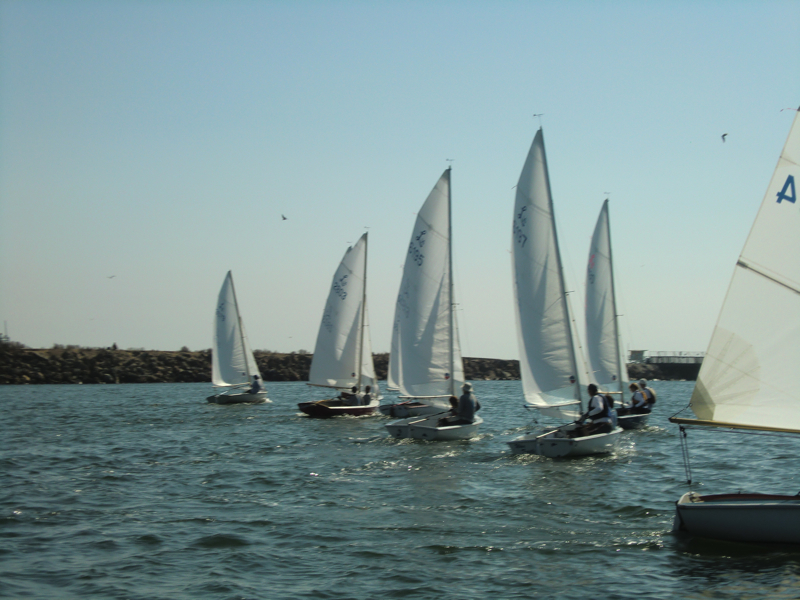 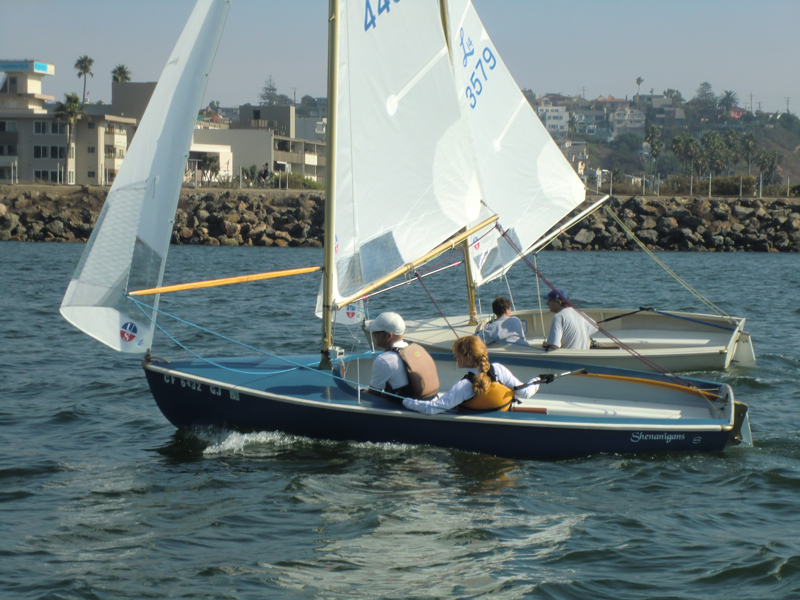 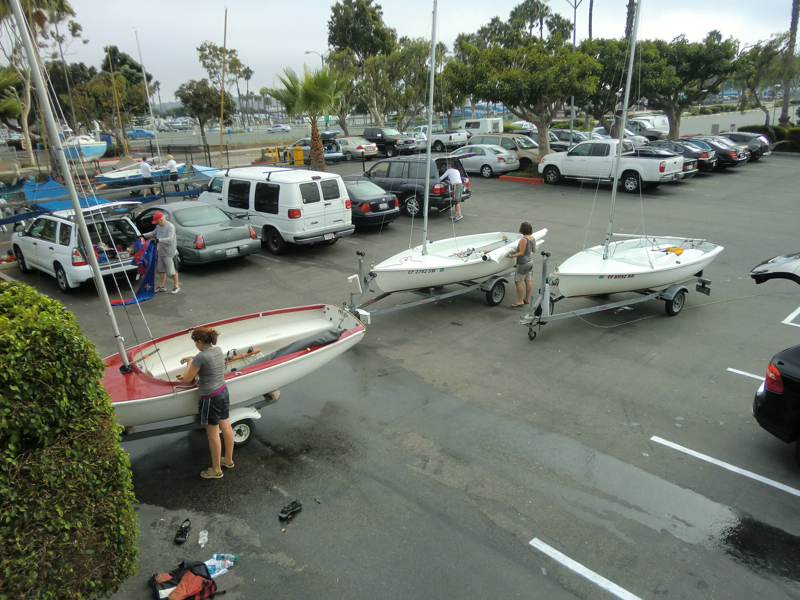 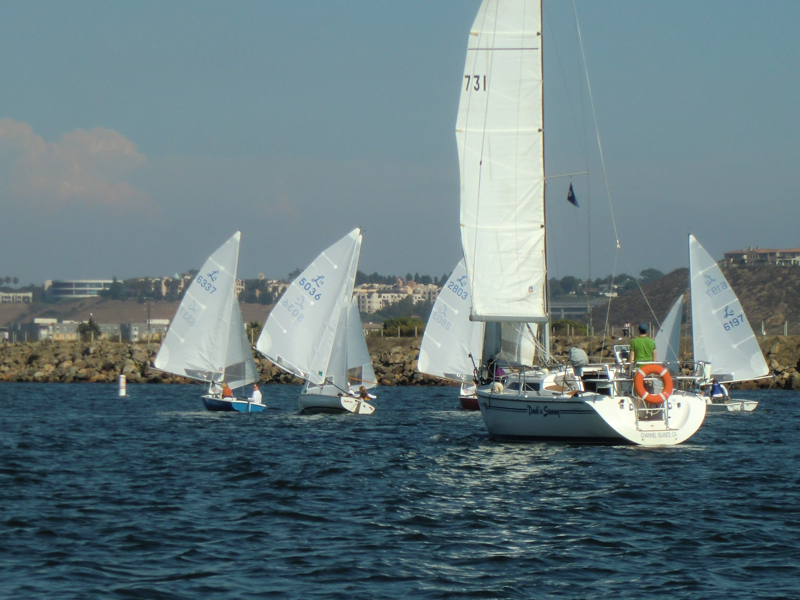 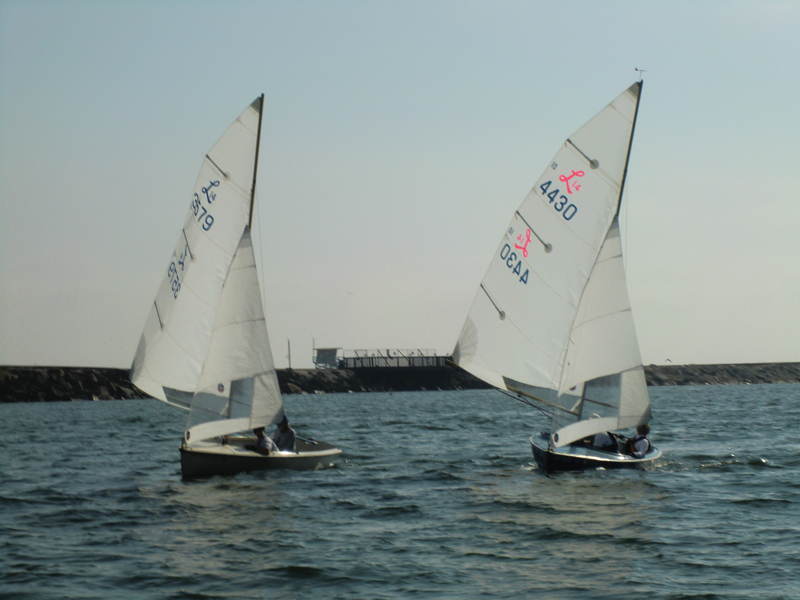 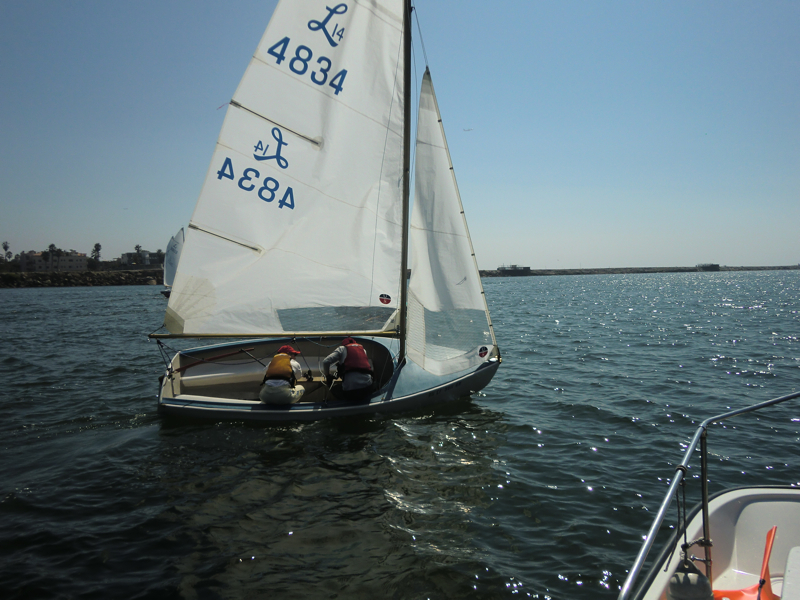 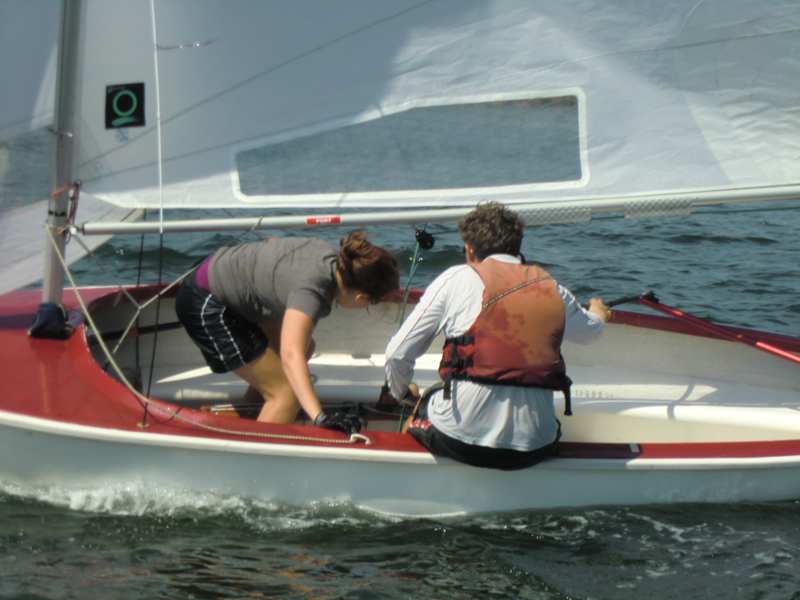 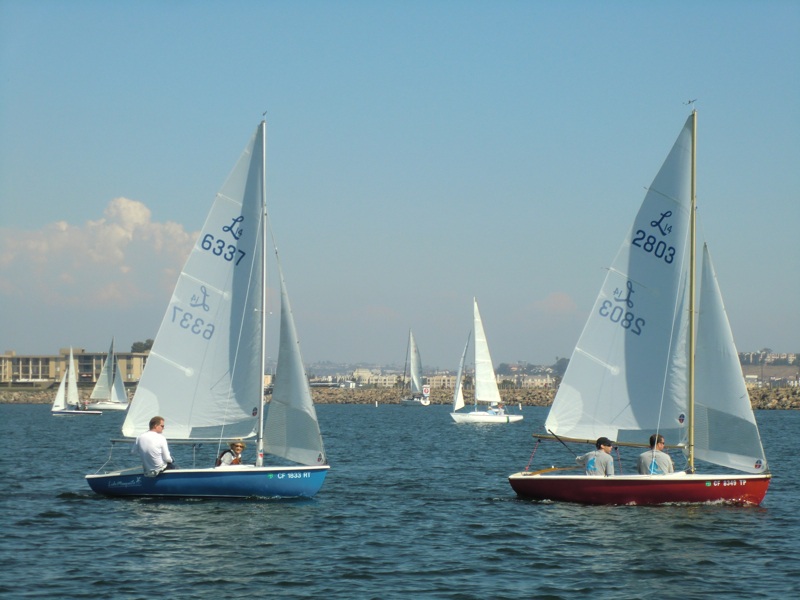 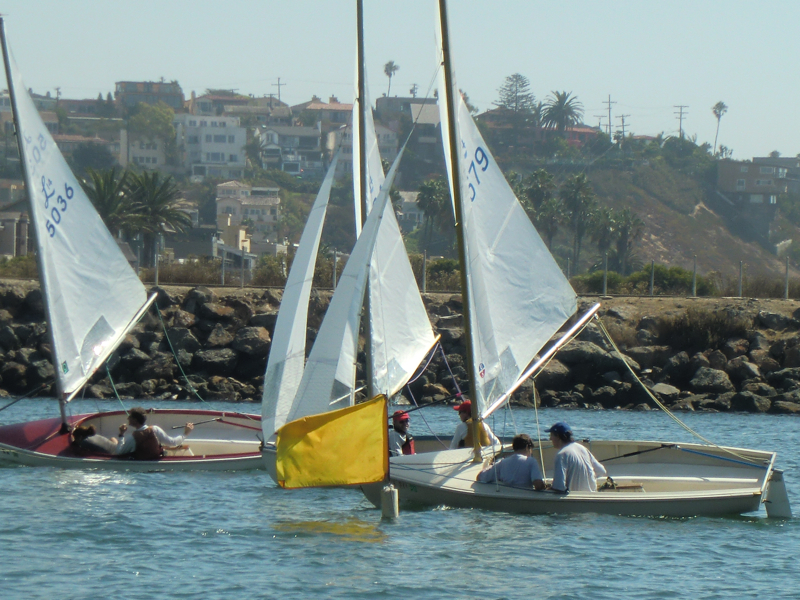 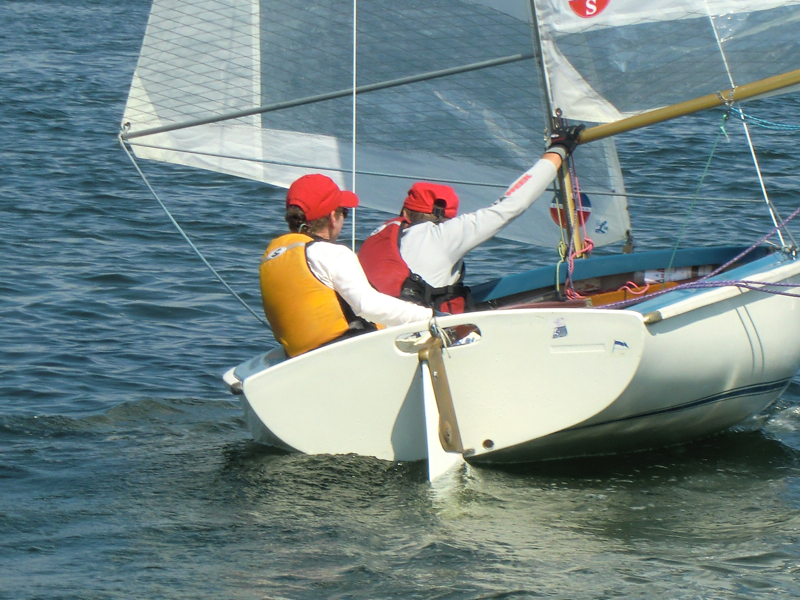 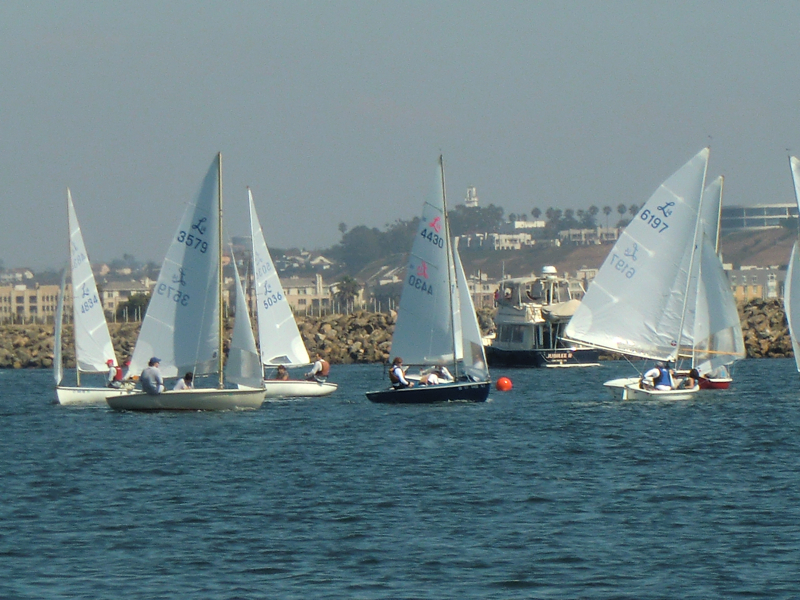 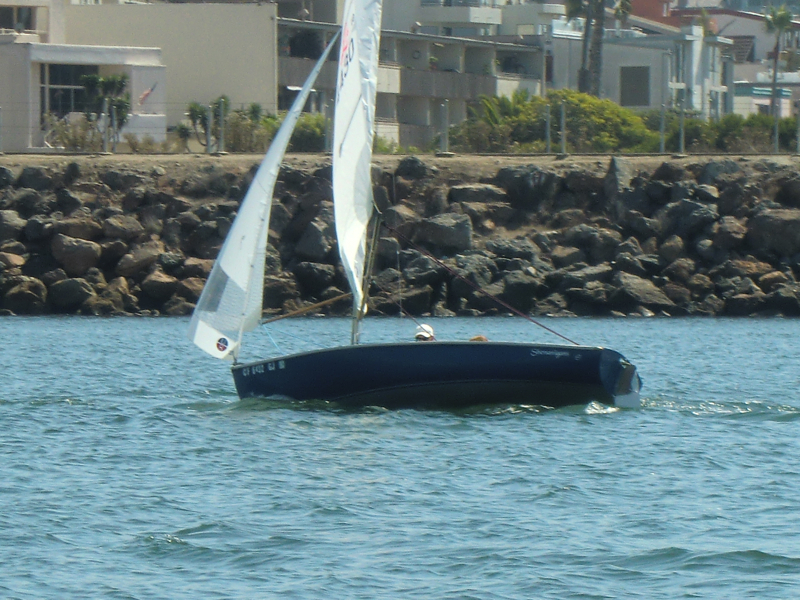 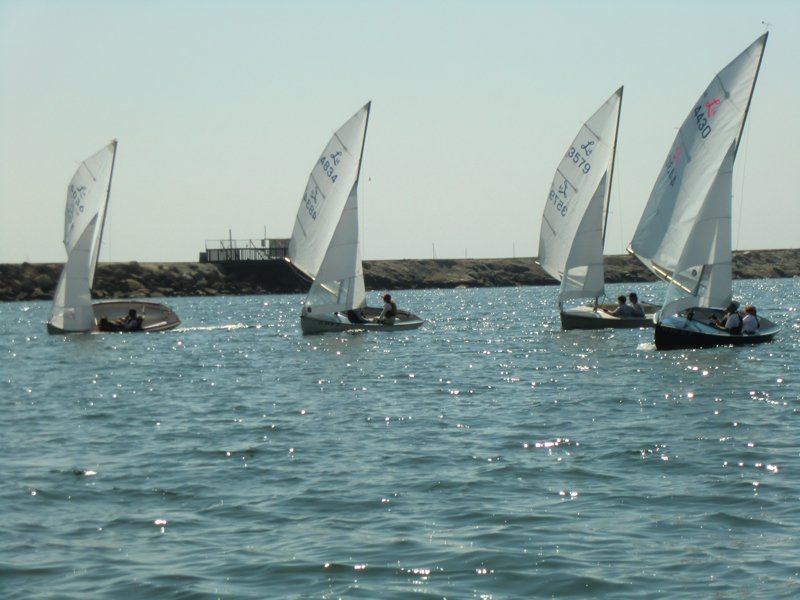 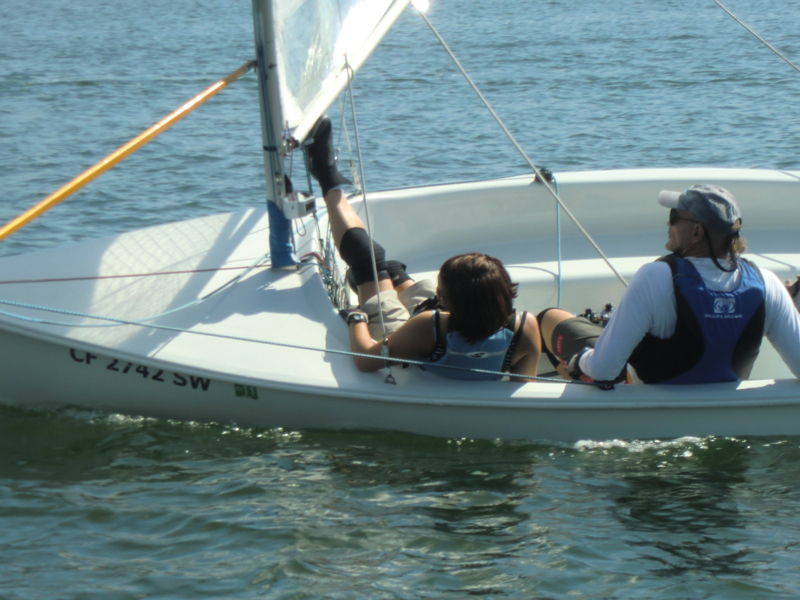 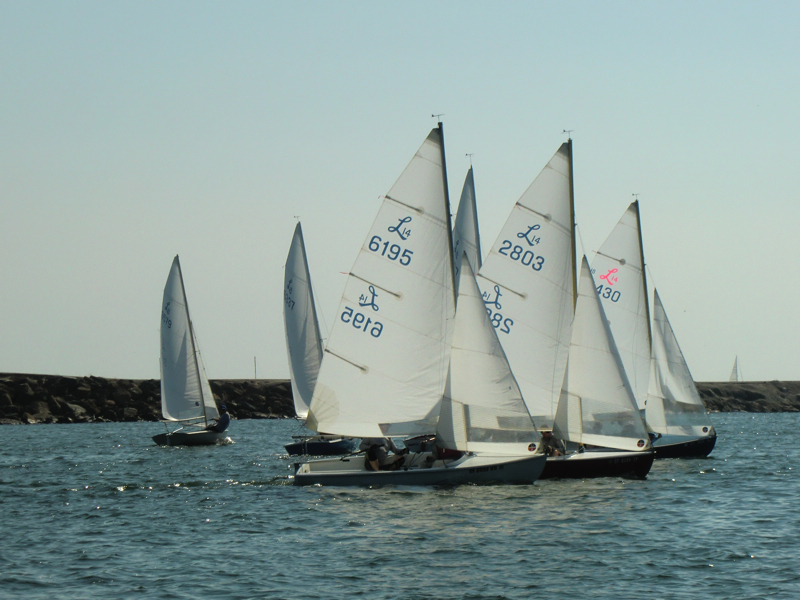 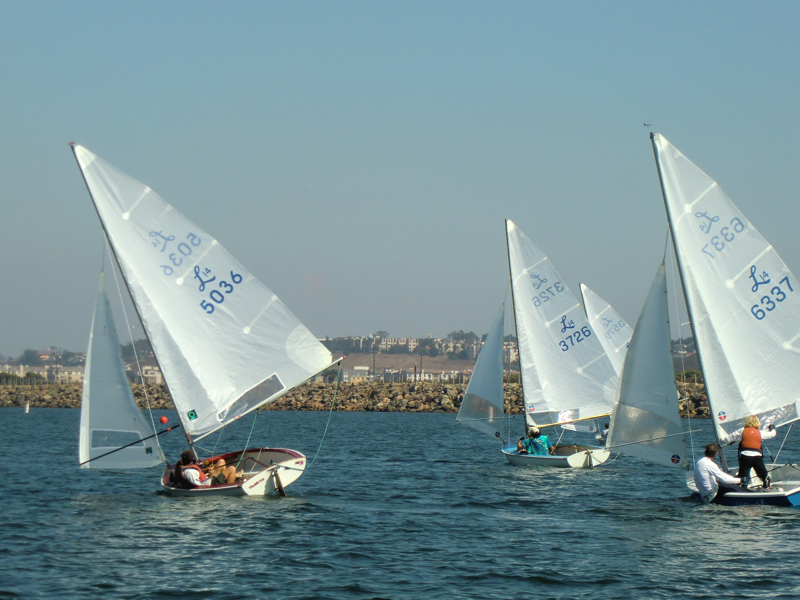 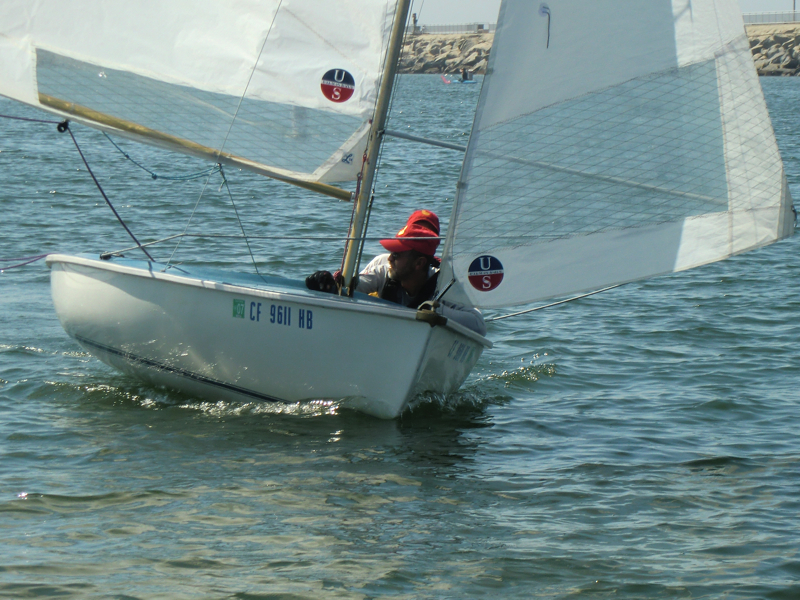 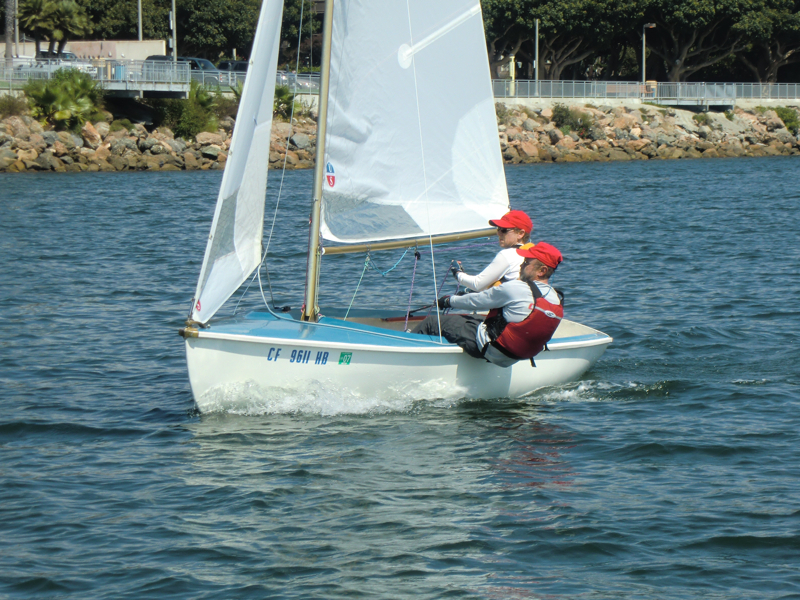 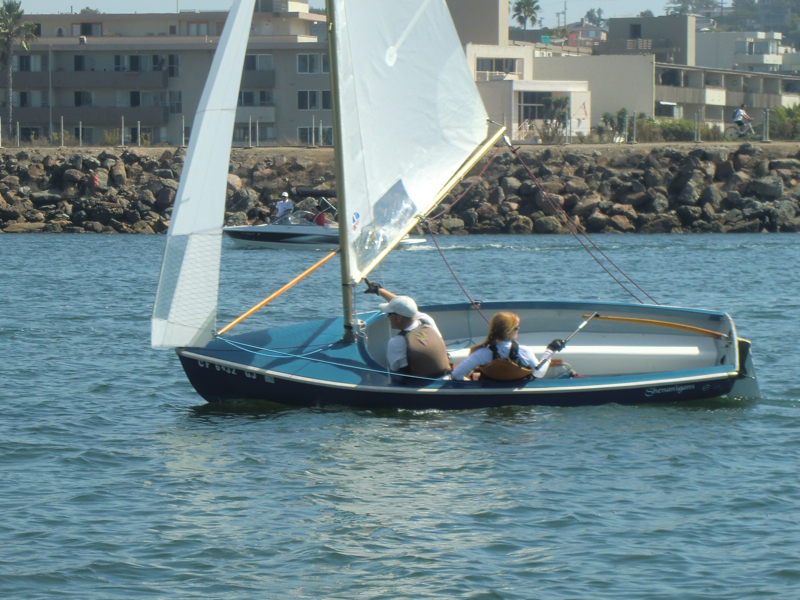 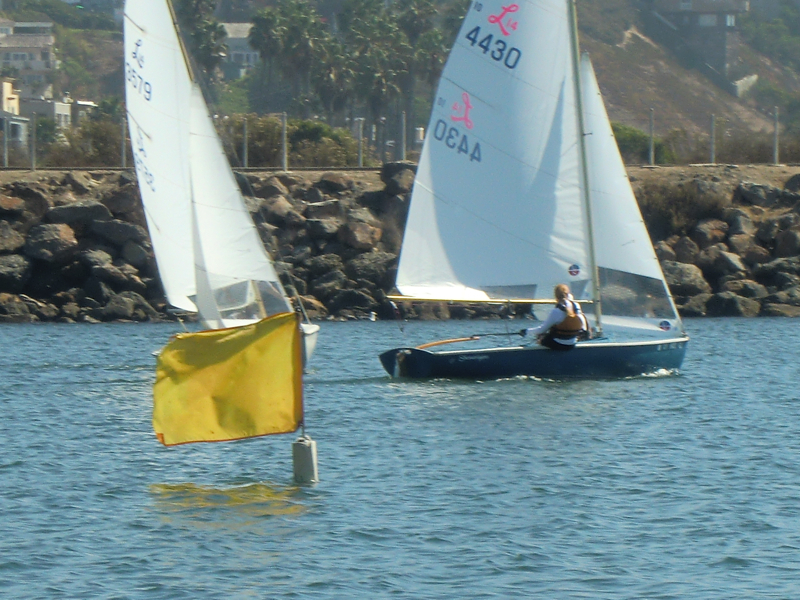 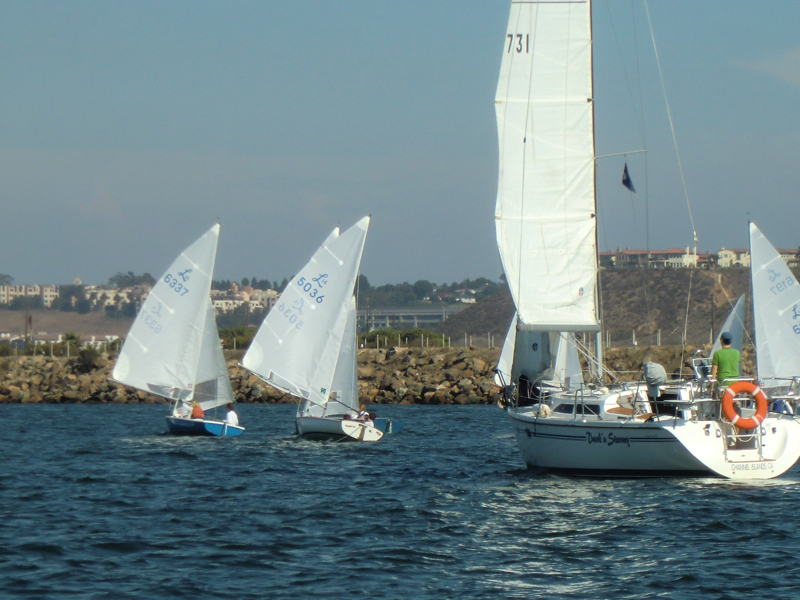 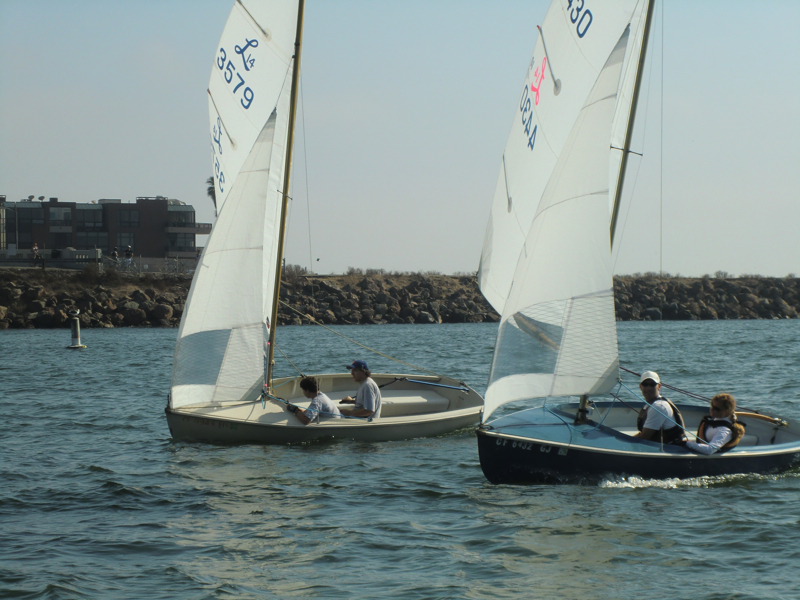 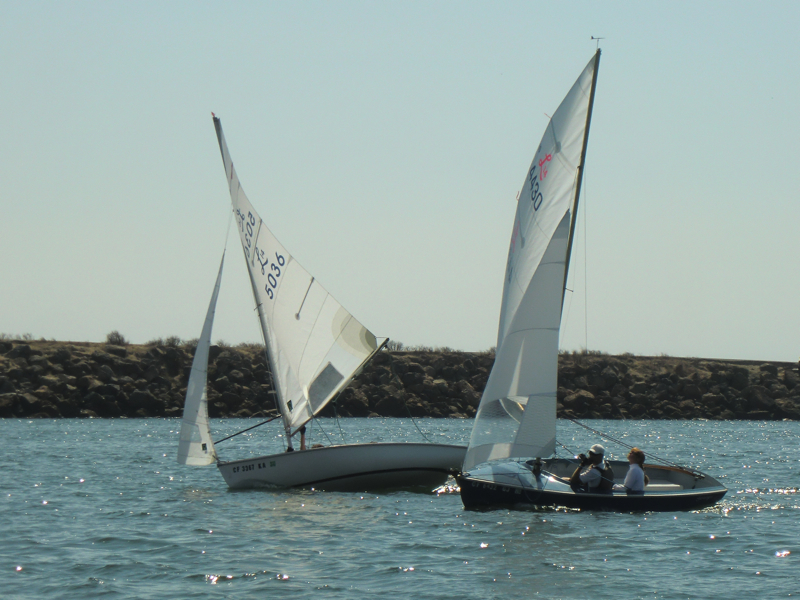 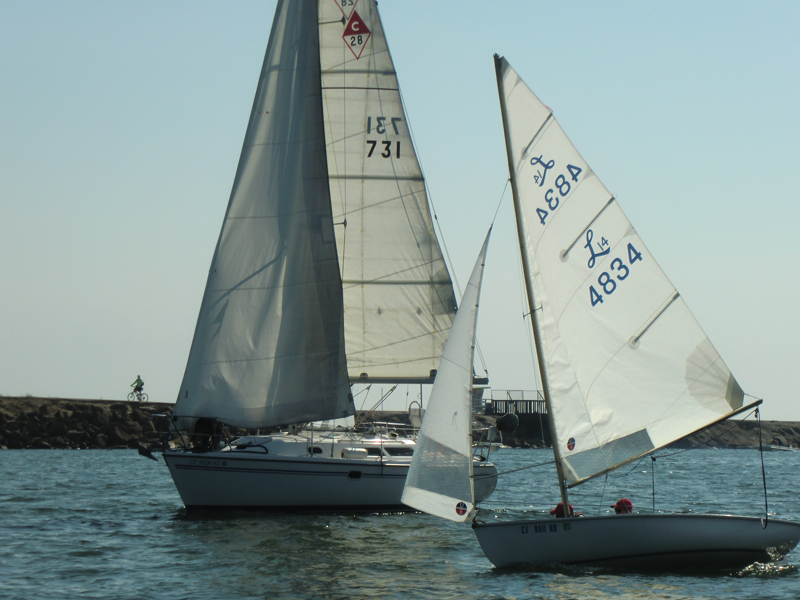 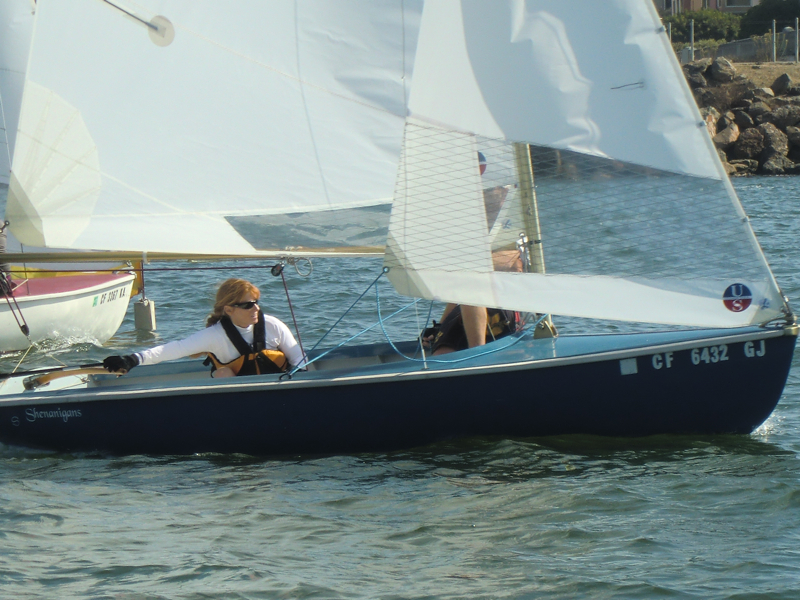 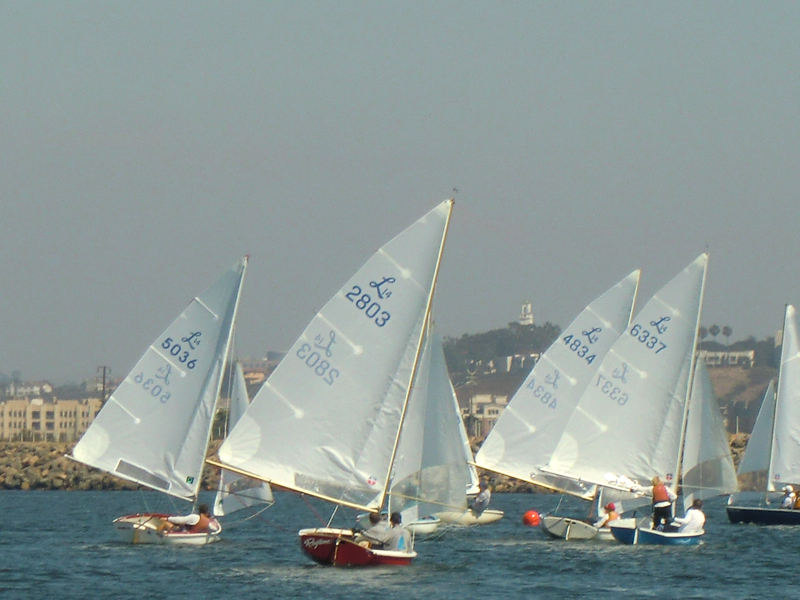 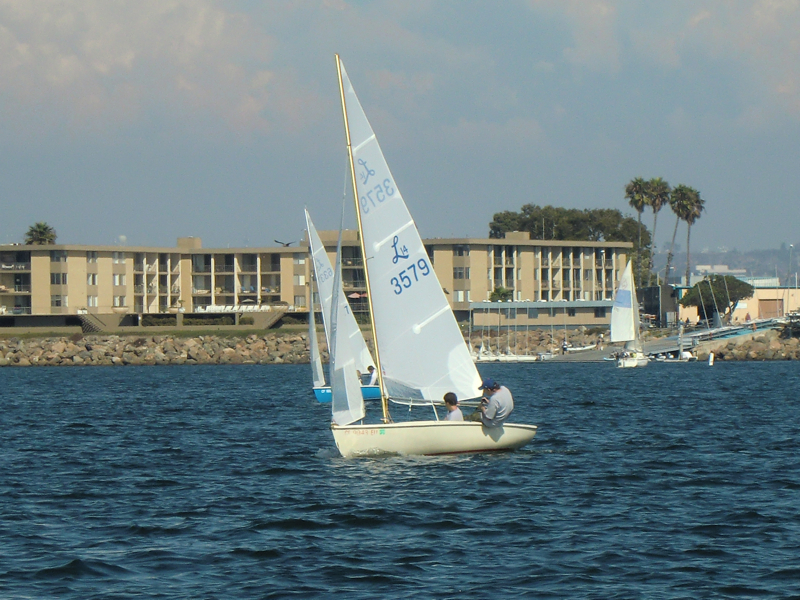 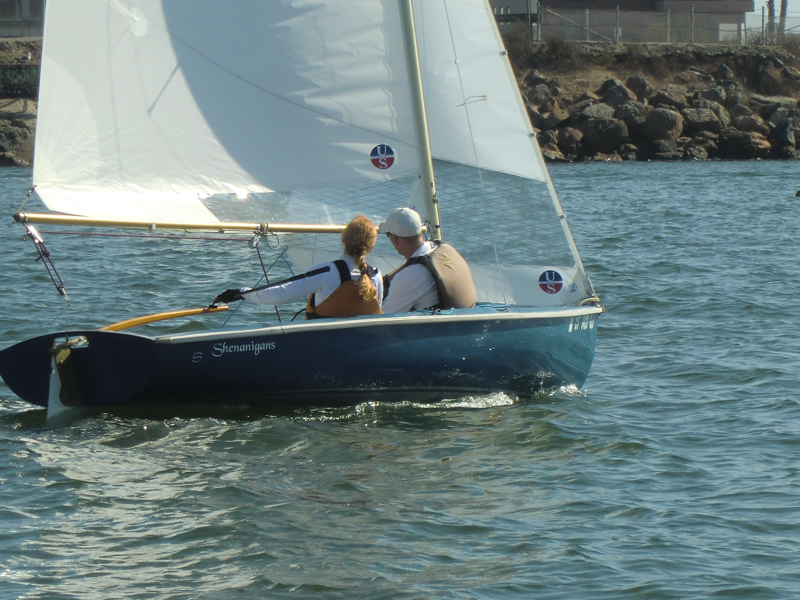 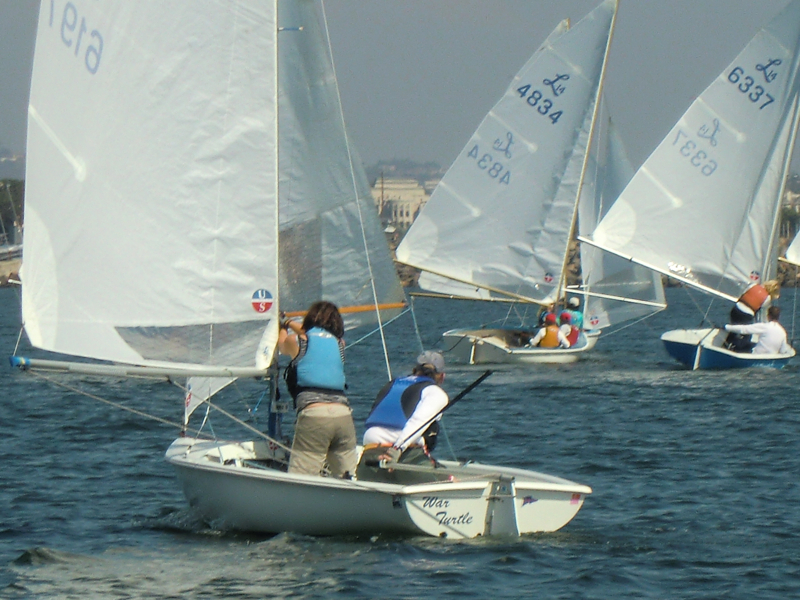 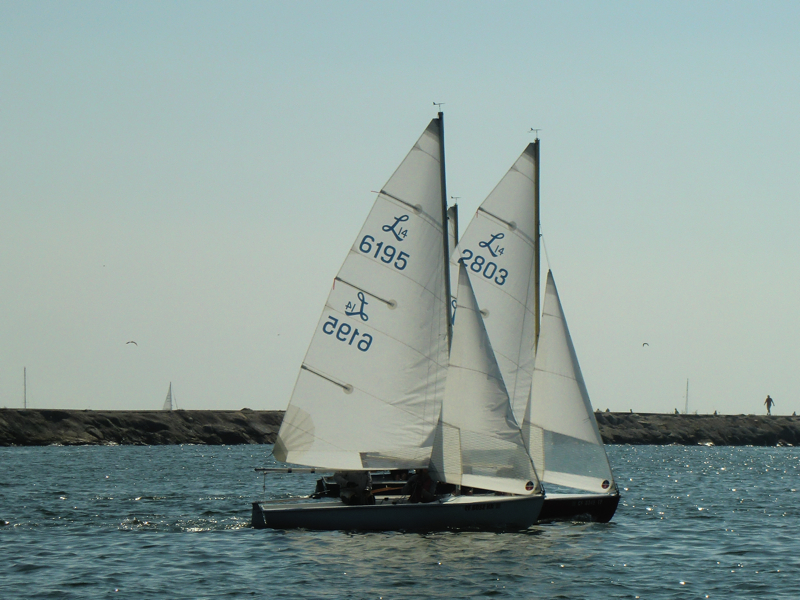 When asked why she was sailing so well, she tried to use the excuse that it was her brand new sails with their pink Lido 14 insignia but, in truth, once Tracey and Barrett got past their occasional mistakes (an OCS in one race and a late start in another, for example), they were simply calm, smart, and fast. 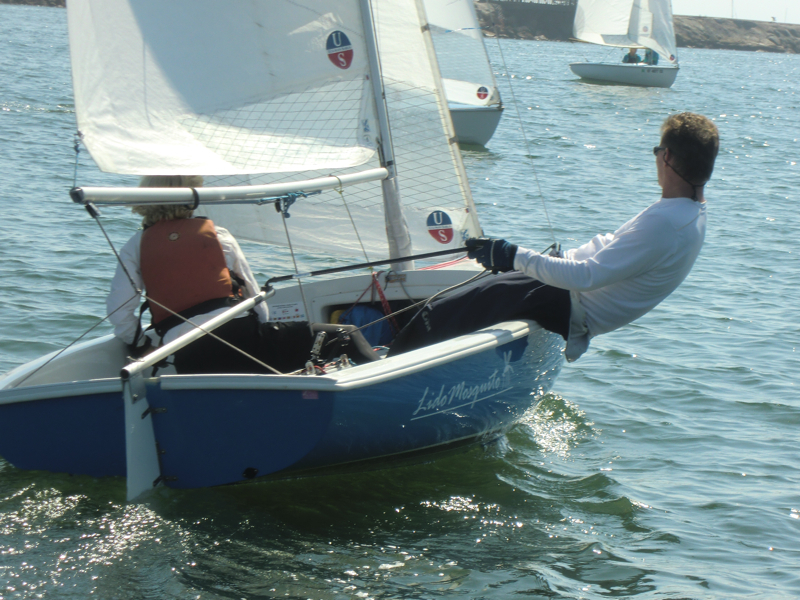 If you take a look at the gallery of photos below, you just might see a relaxed and happy boat that just couldn't be denied. 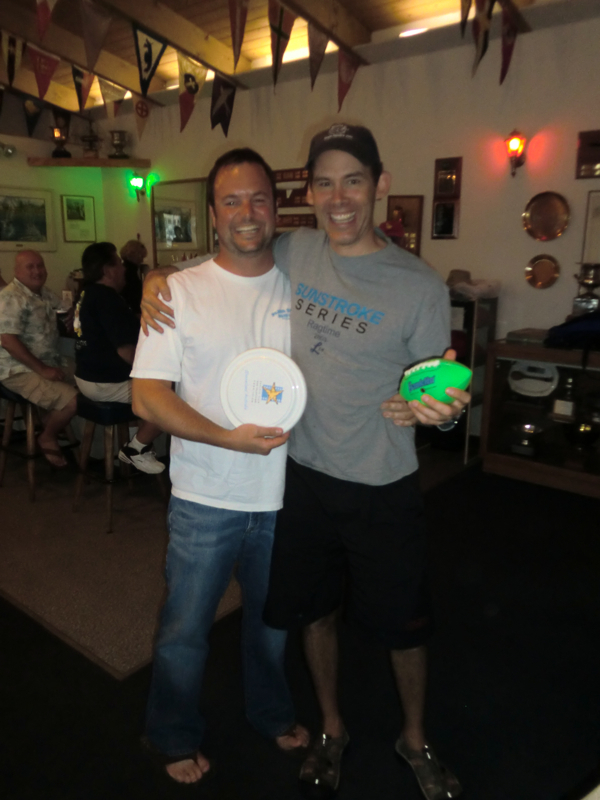 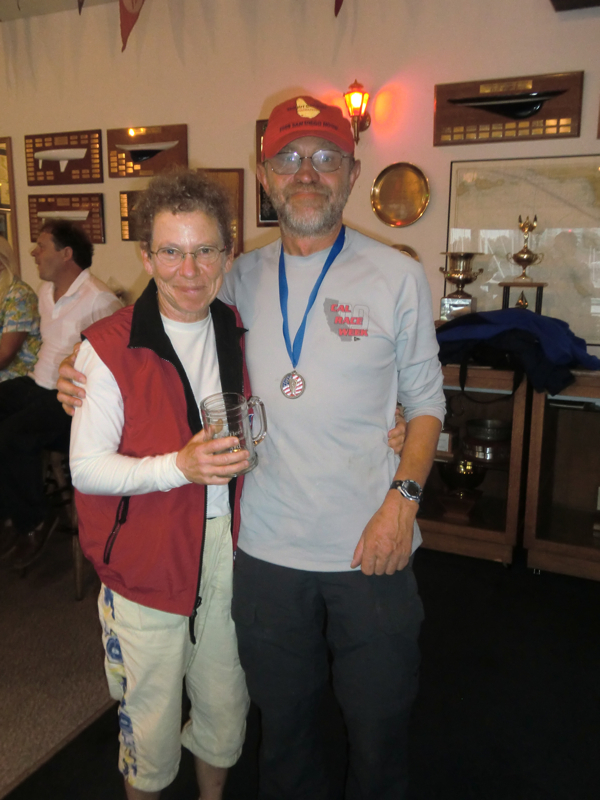 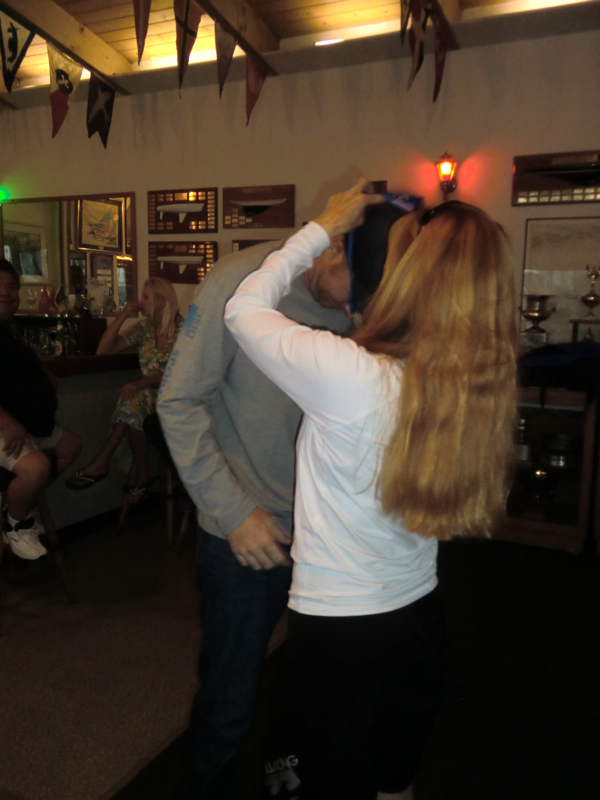 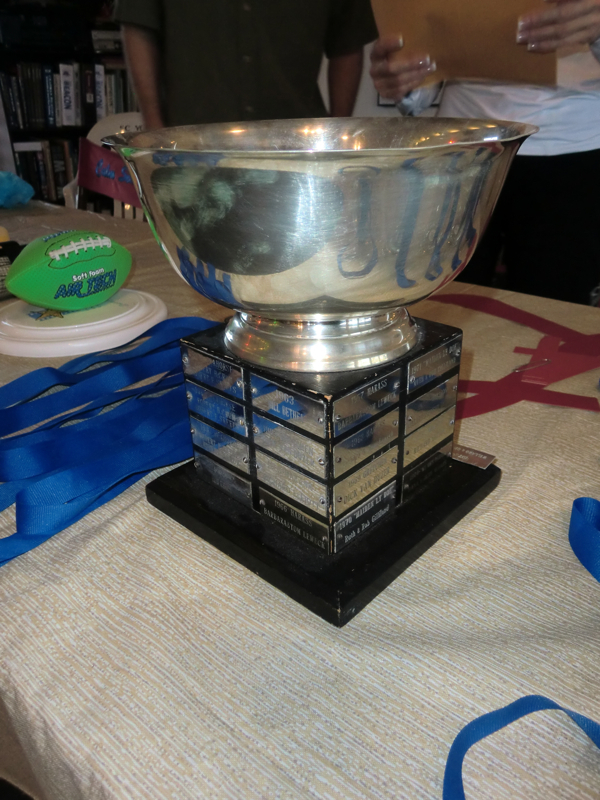 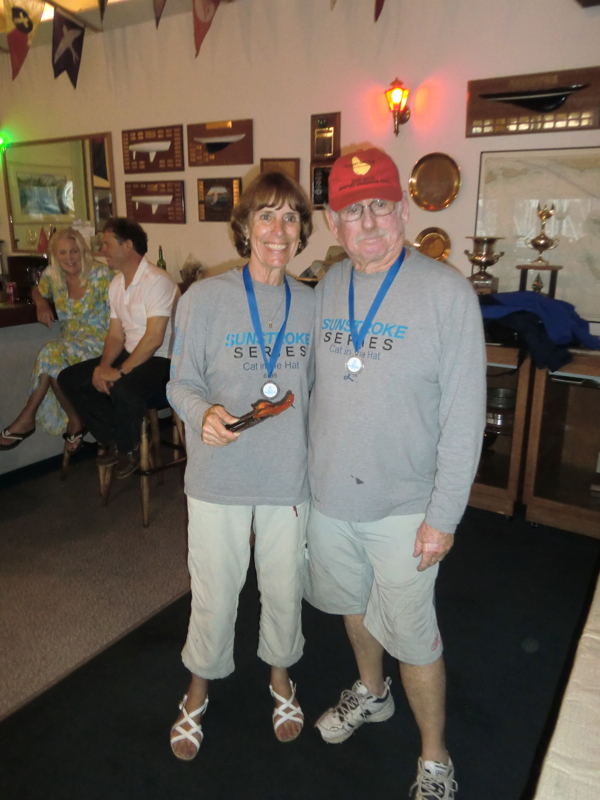 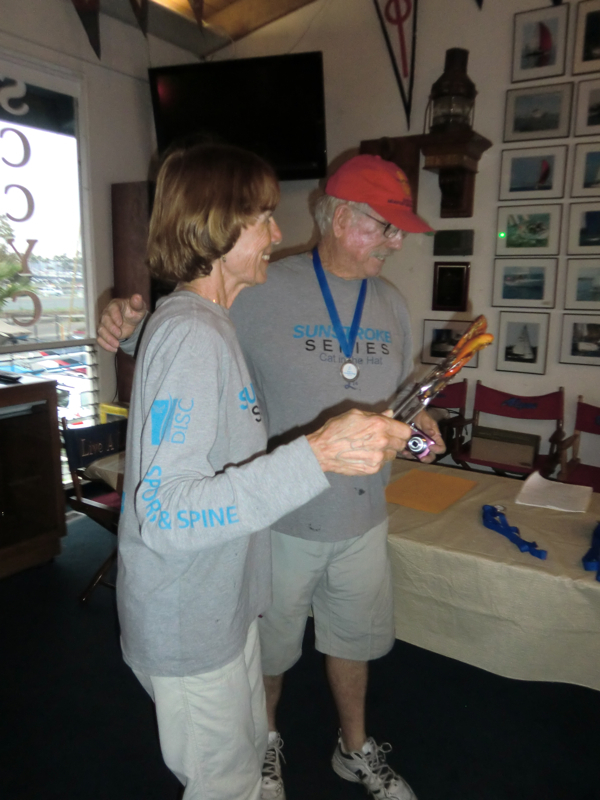 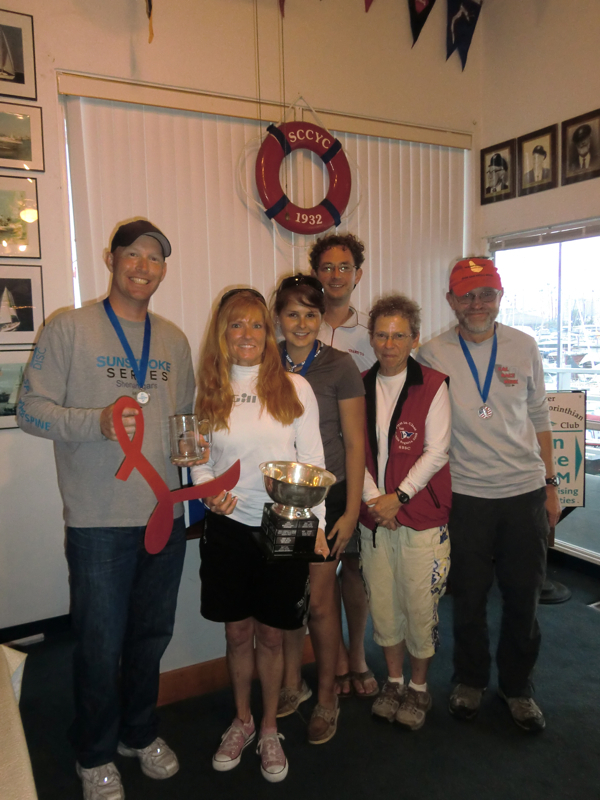 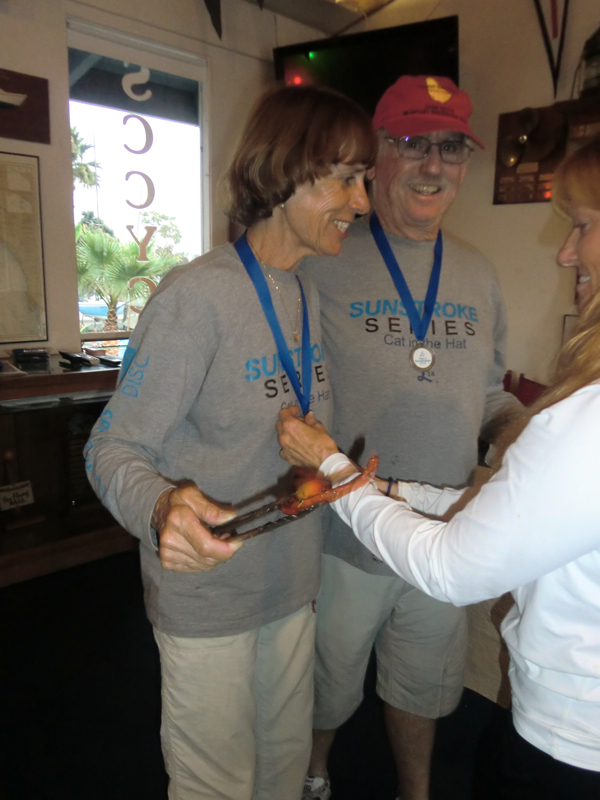 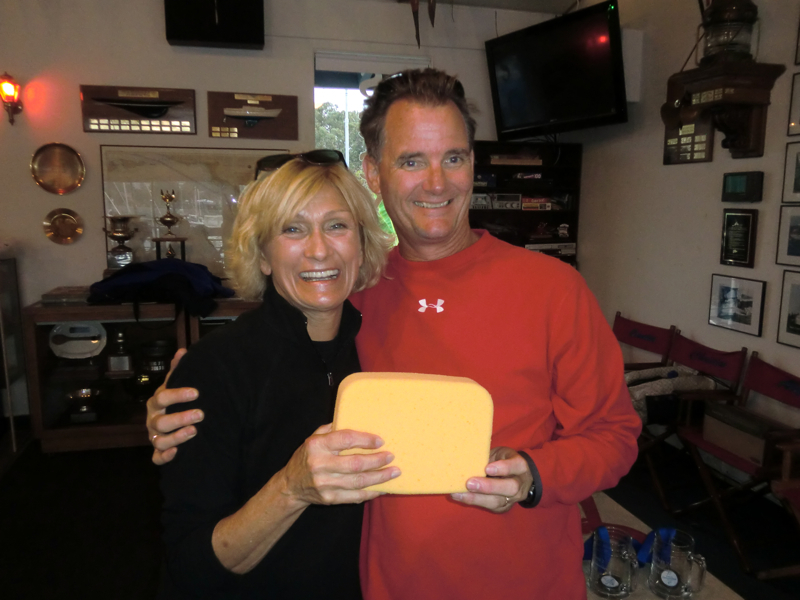 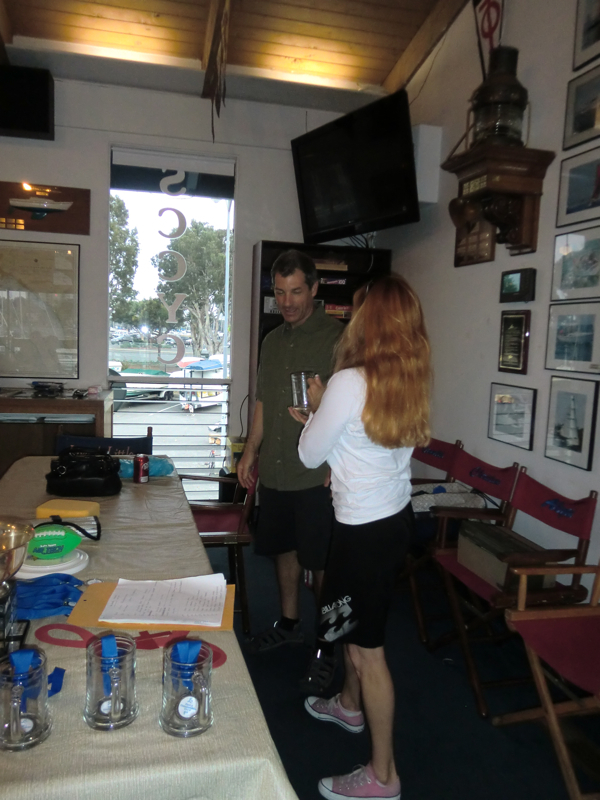 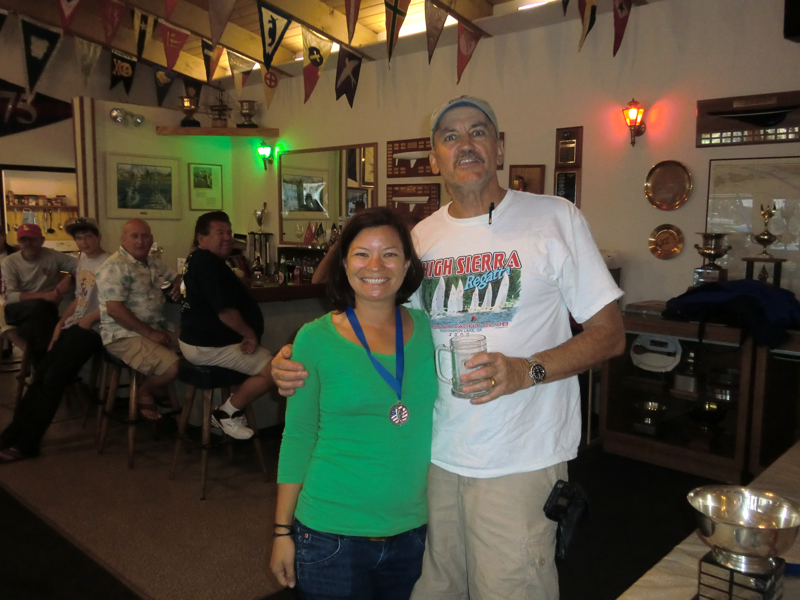 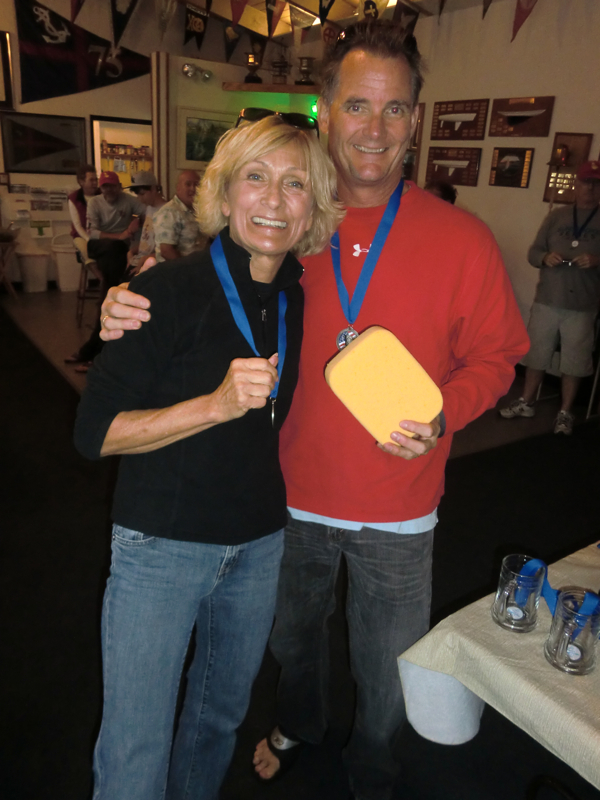 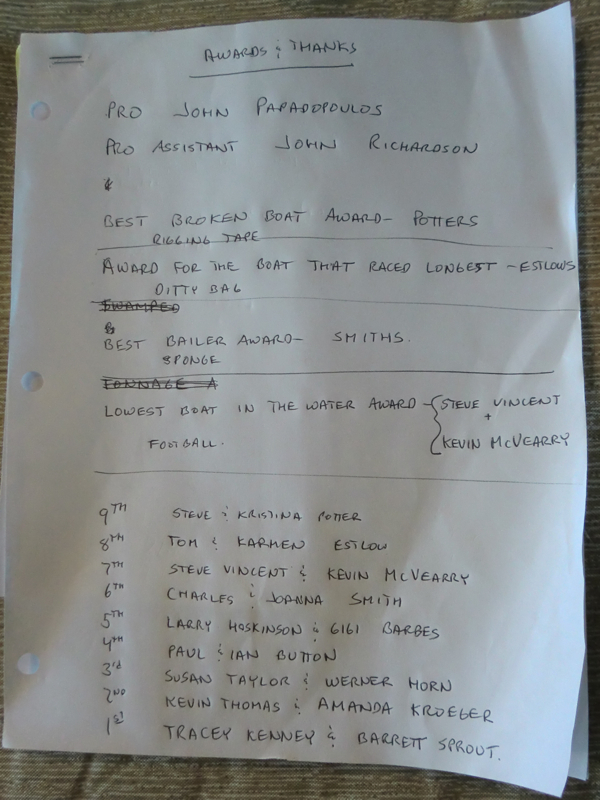 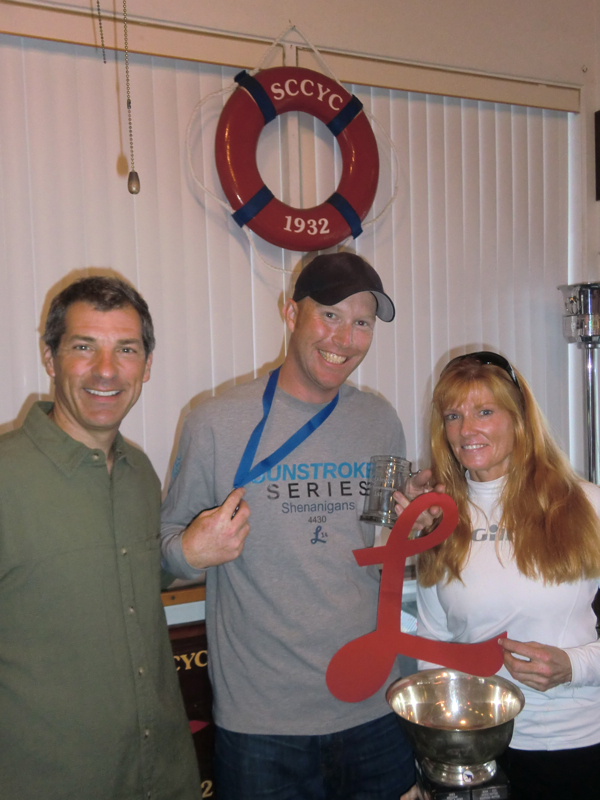 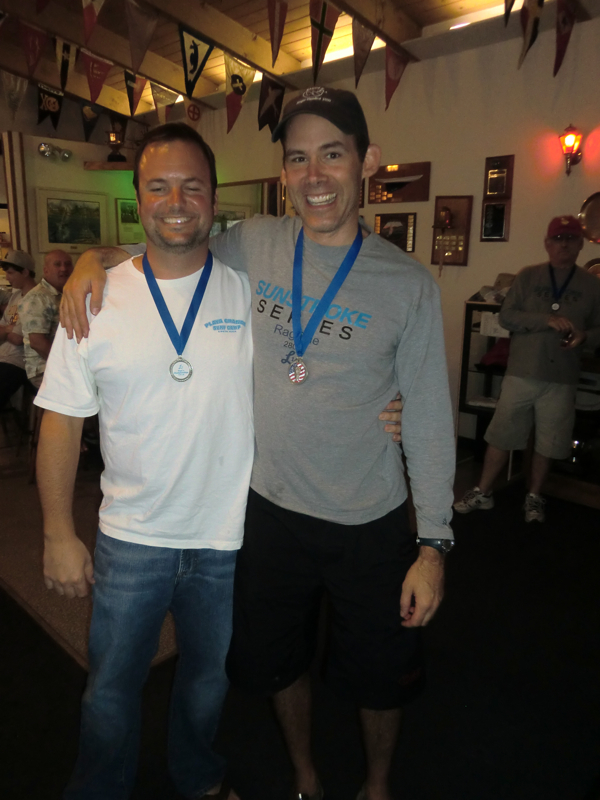 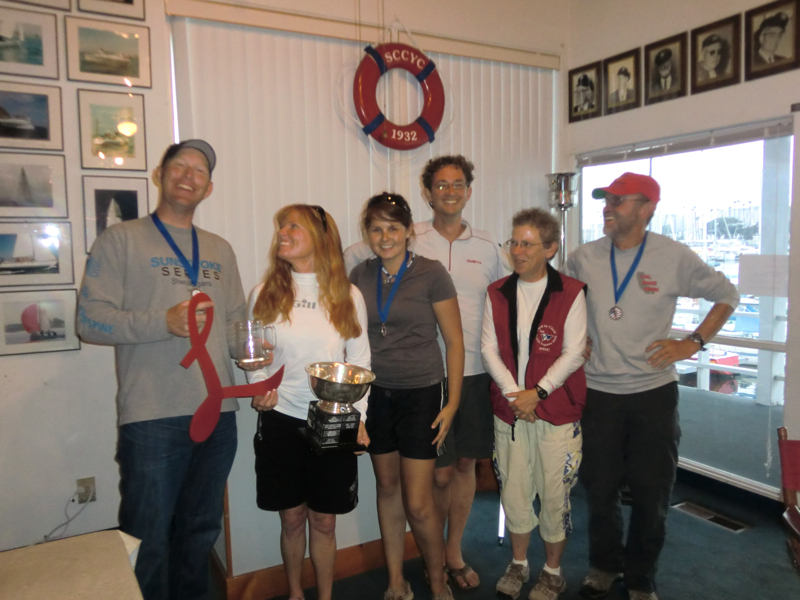 And so it is that Tracey Kenney and Barrett Sprout have been crowned the Fleet 2 Champions for 2010. 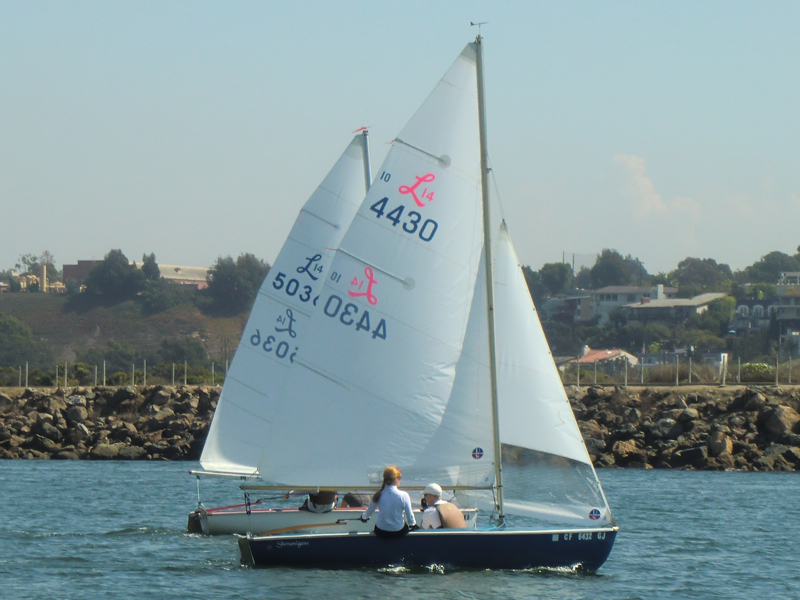 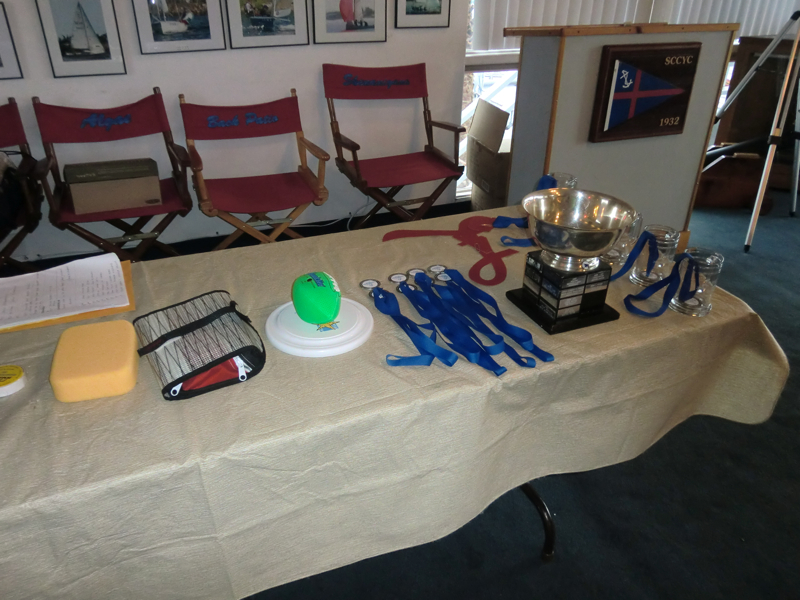 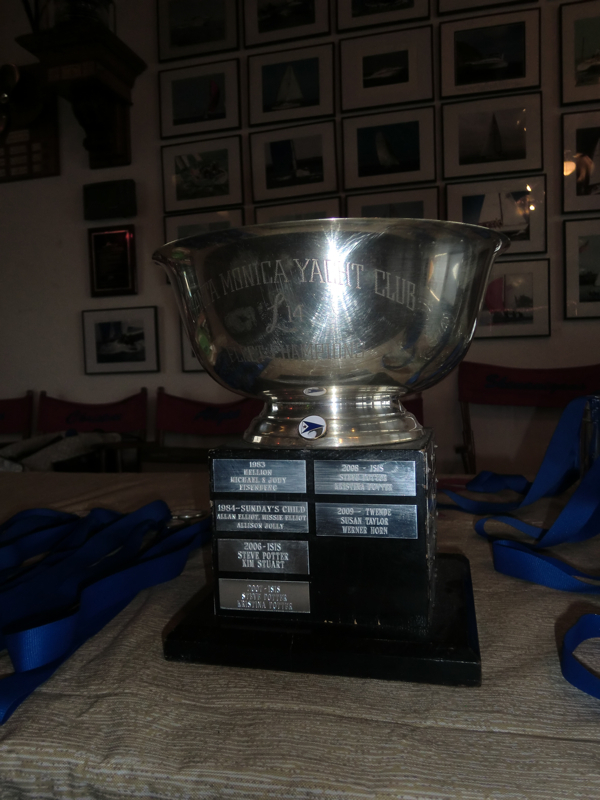 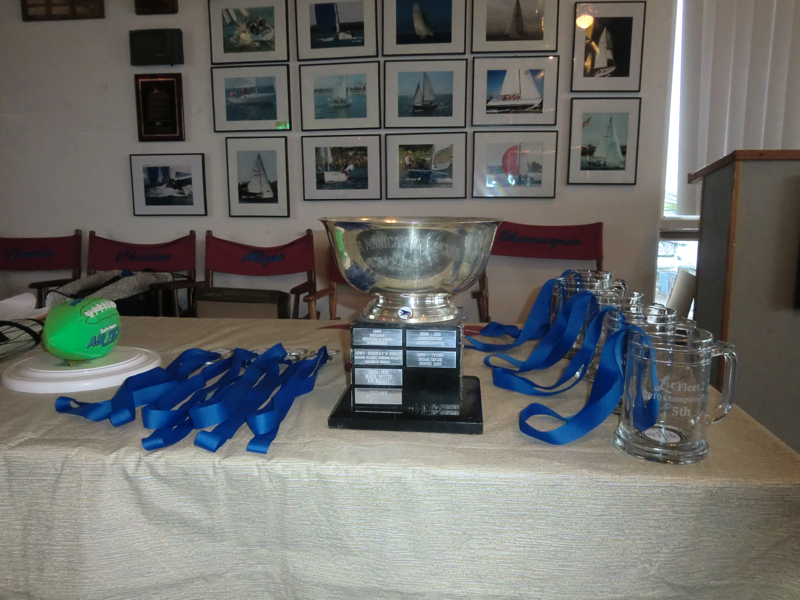 In case you don't know, the pink Lido 14 sail insignia is the new honor award for Women's Class Champion, which Tracey won in this, the inaugural year of the award. 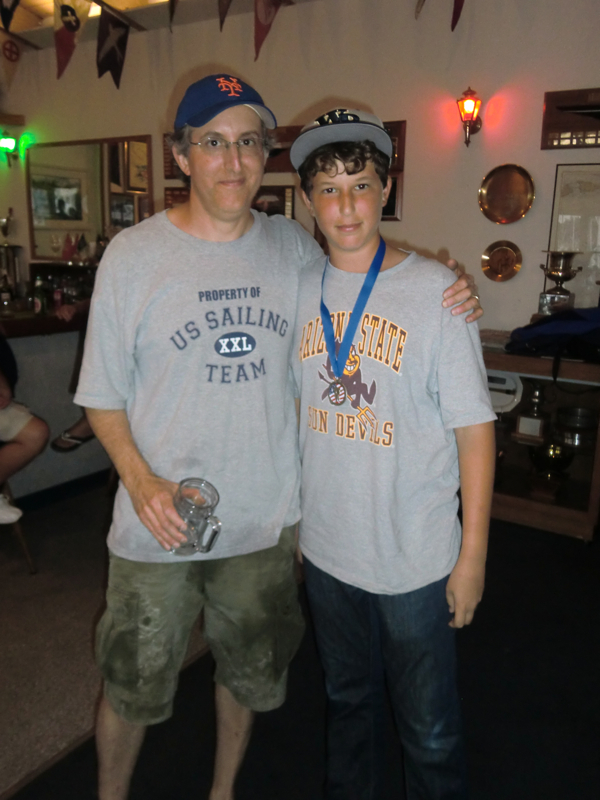 The following photos are copyrighted by 2010 John Papadopoulos or Gigi Barbes.